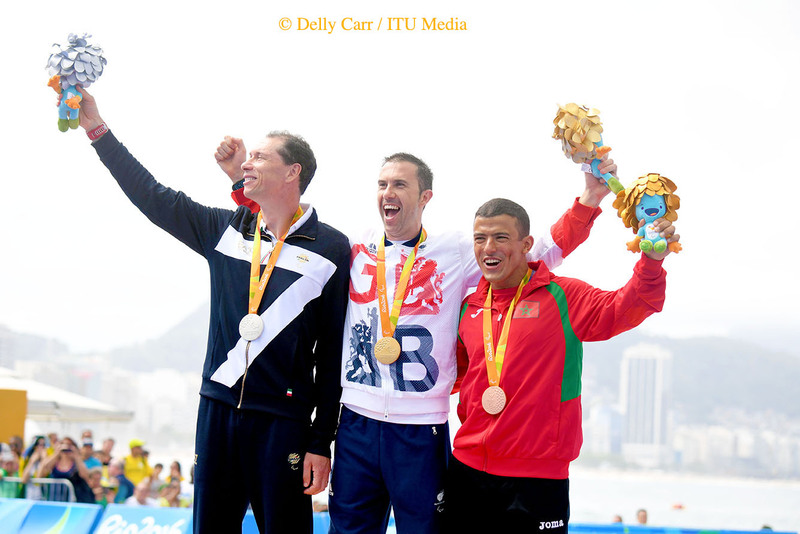 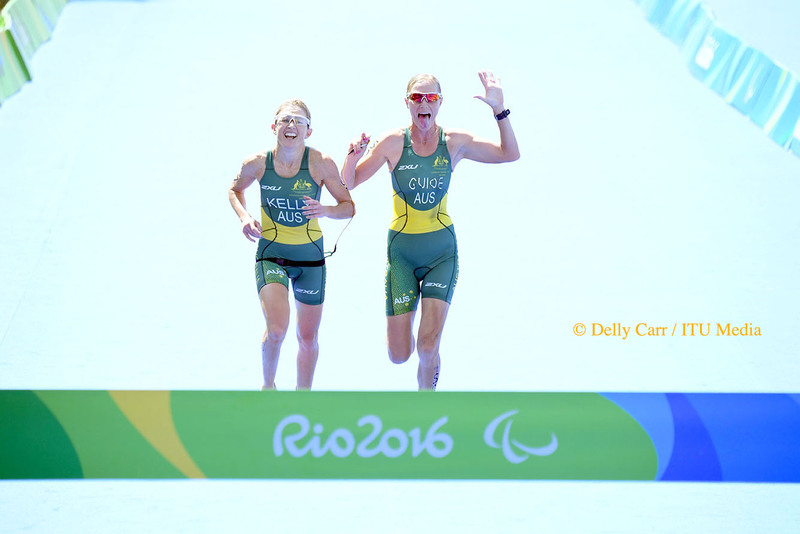 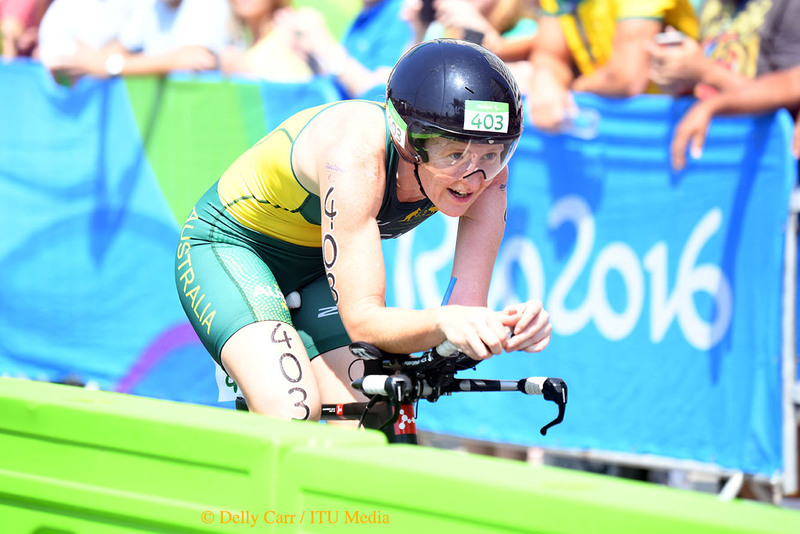 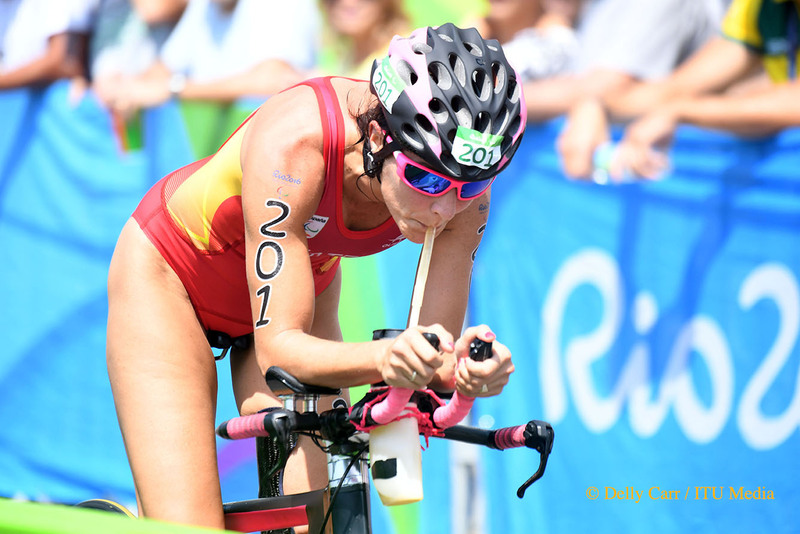 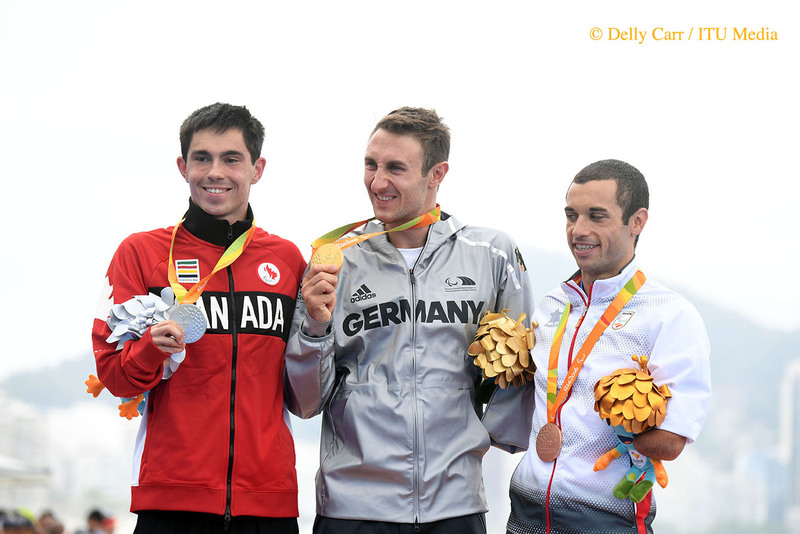 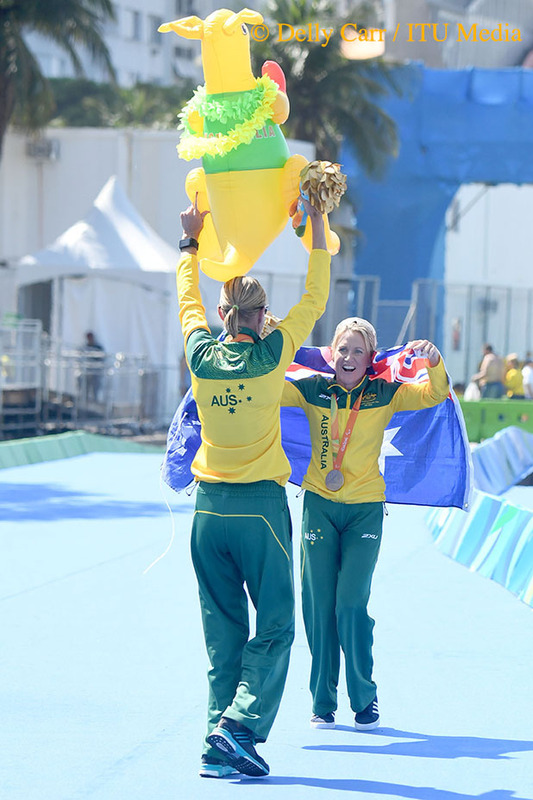 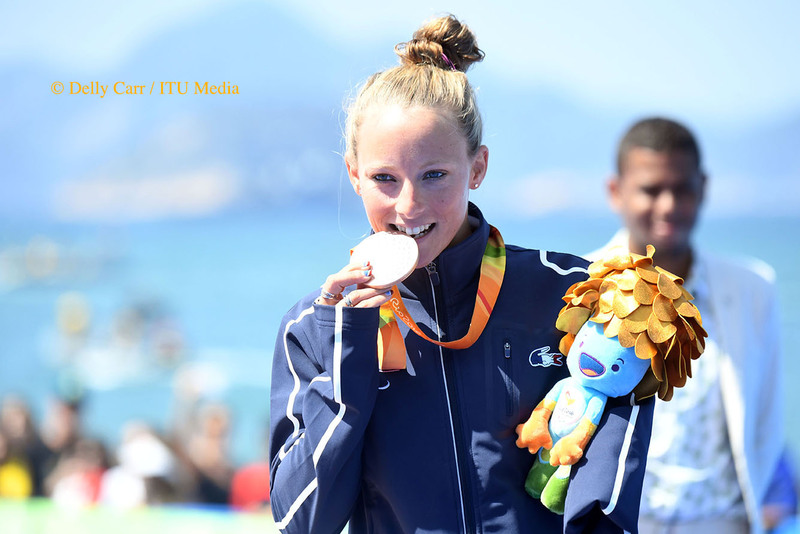 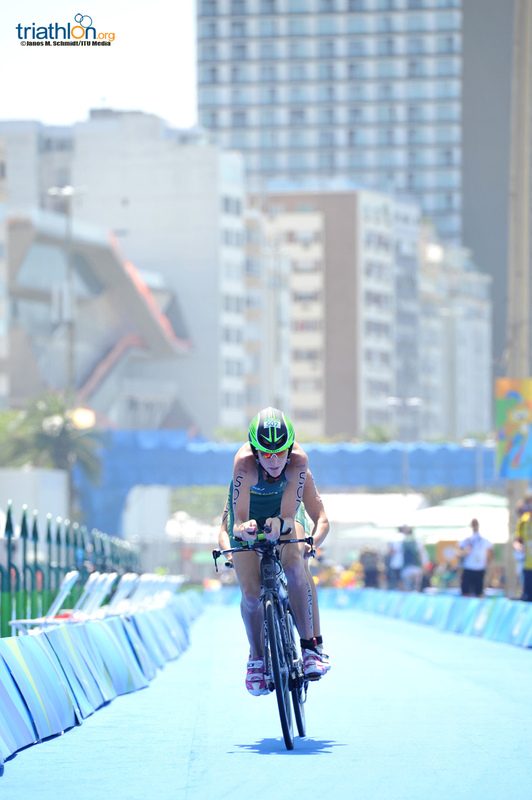 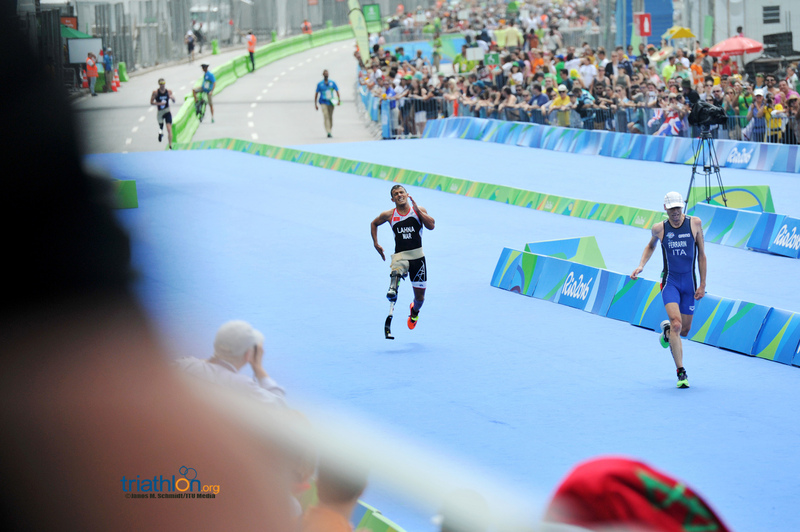 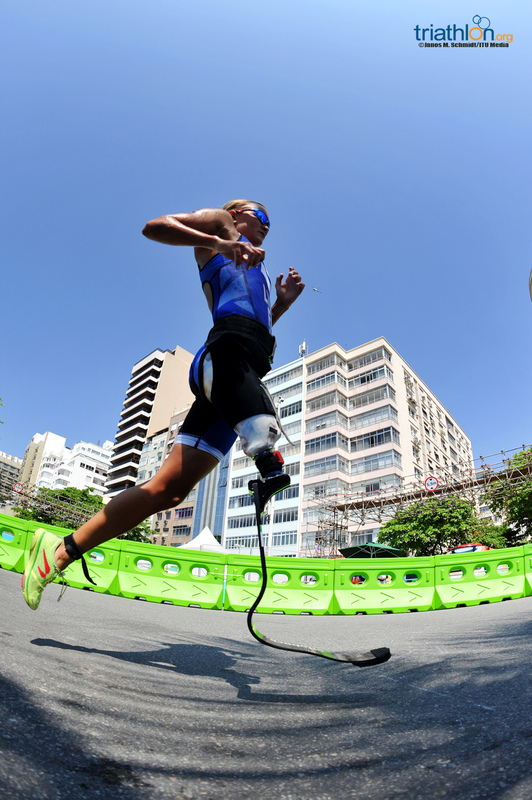 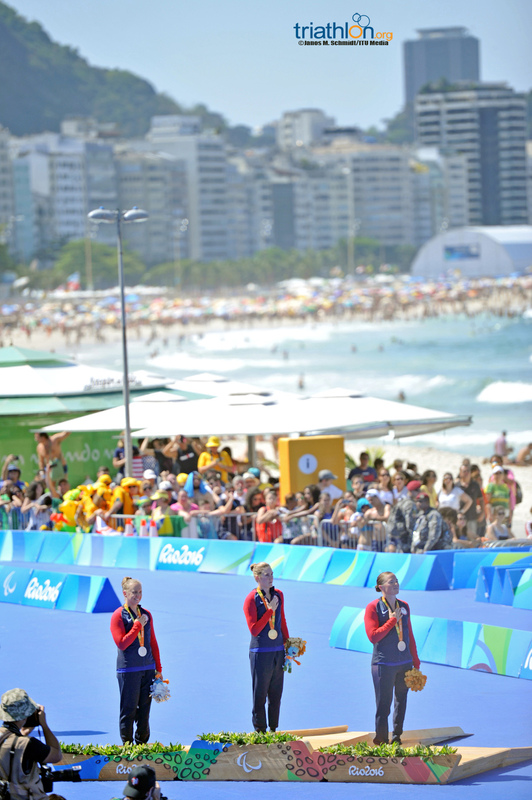 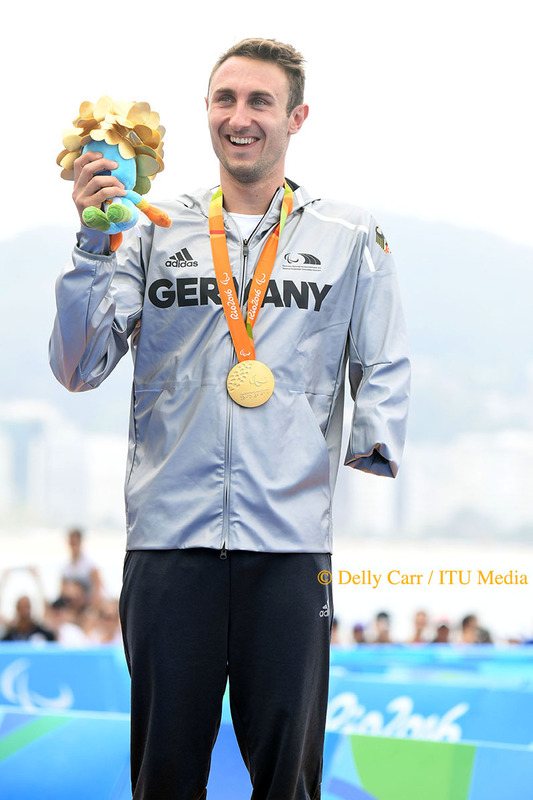 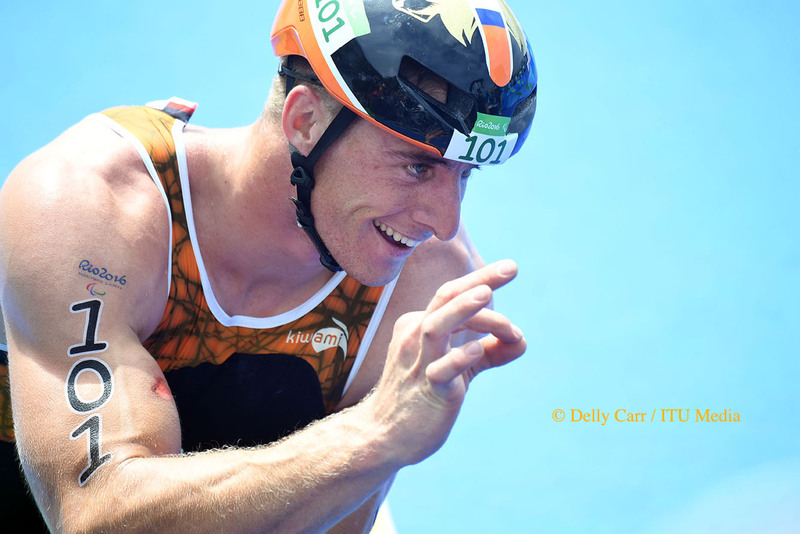 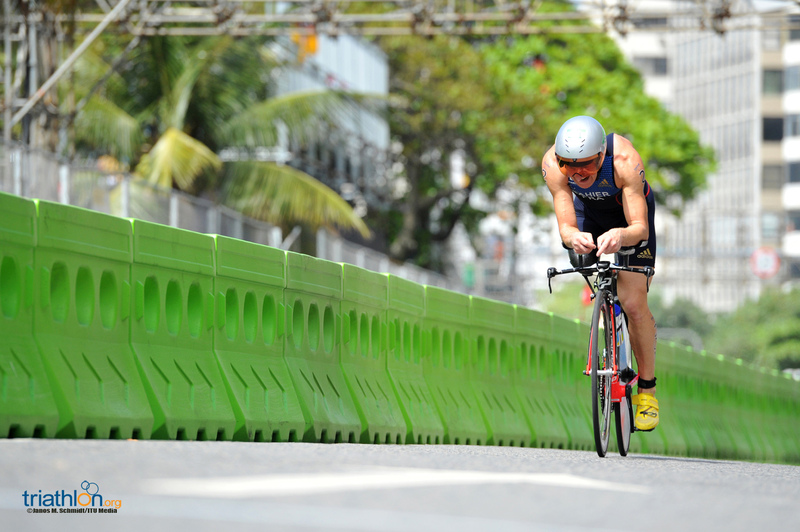 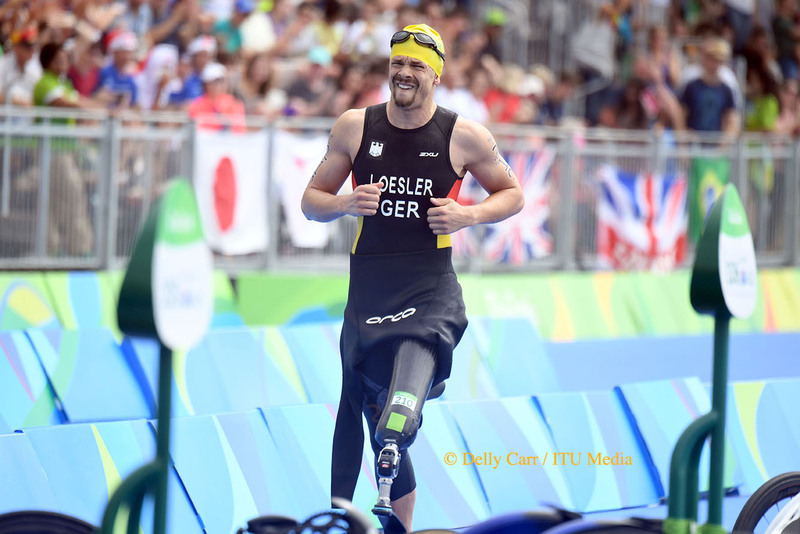 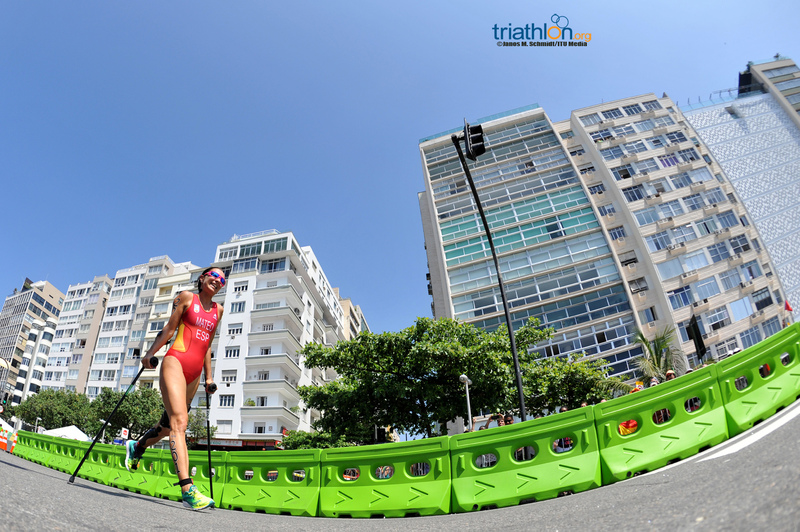 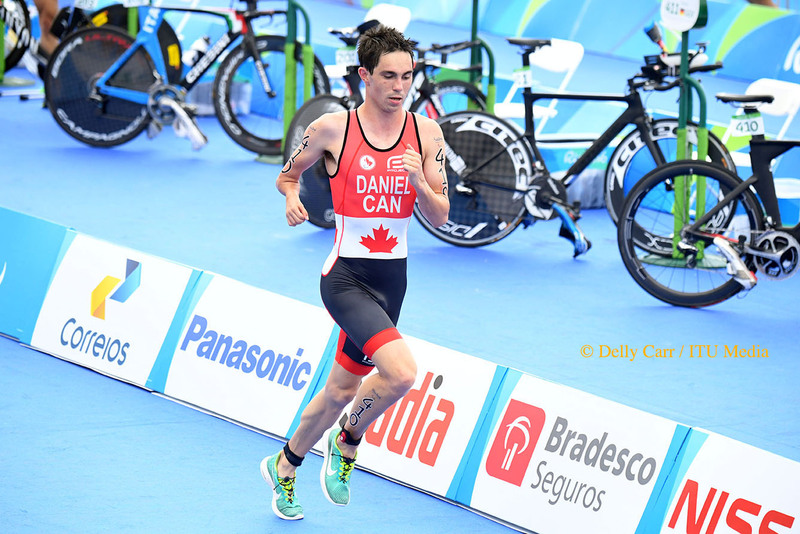 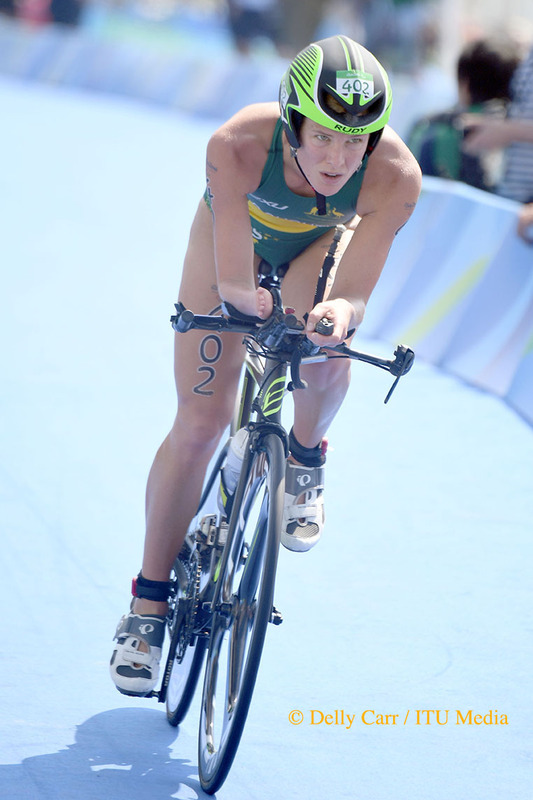 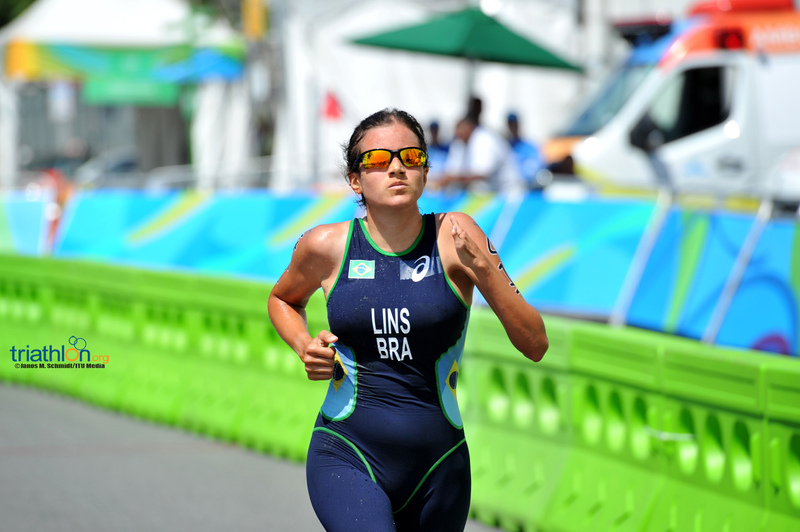 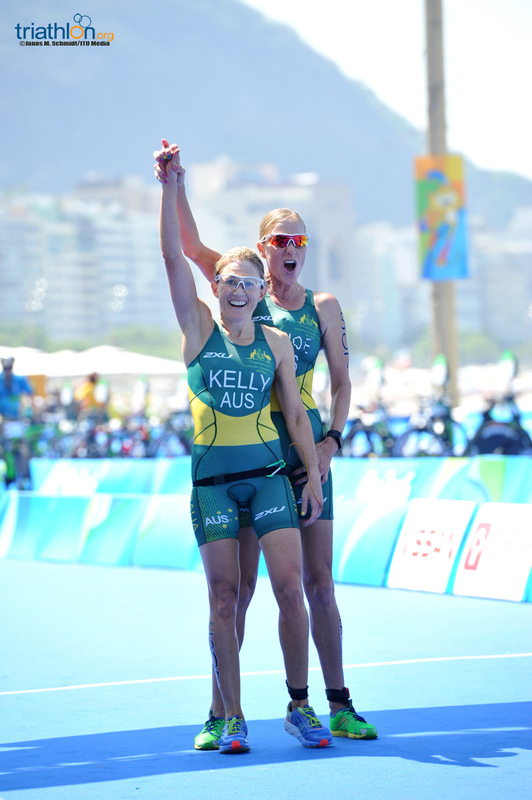 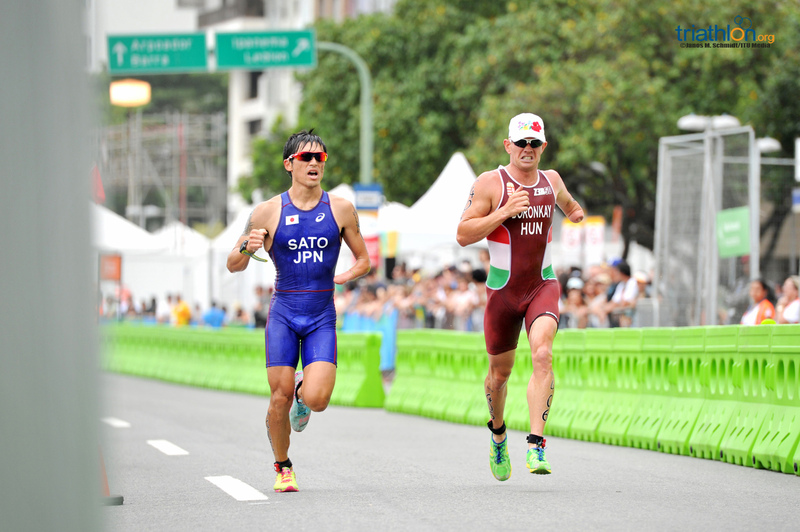 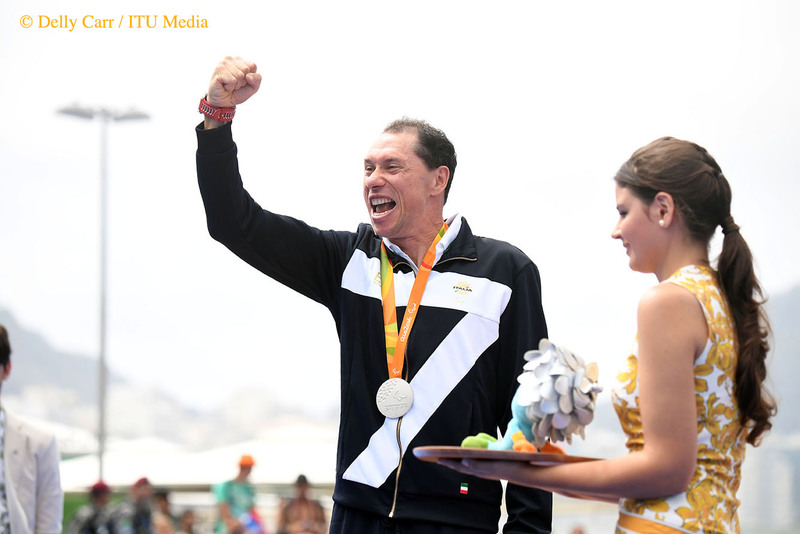 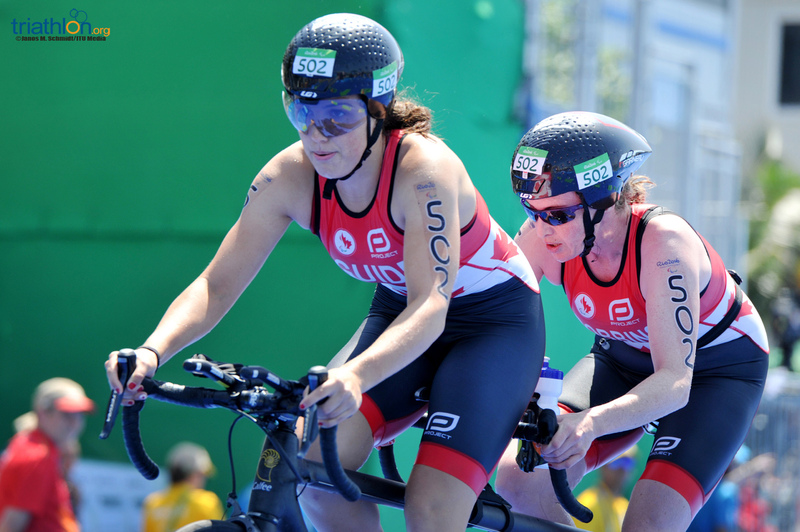 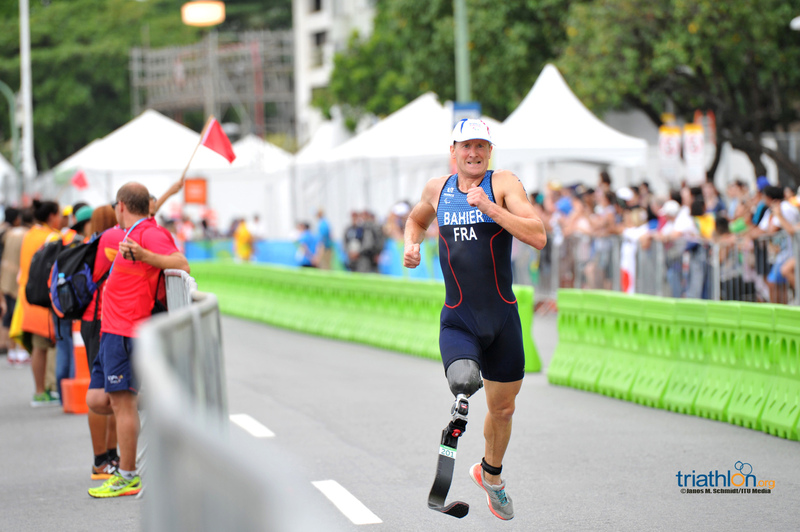 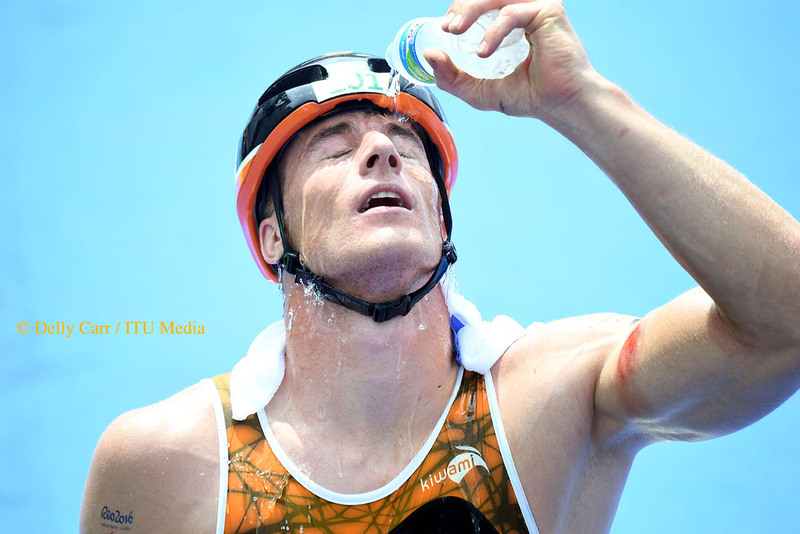 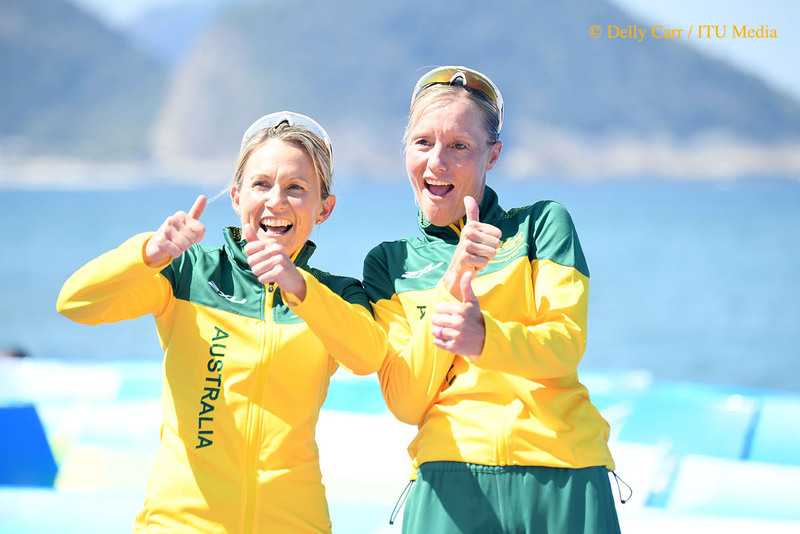 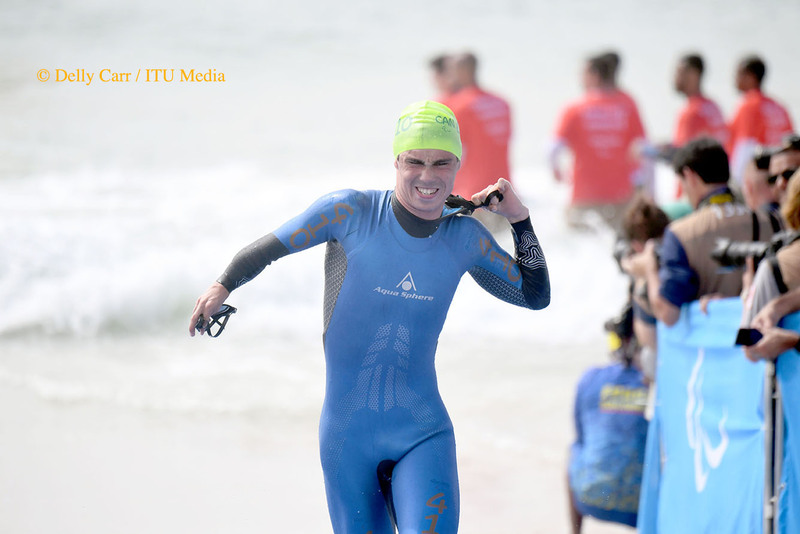 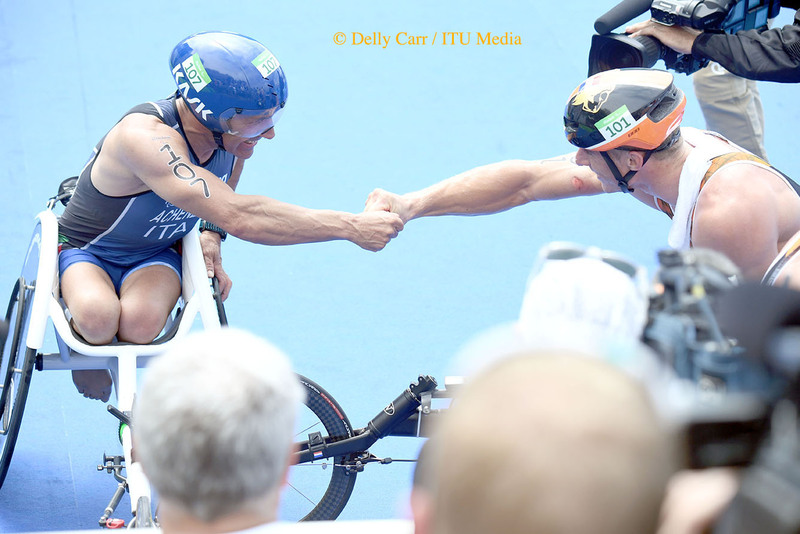 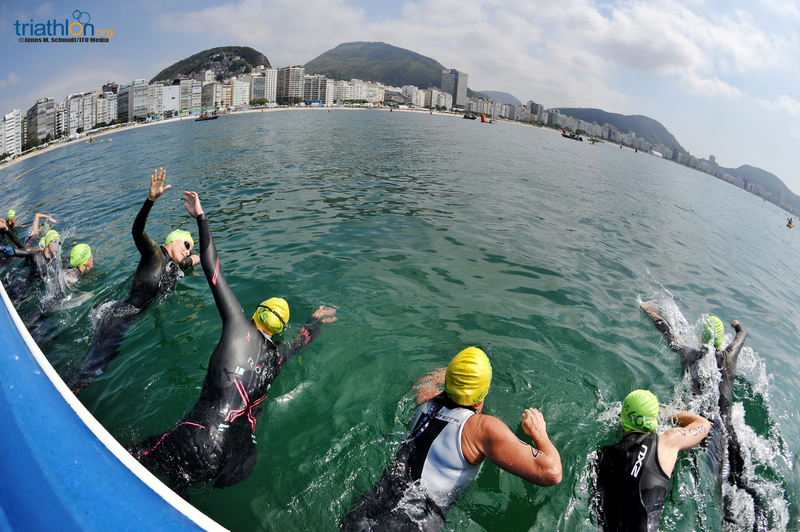 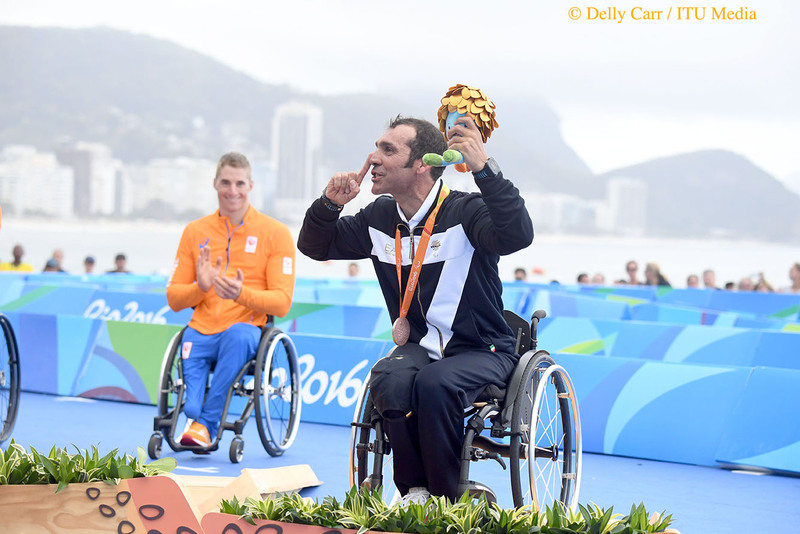 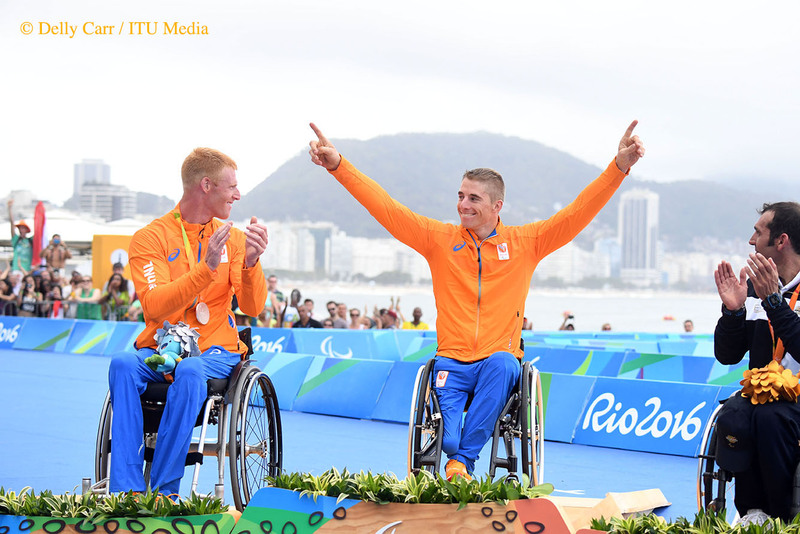 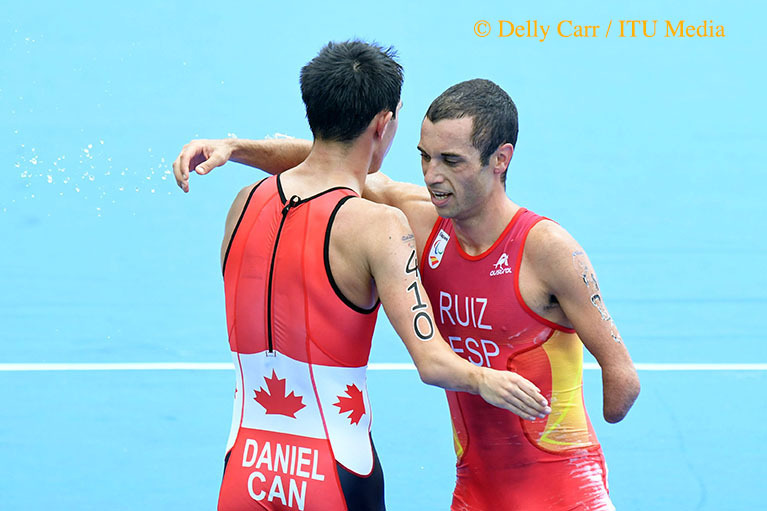 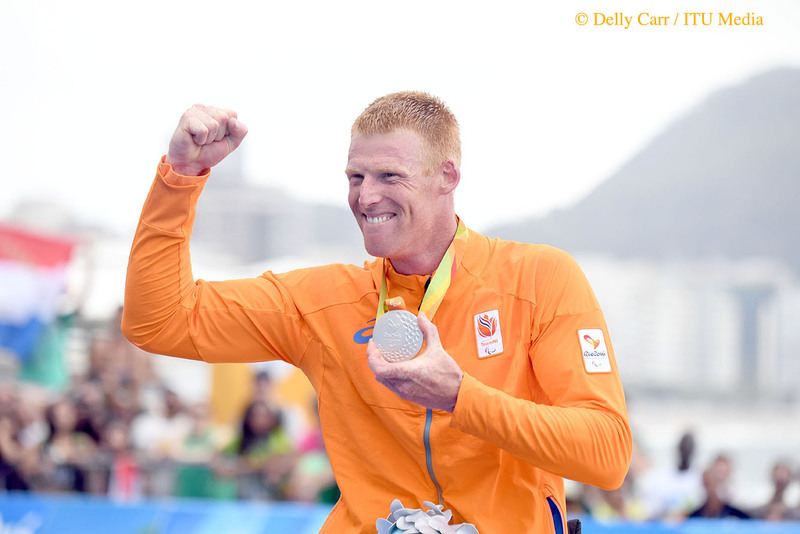 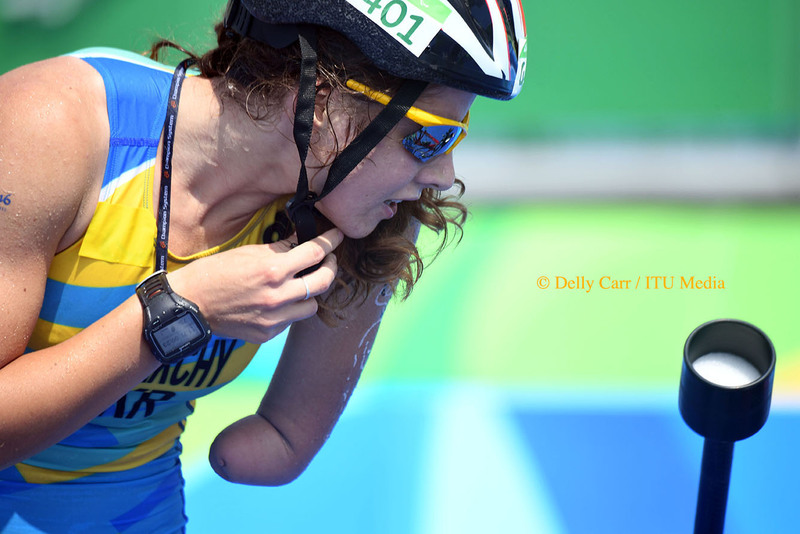 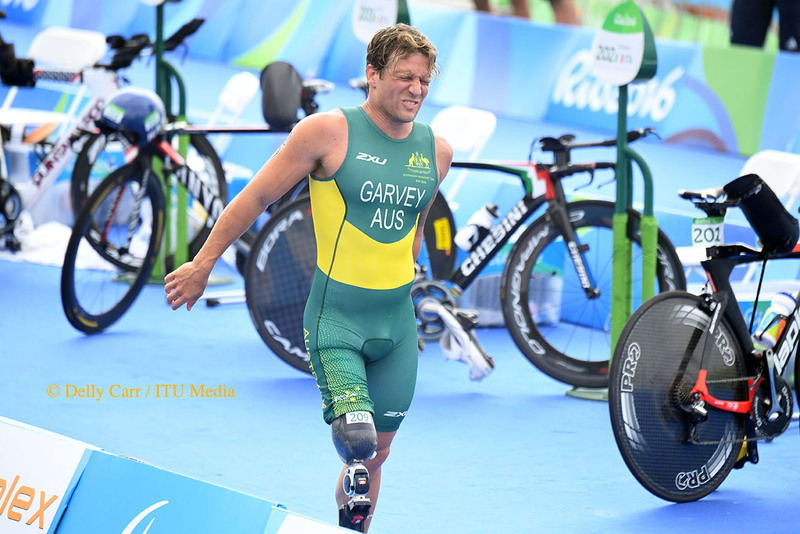 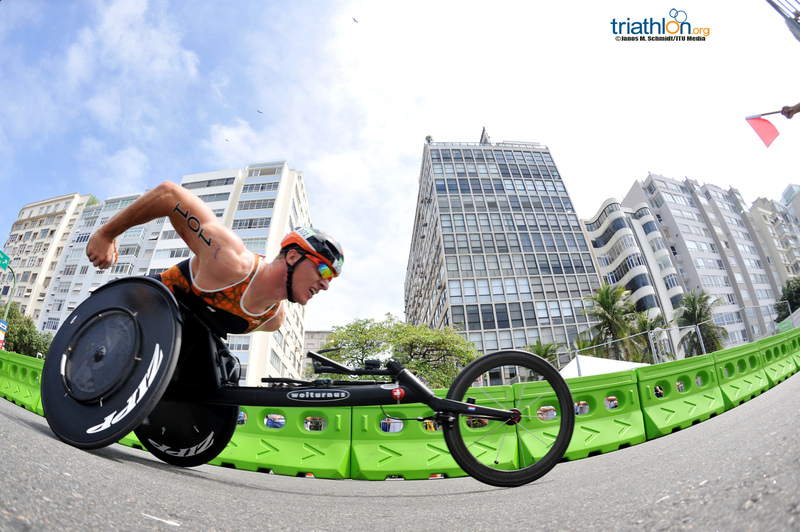 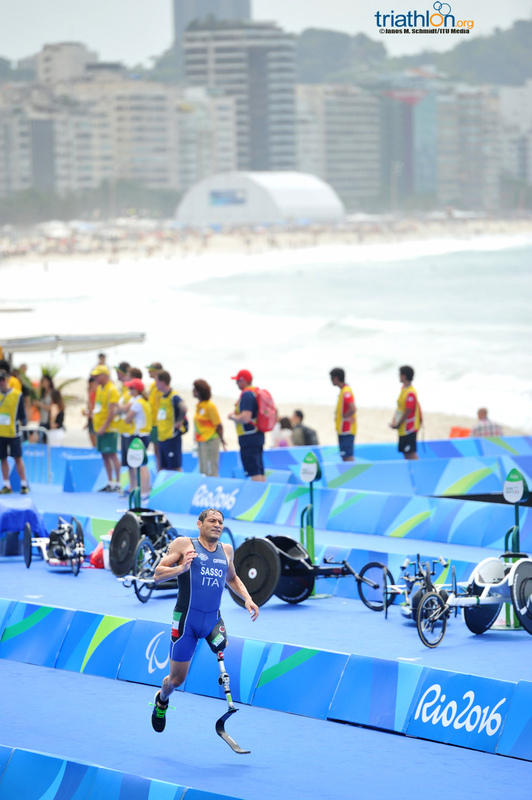 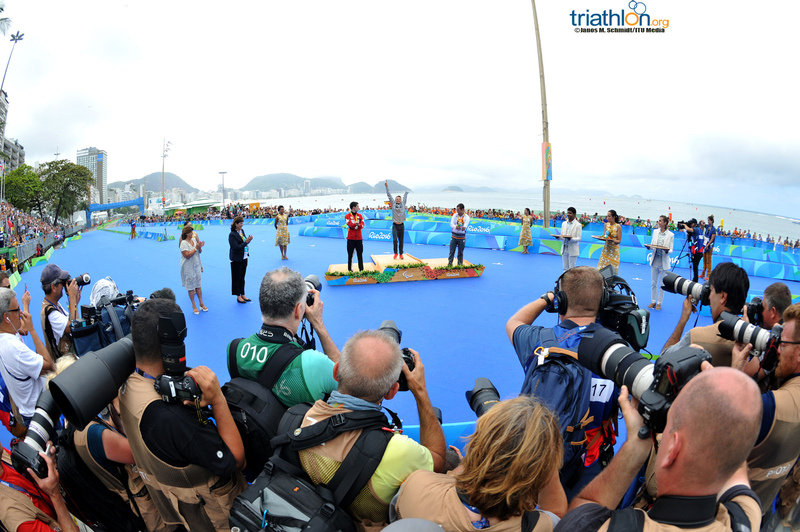 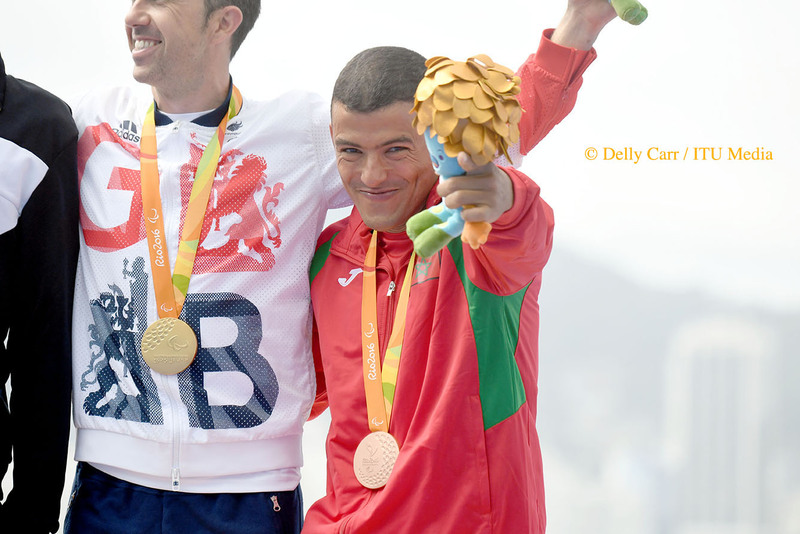 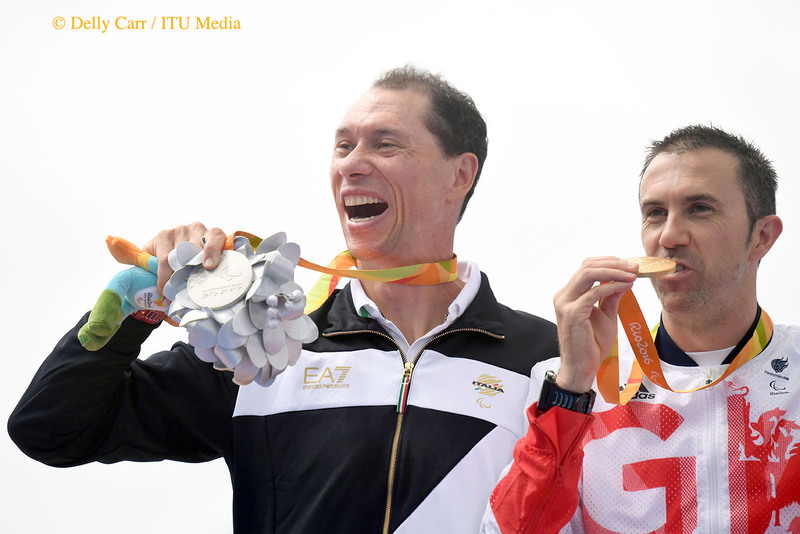 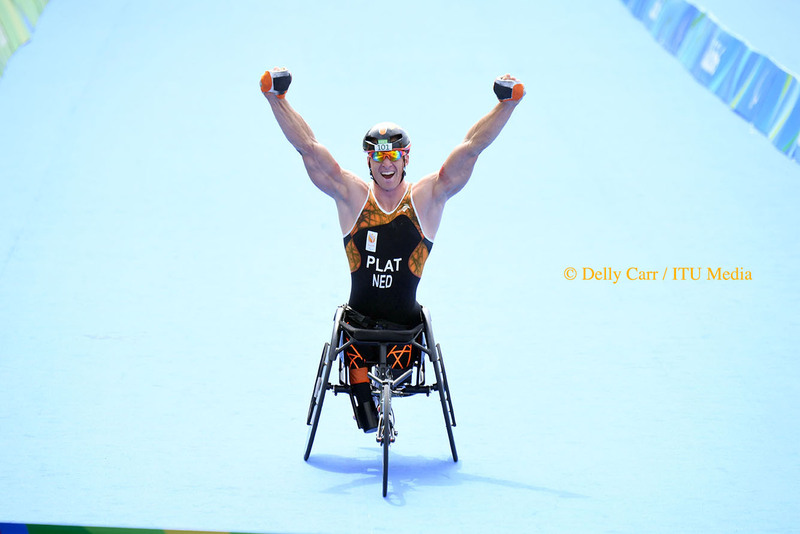 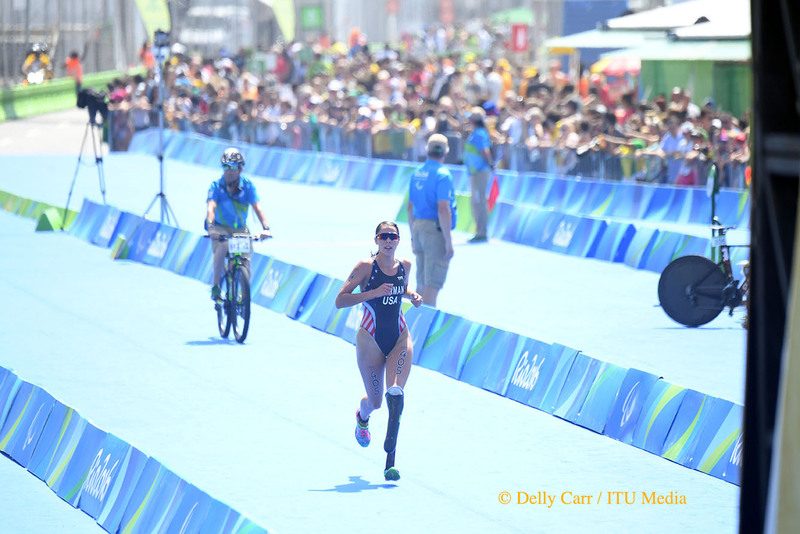 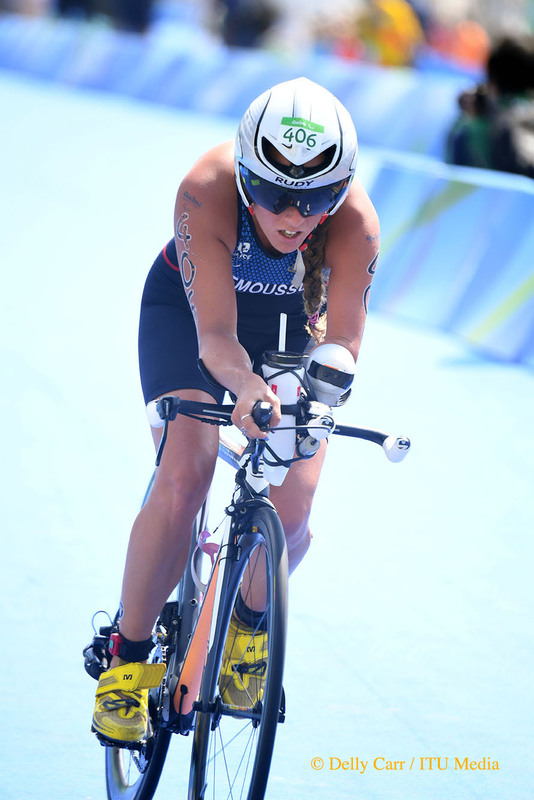 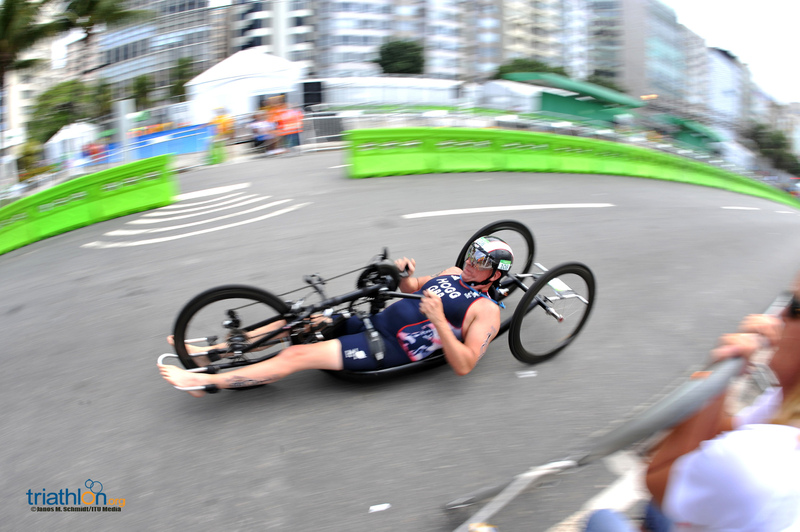 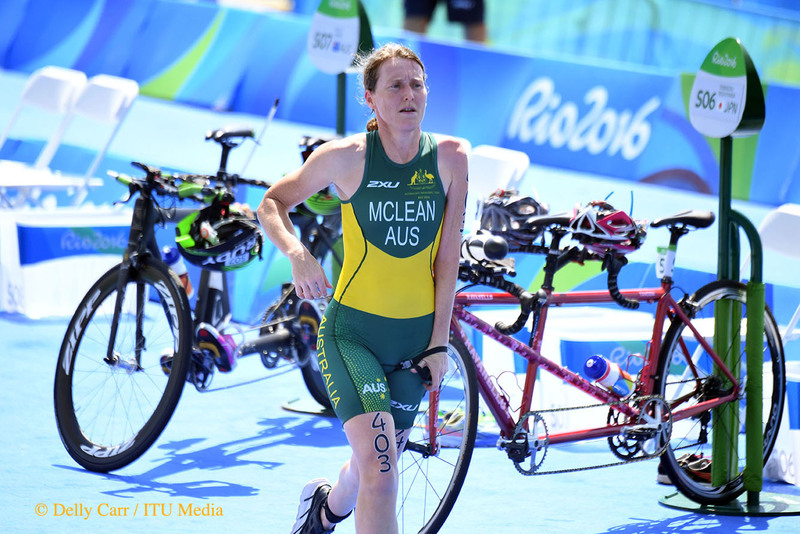 At the Paratriathlon event in the 2016 Rio Paralympic Games, all competitors from different sport classes must compete over a course of 750m of swimming, 20km of cycling and 5km of running for athletes with different types of impairment. 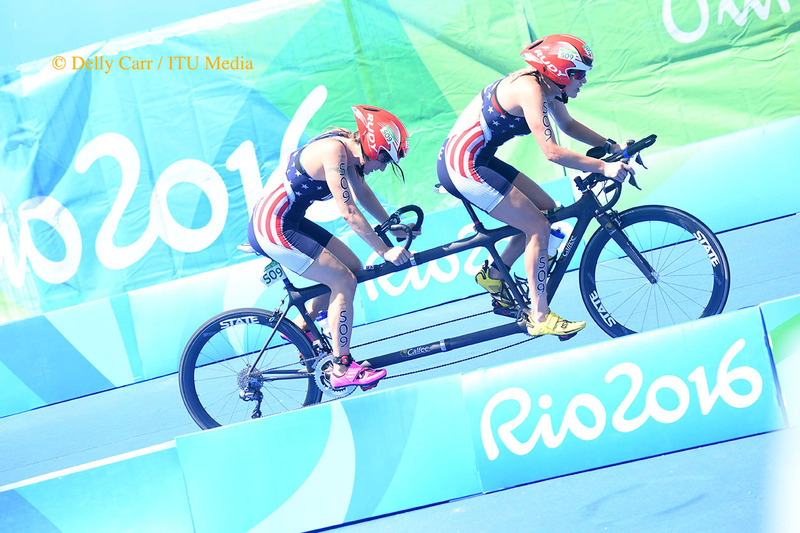 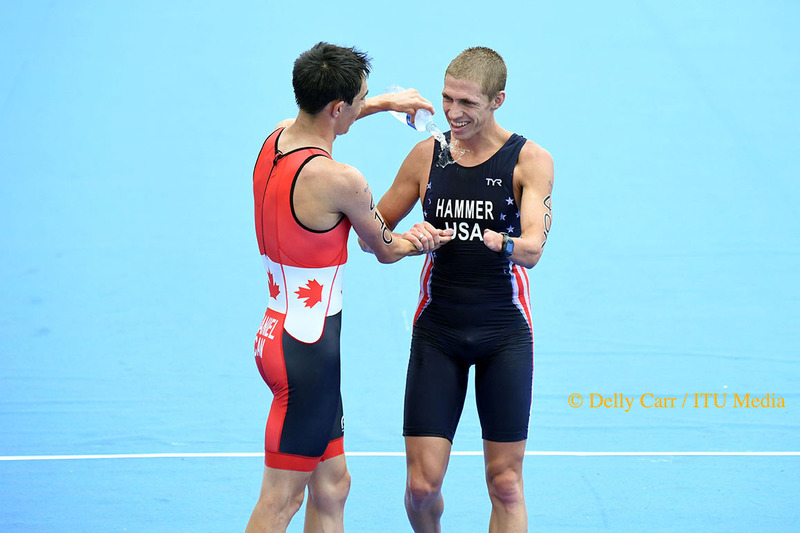 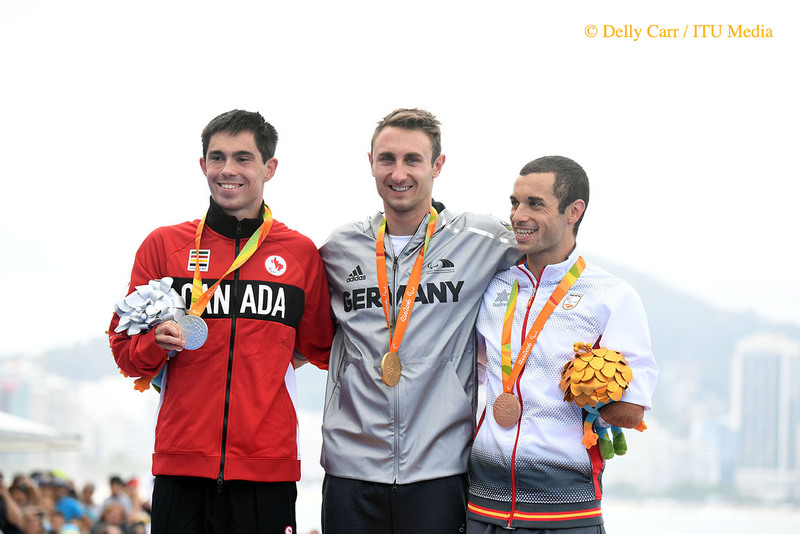 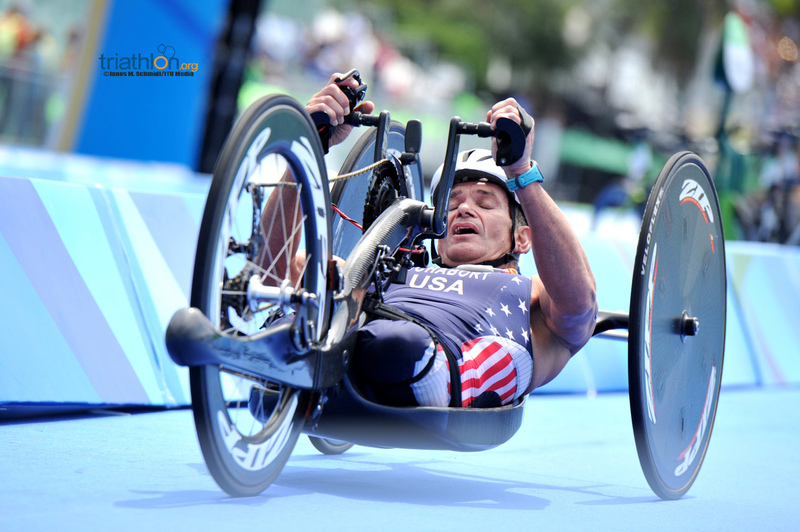 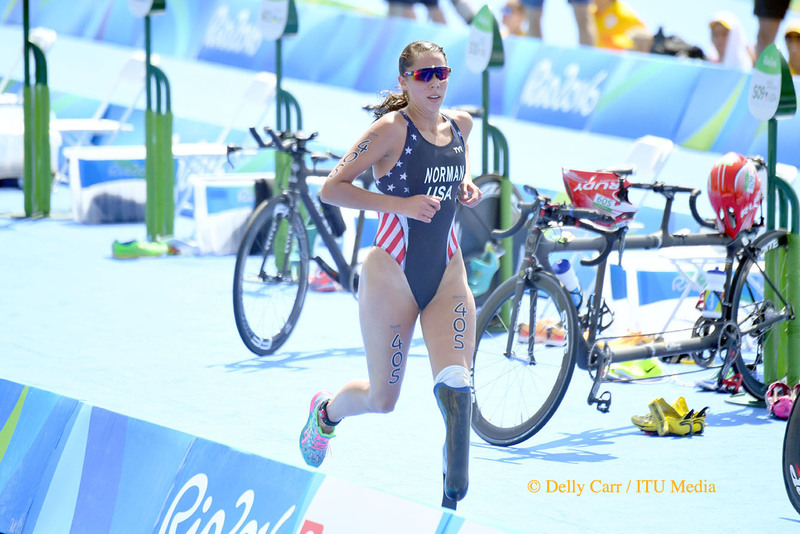 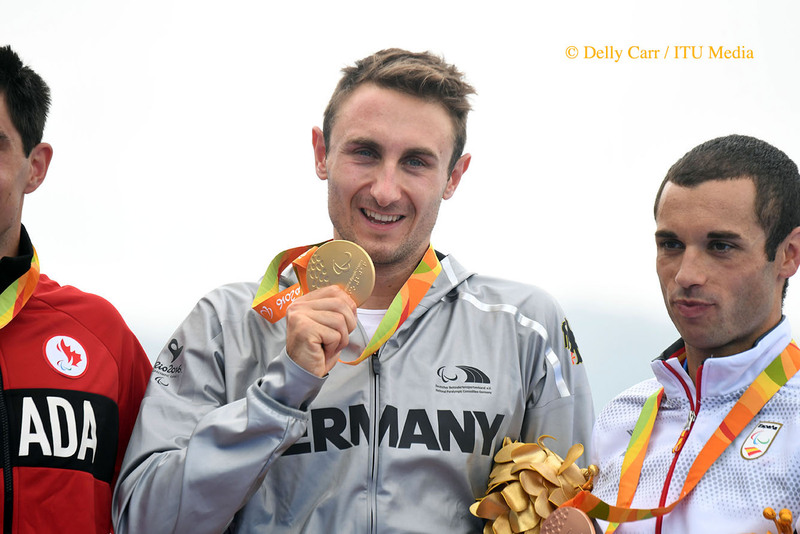 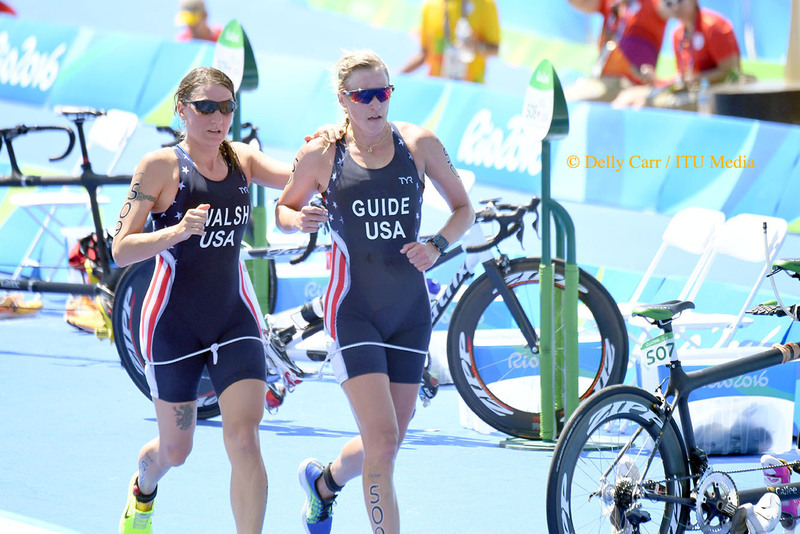 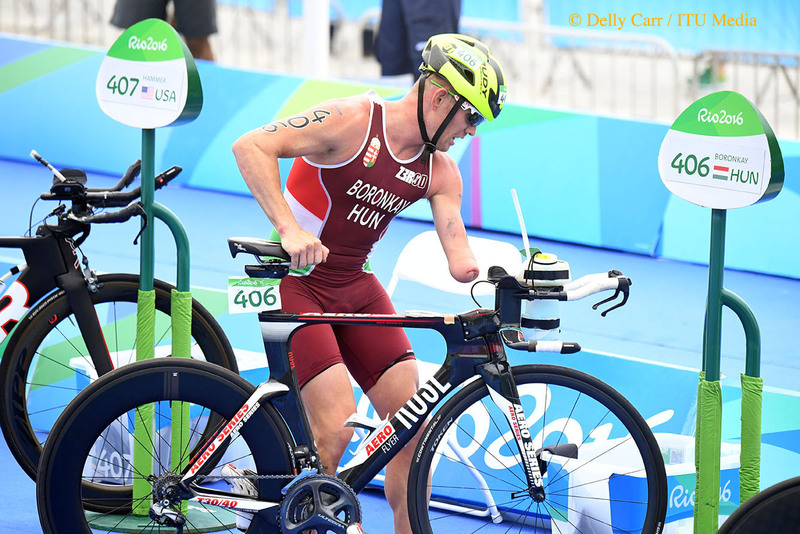 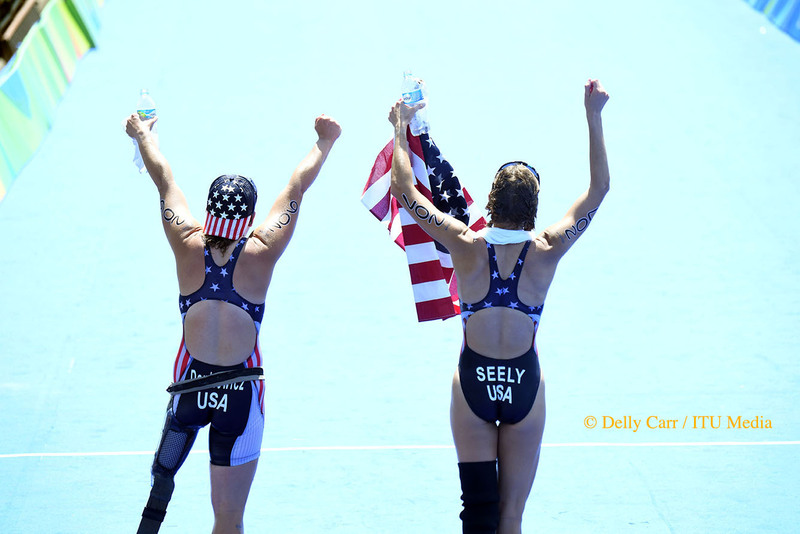 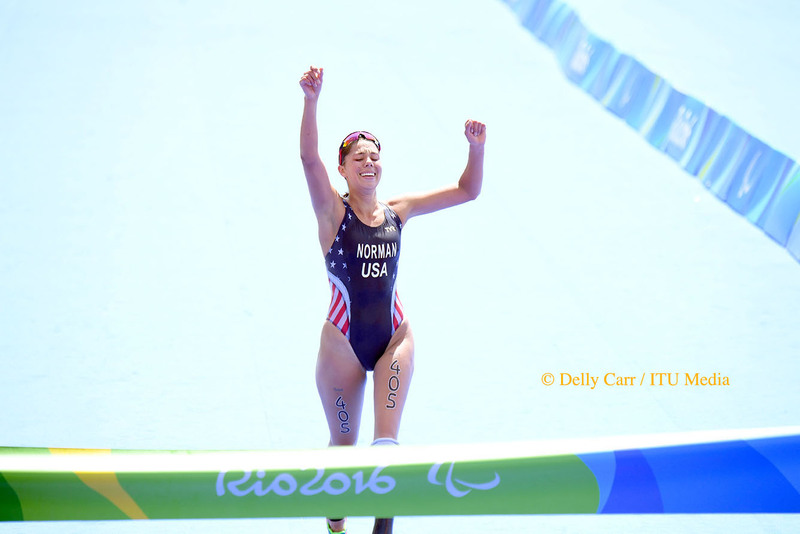 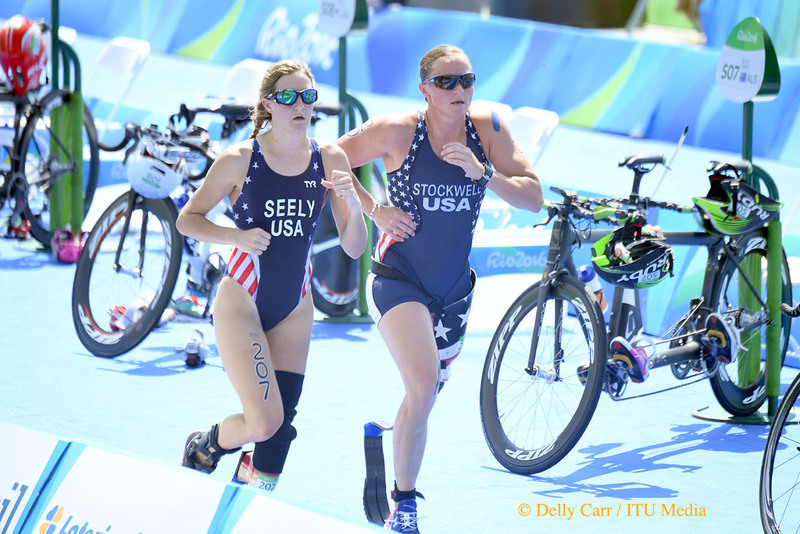 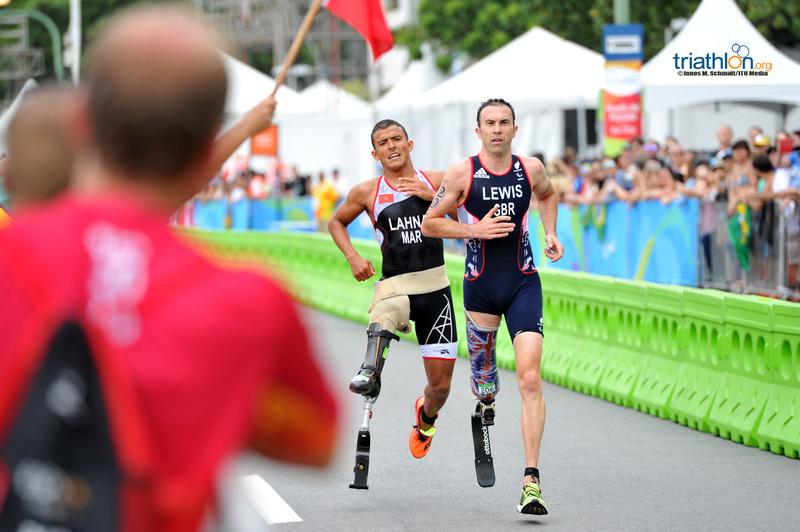 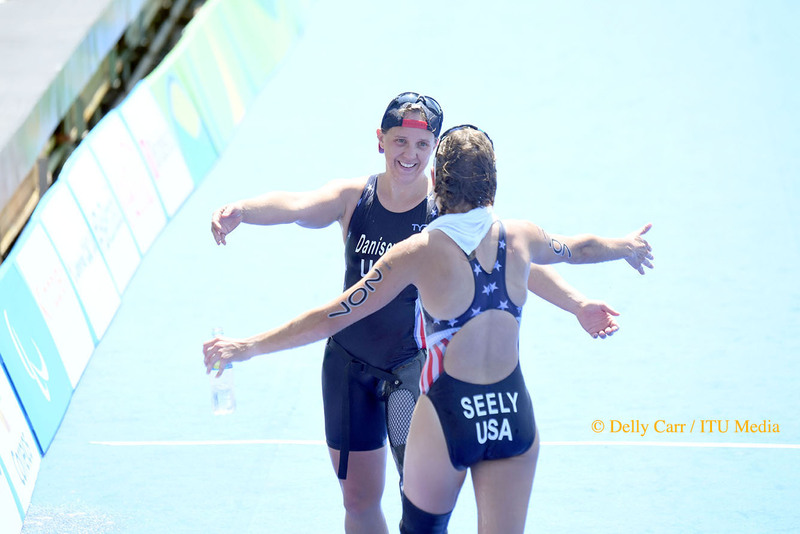 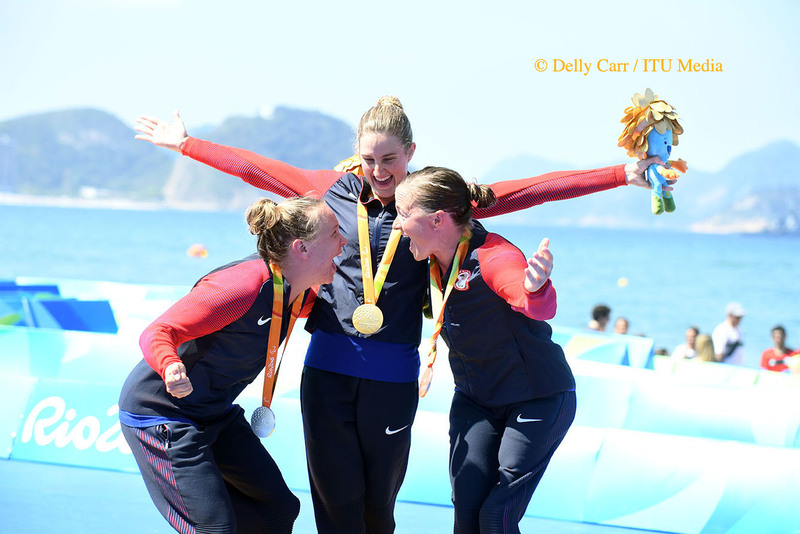 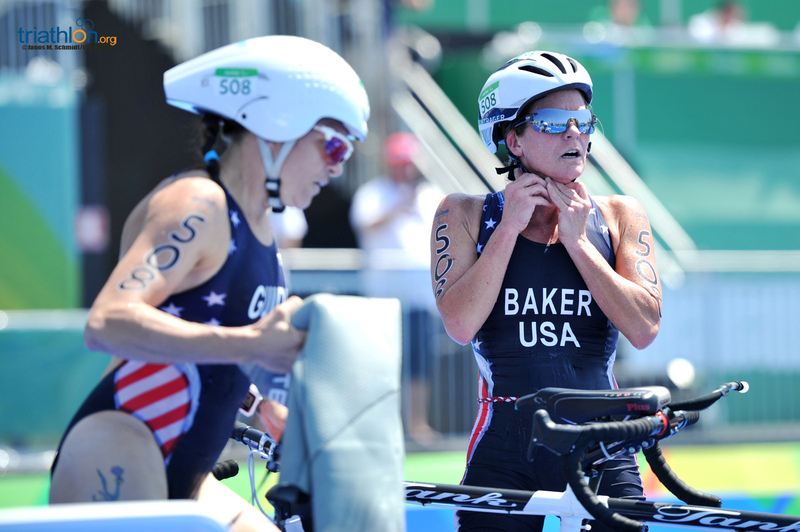 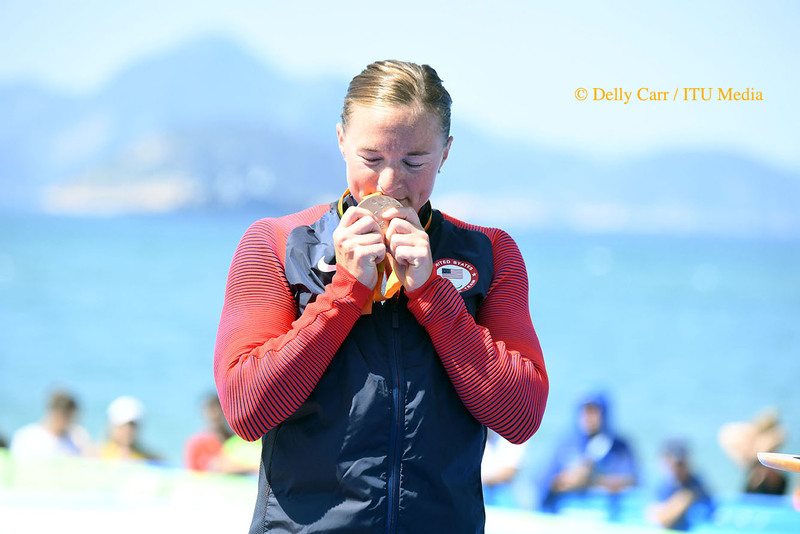 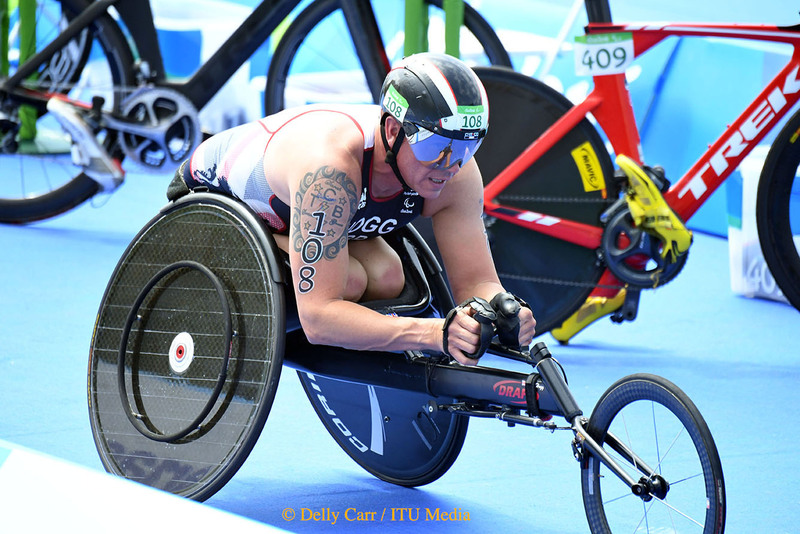 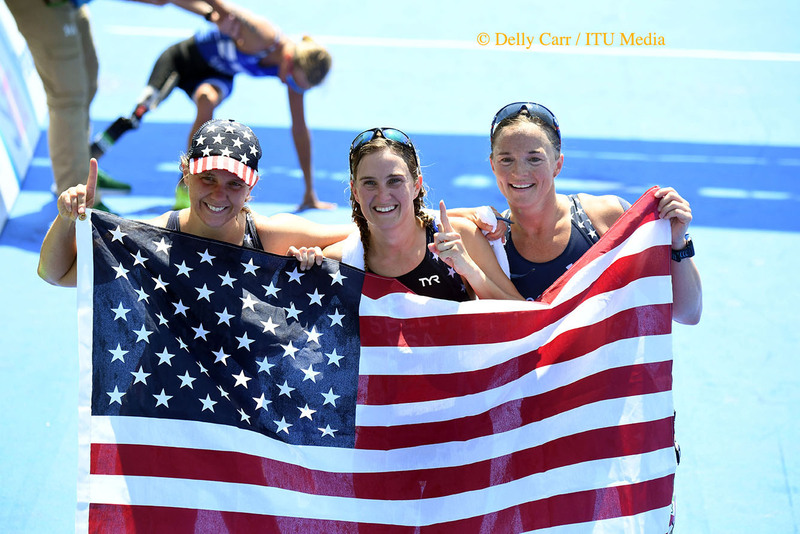 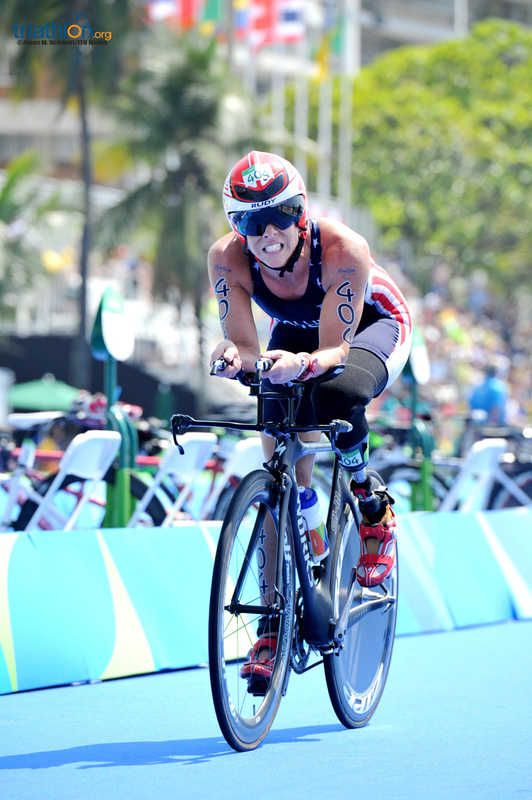 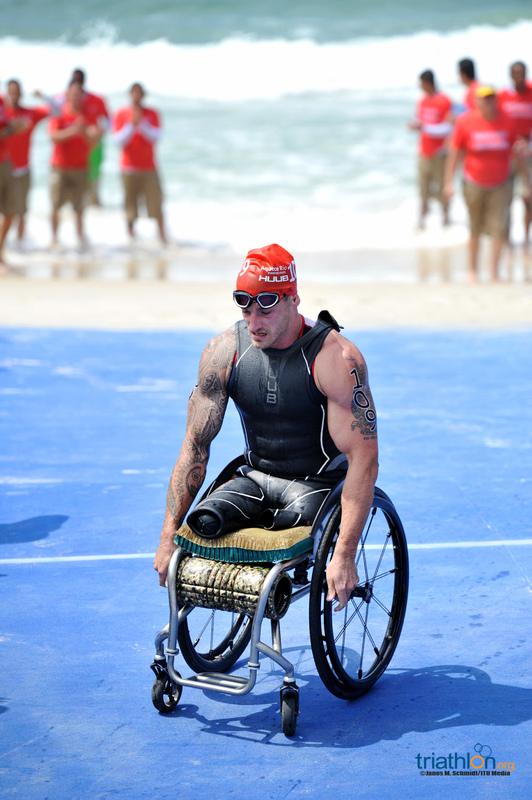 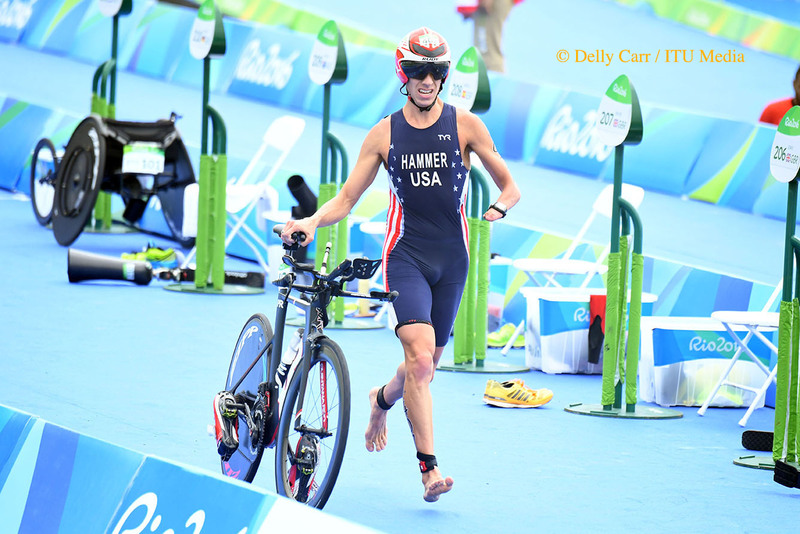 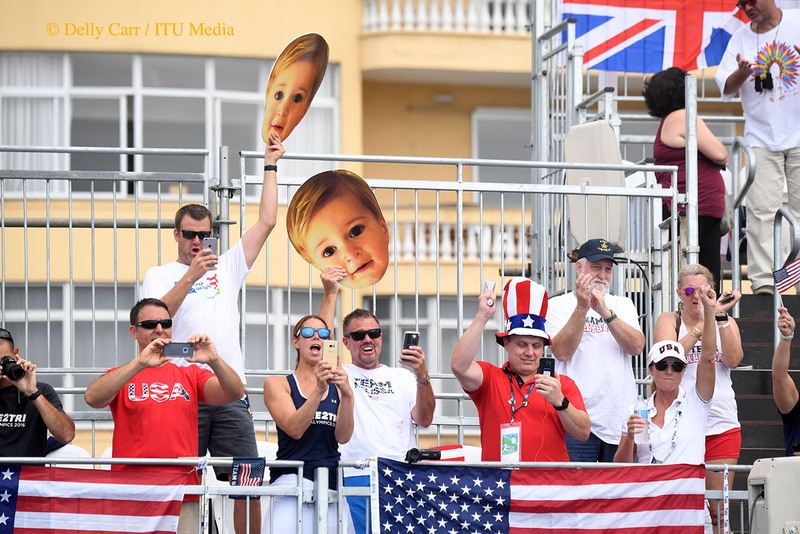 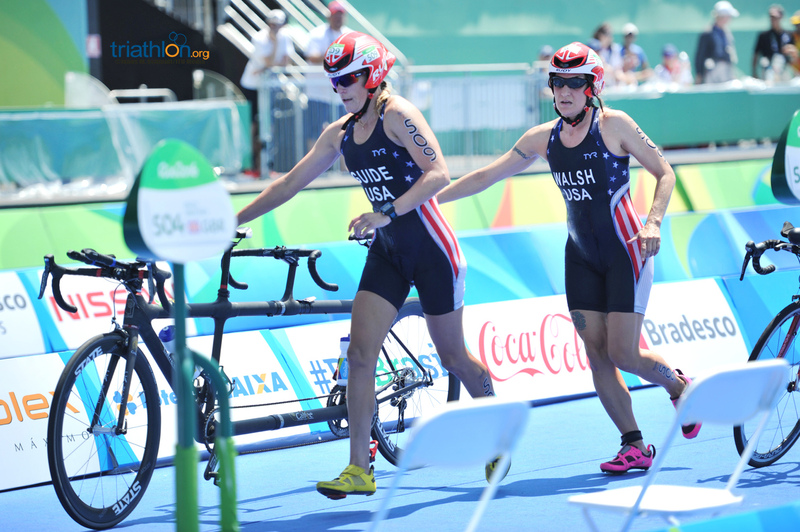 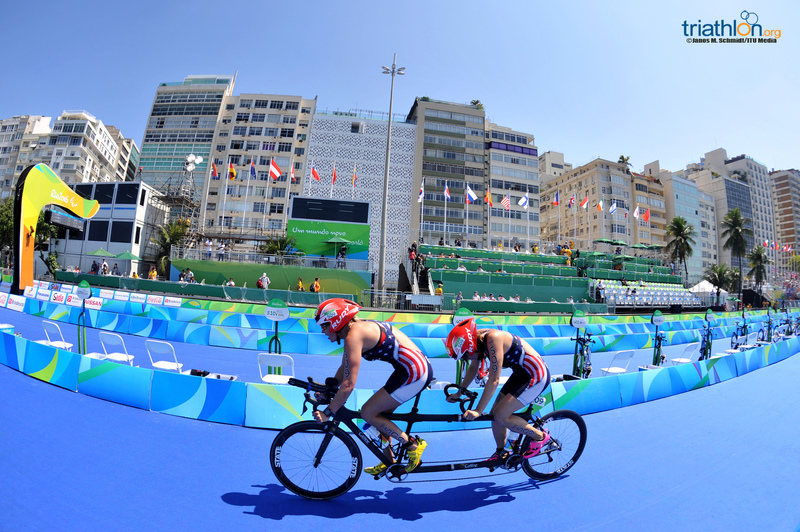 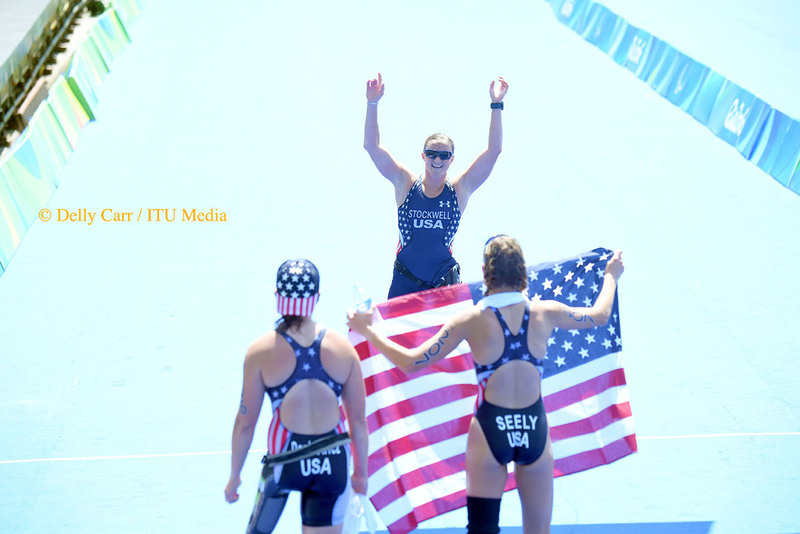 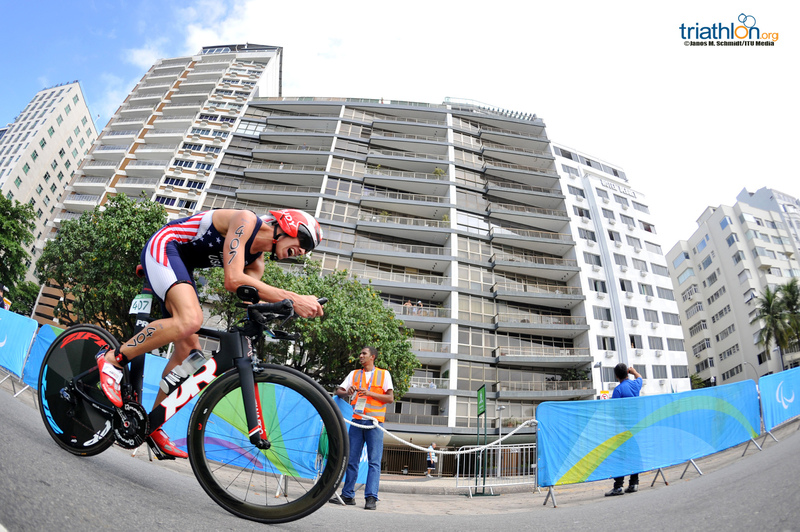 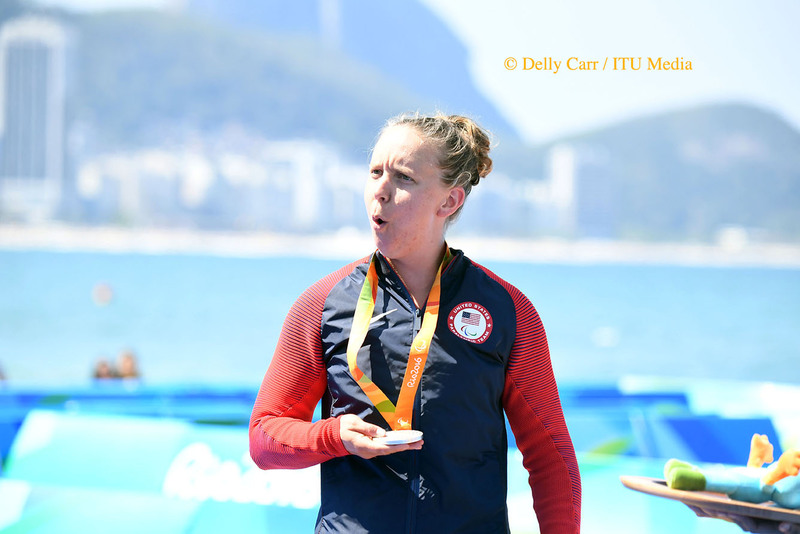 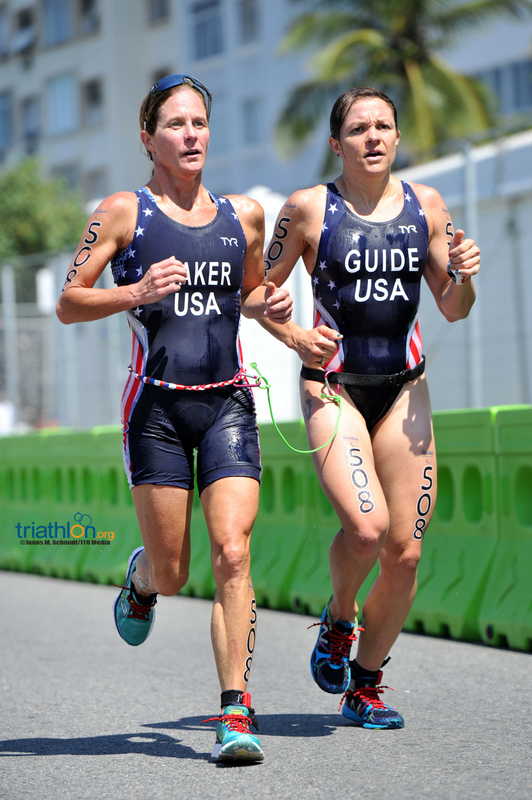 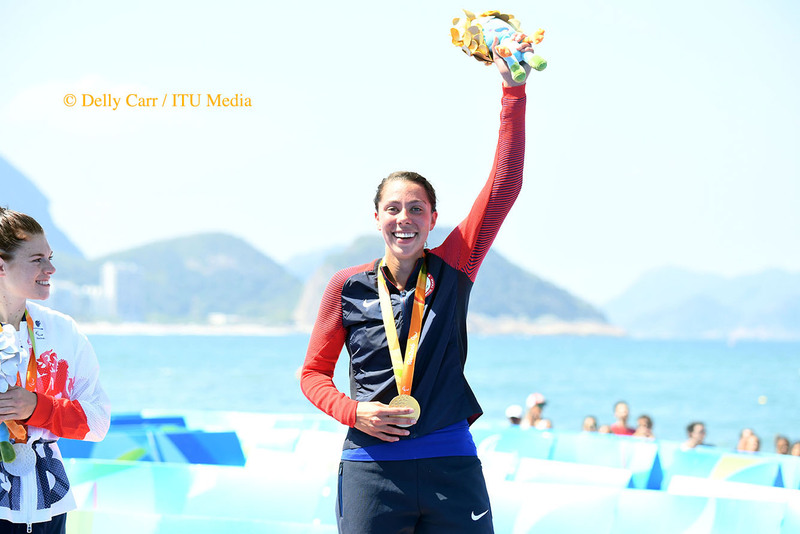 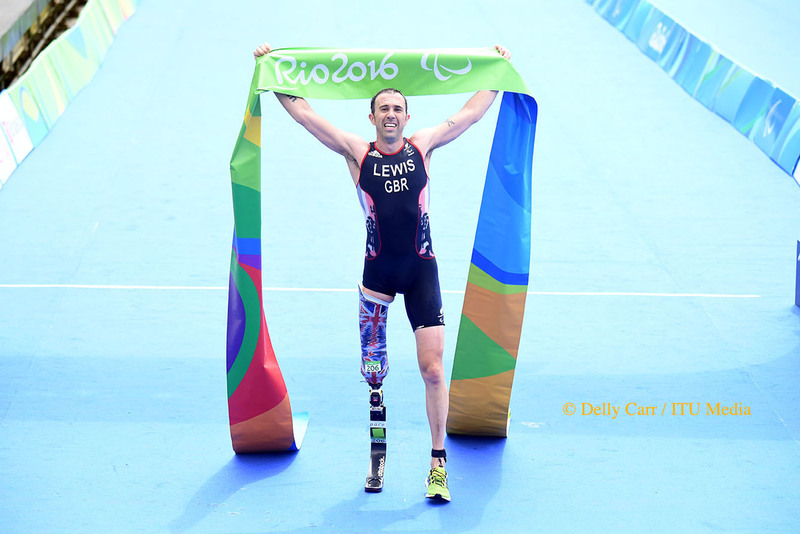 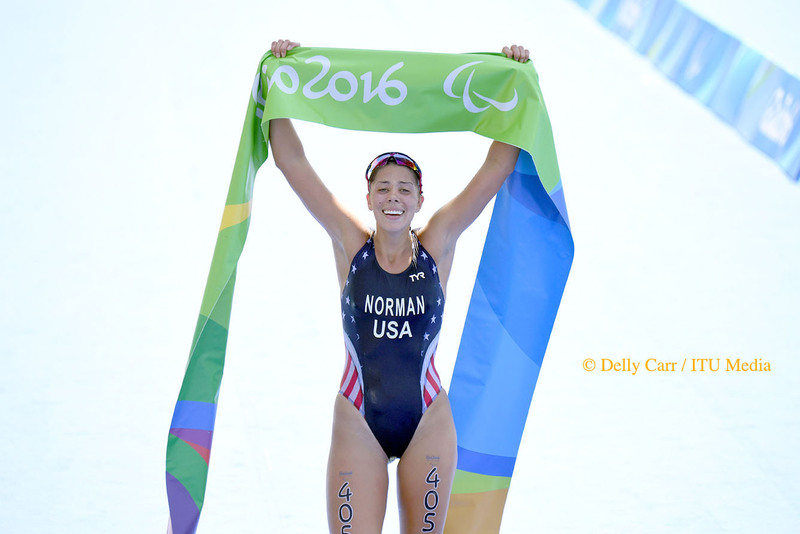 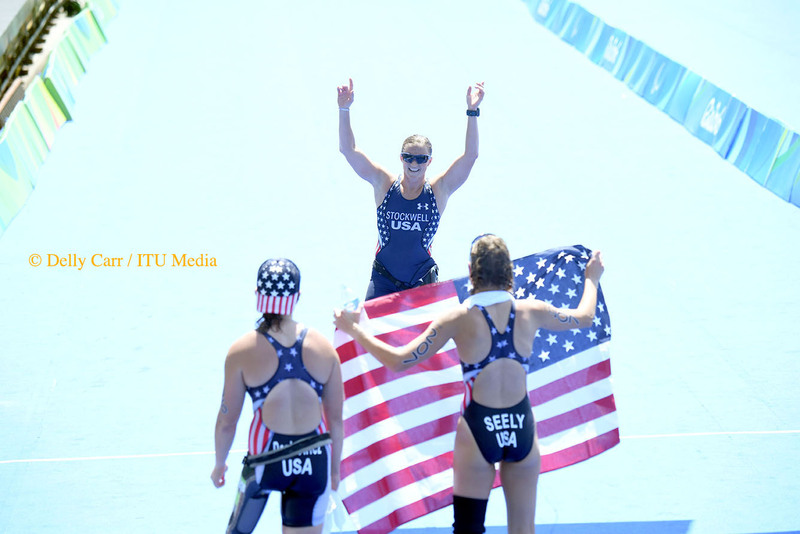 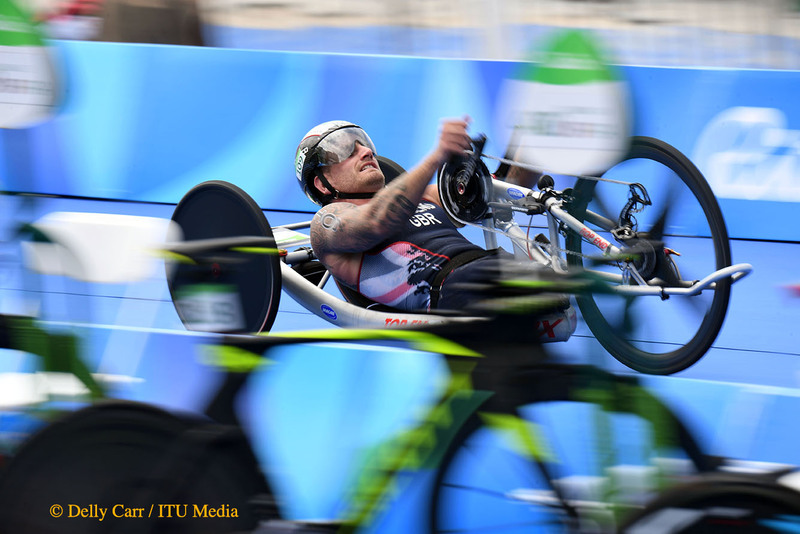 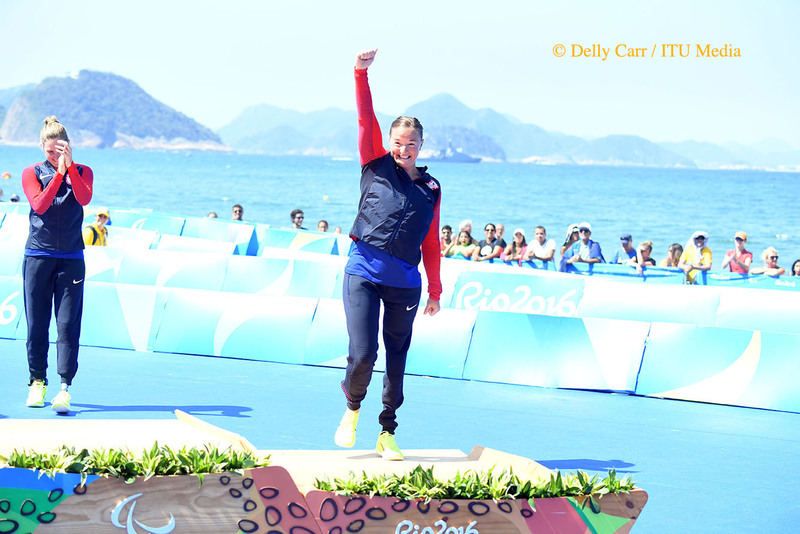 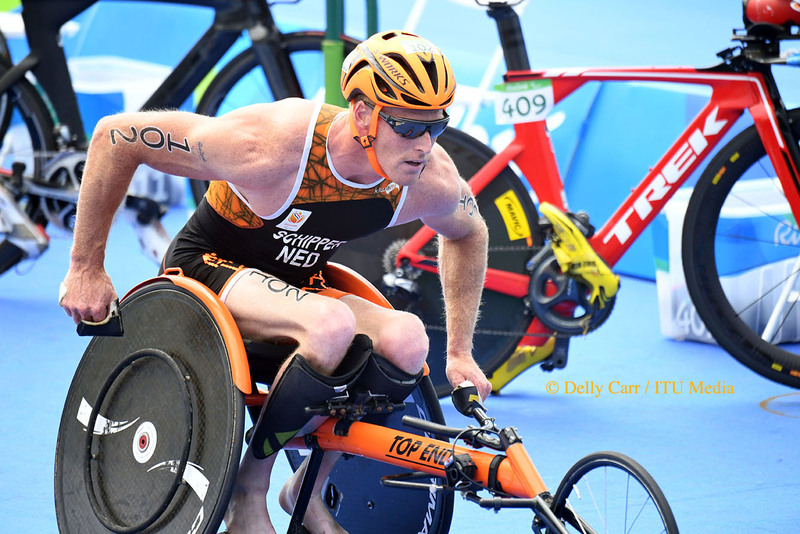 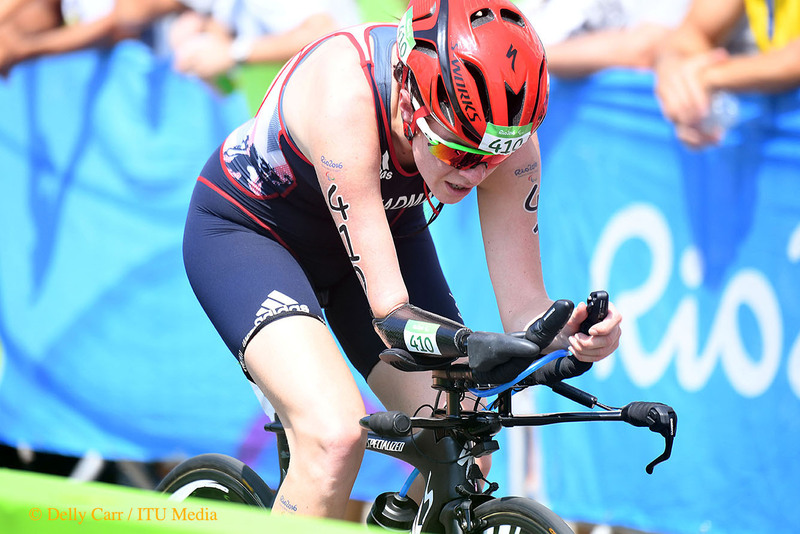 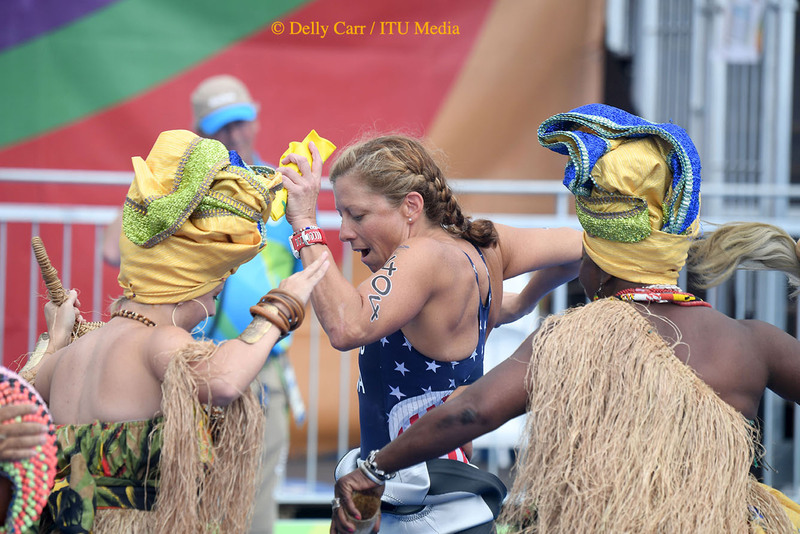 Before the men race on September 10, followed by the women on September 11, read up on each sport class & important rules to get in the know before cheering on the paratriathletes. 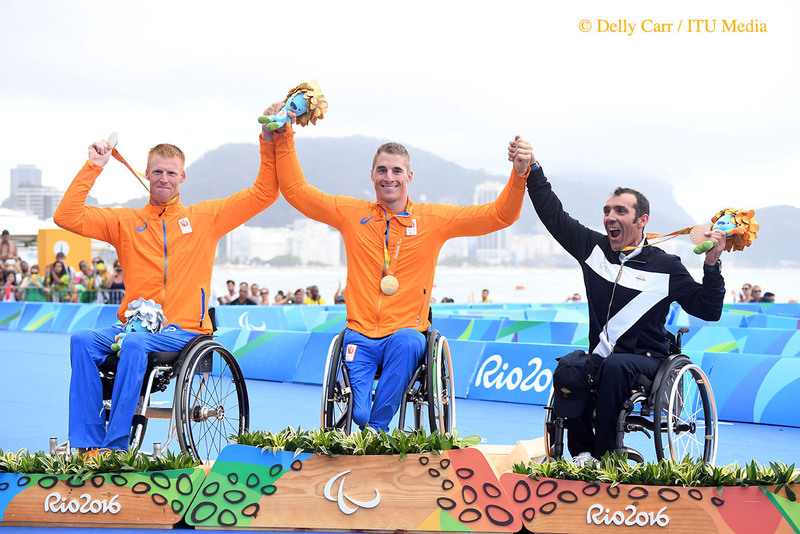 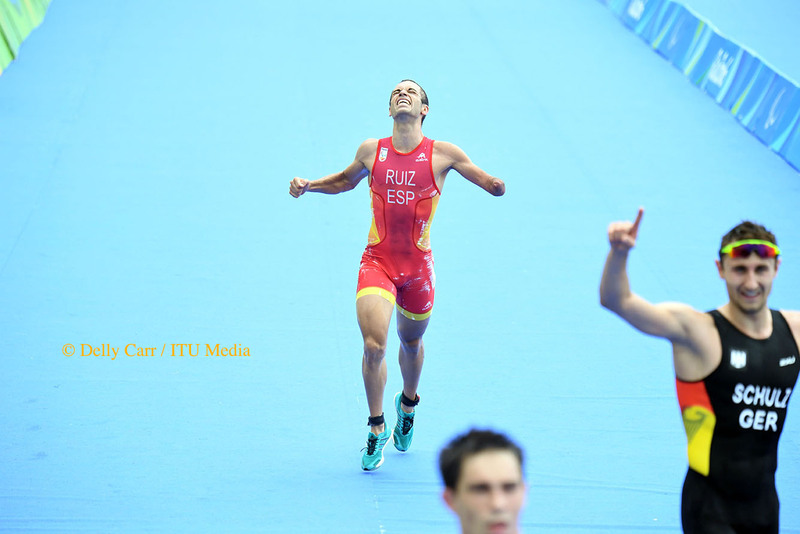 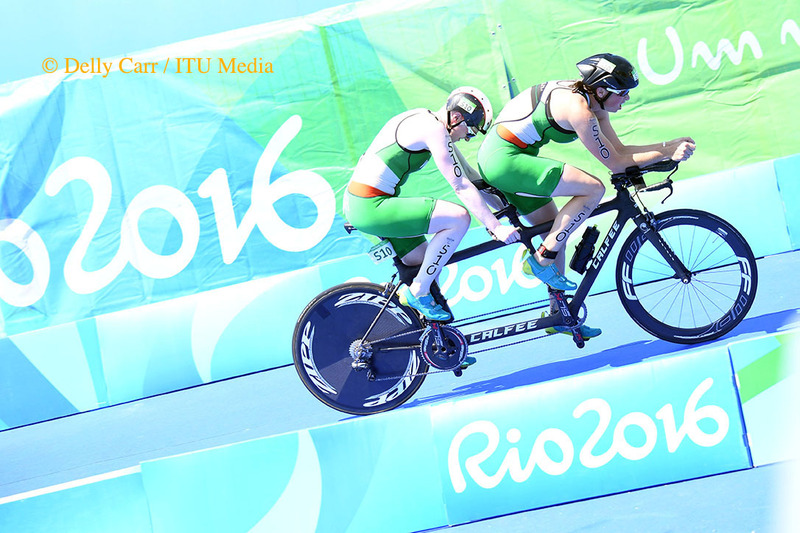 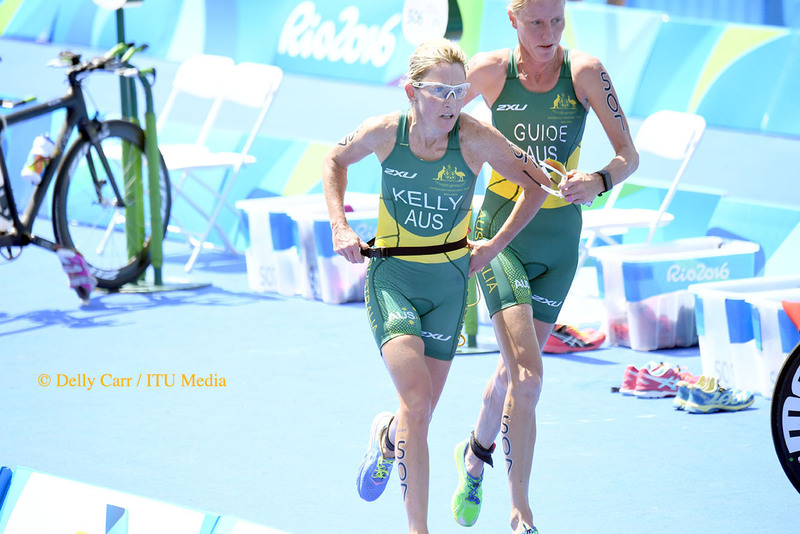 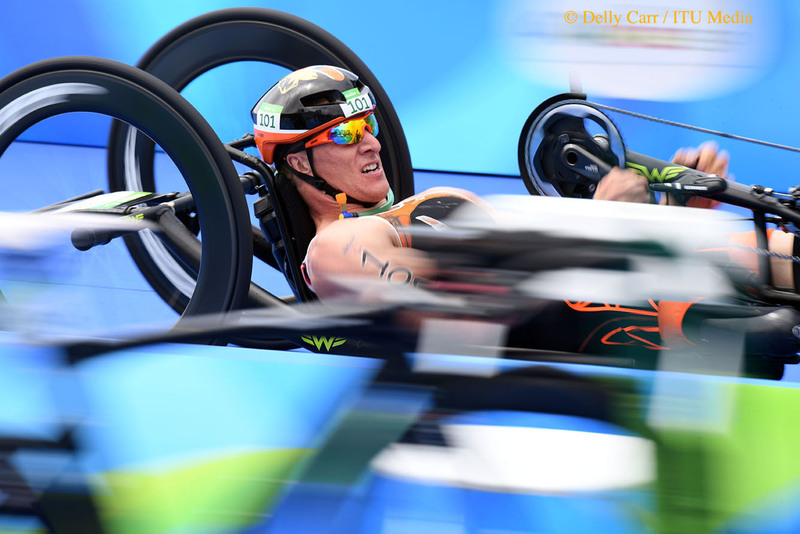 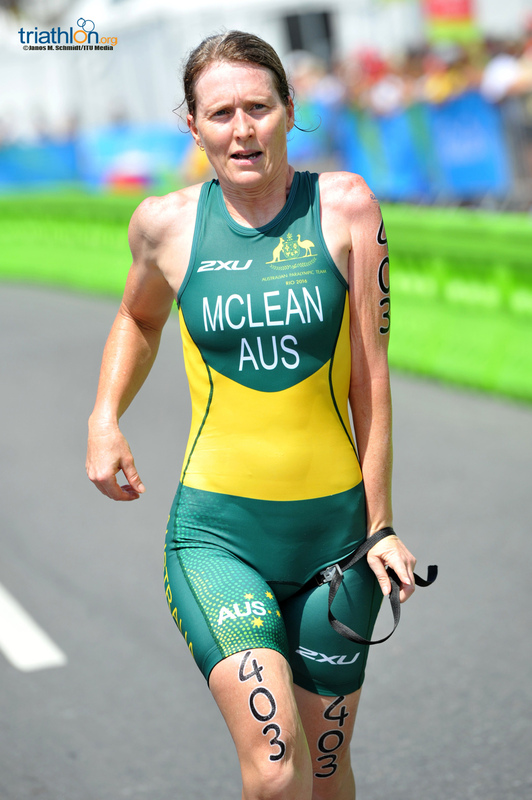 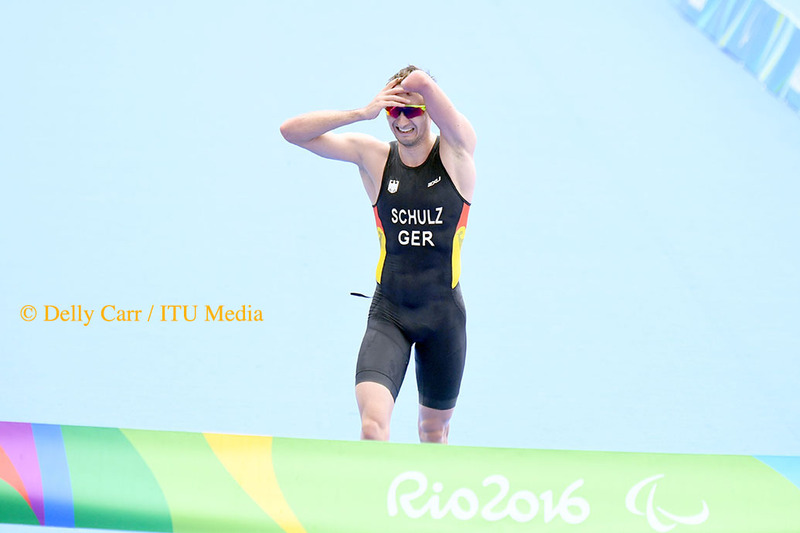 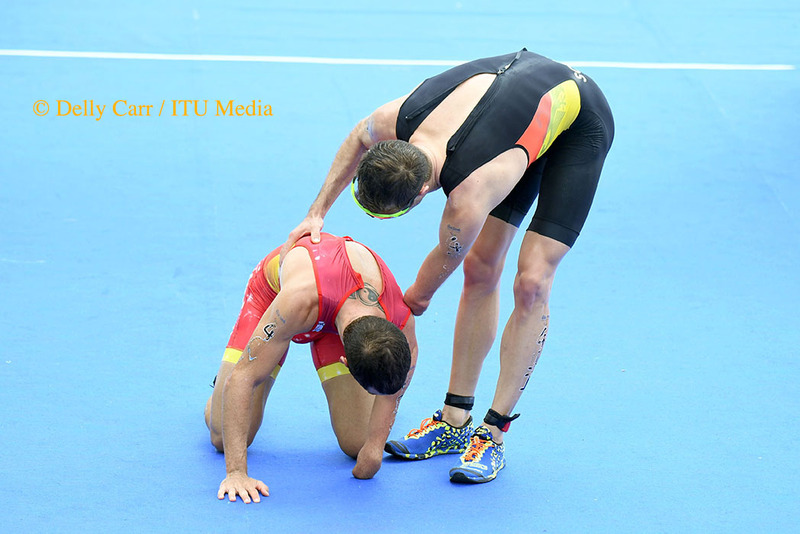 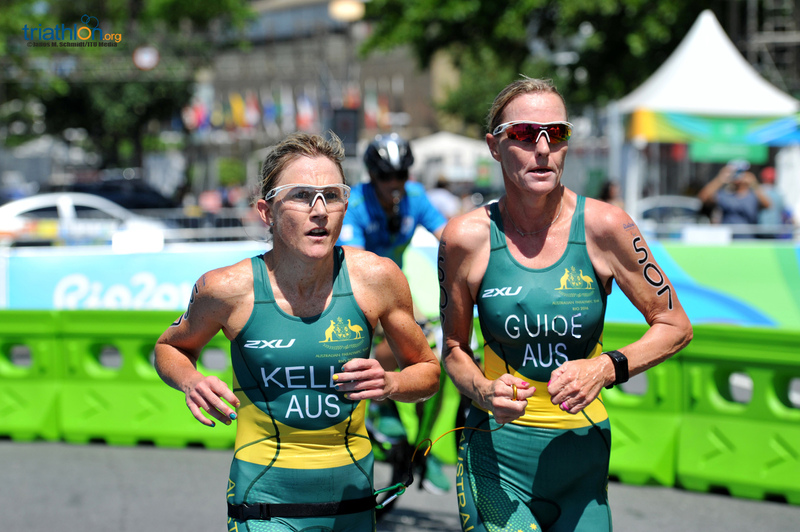 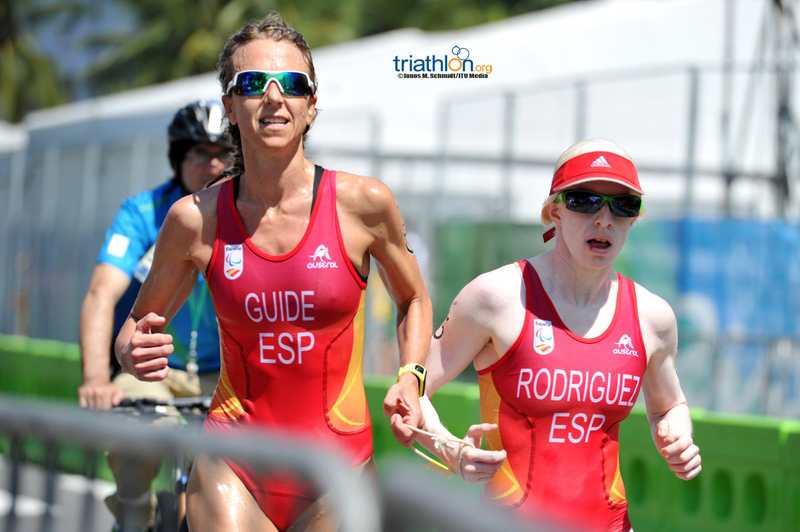 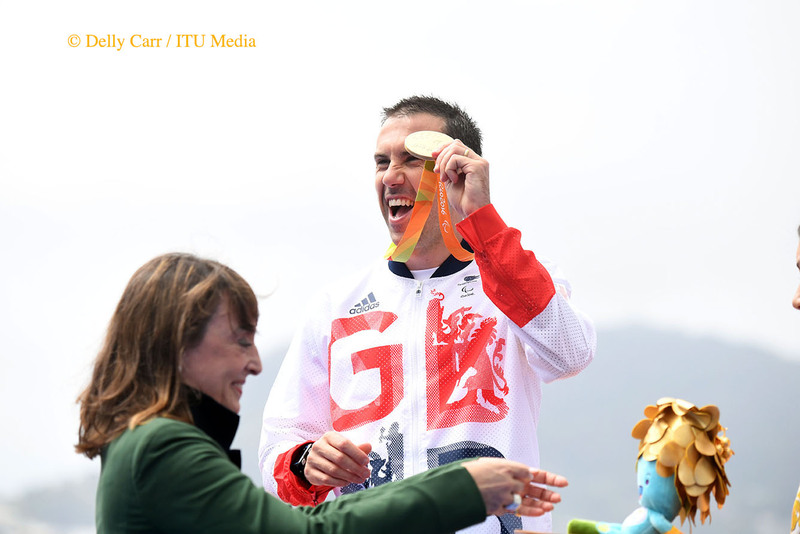 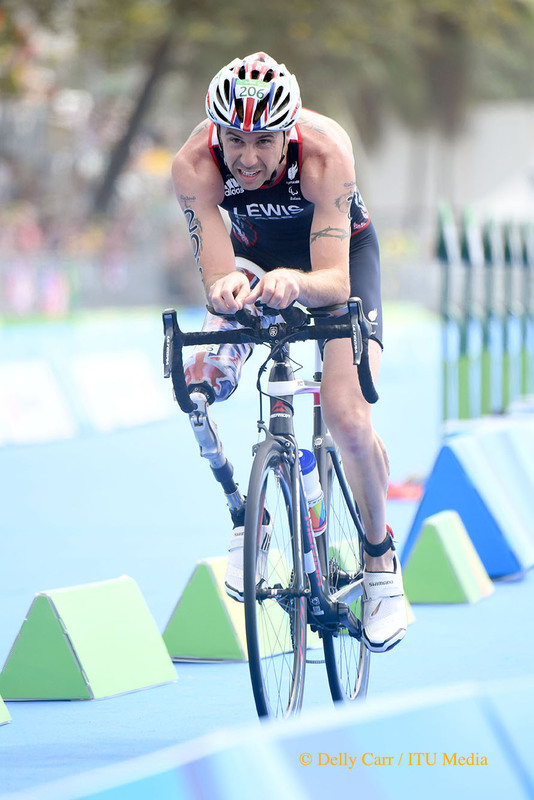 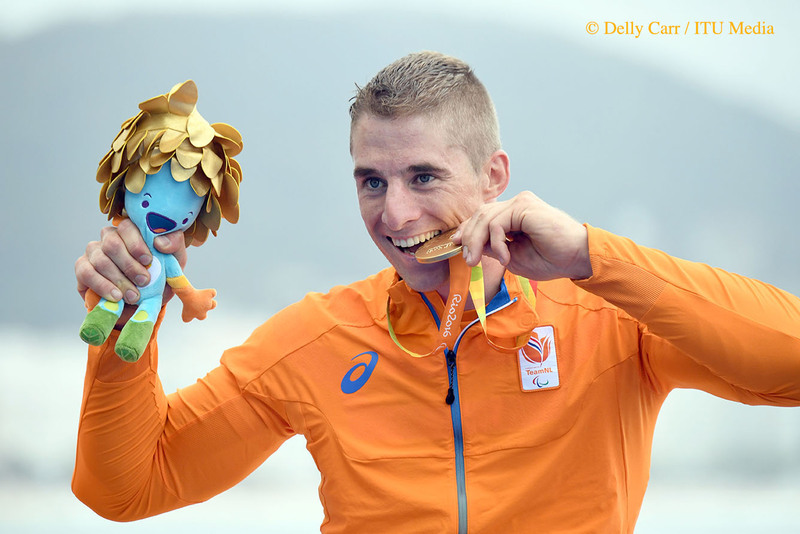 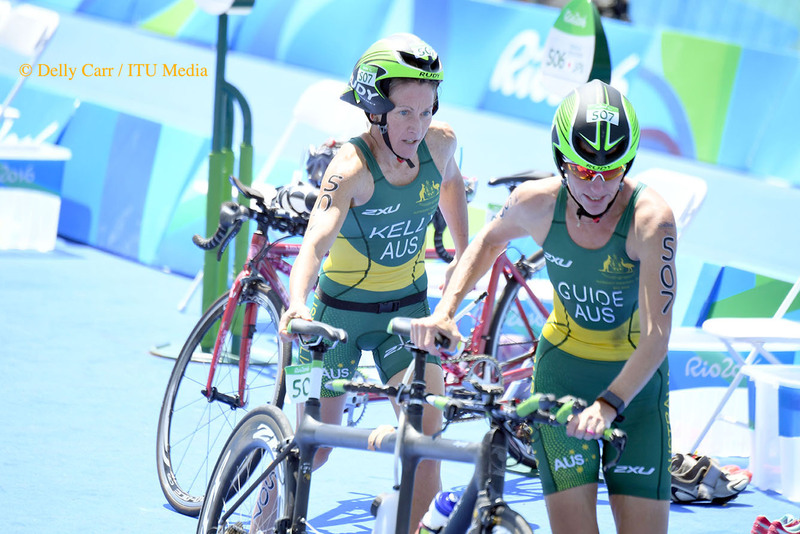 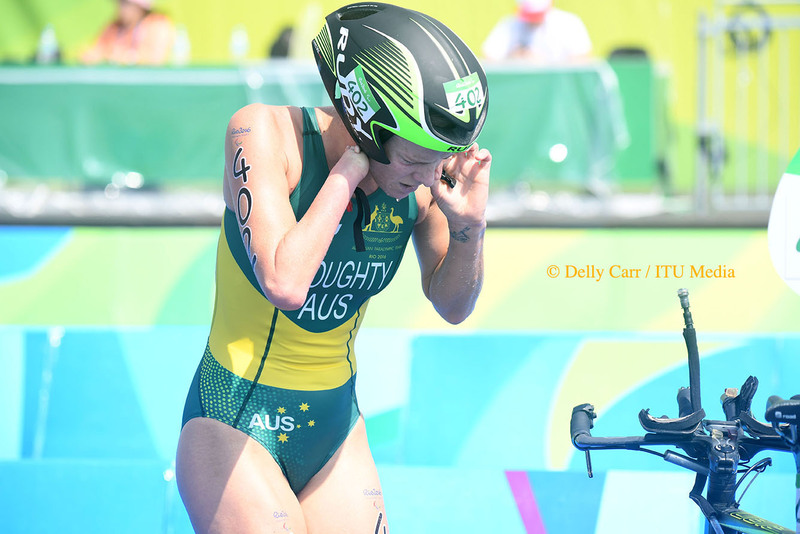 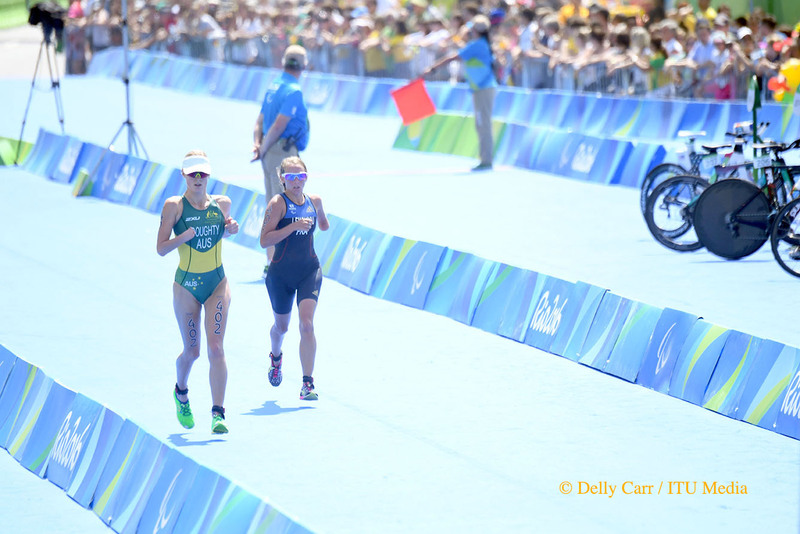 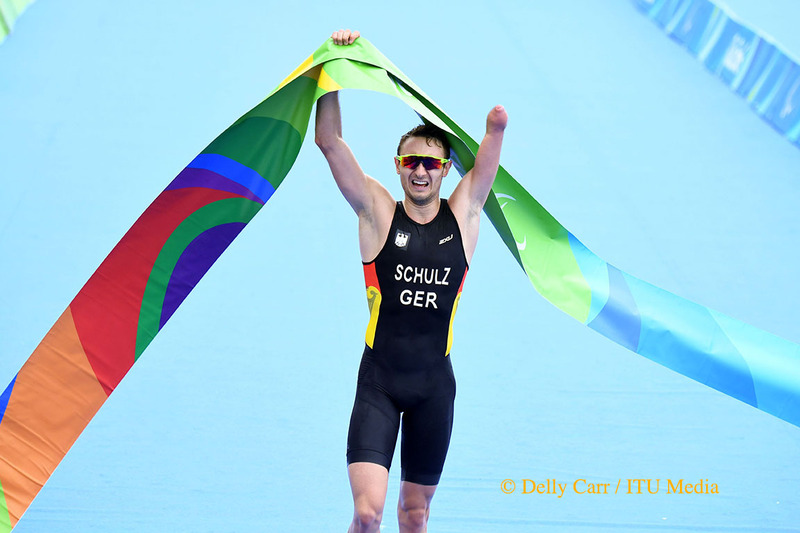 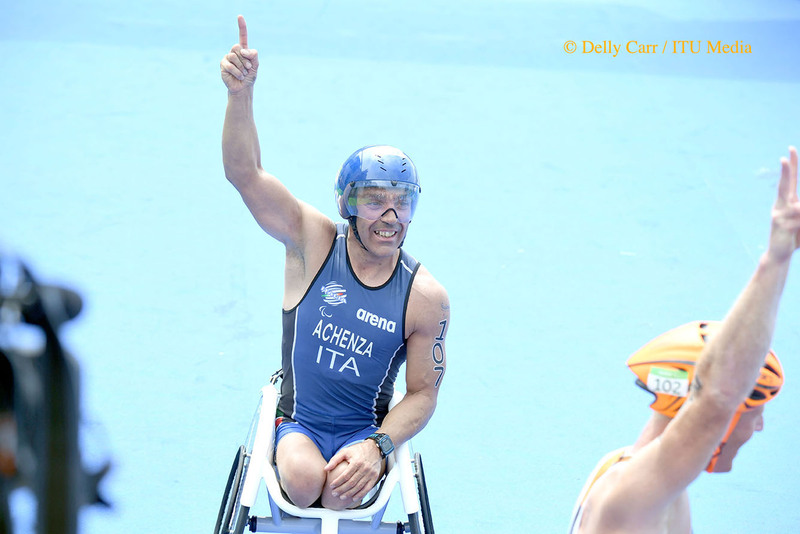 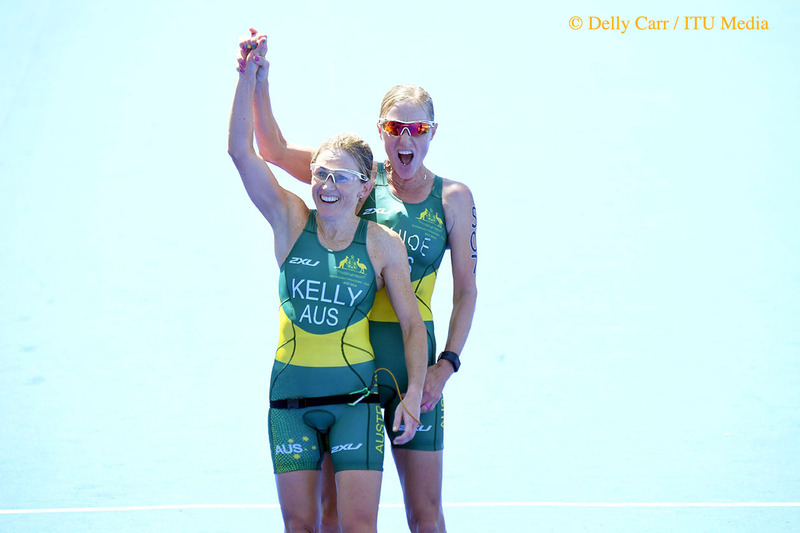 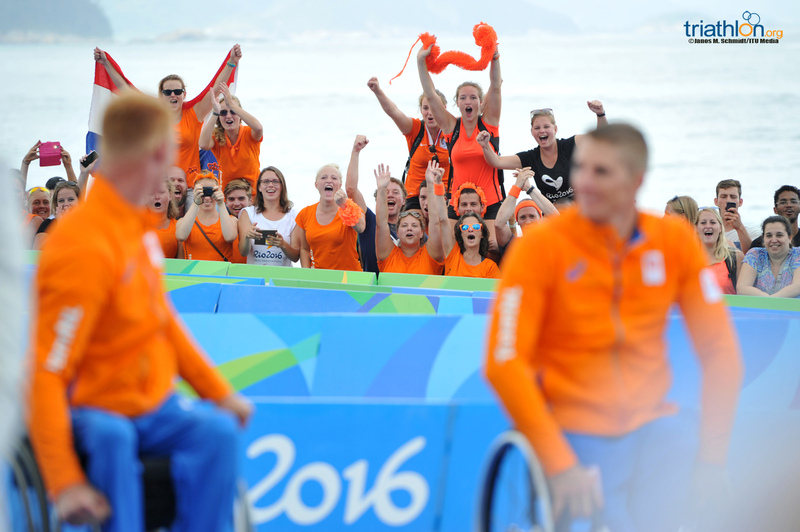 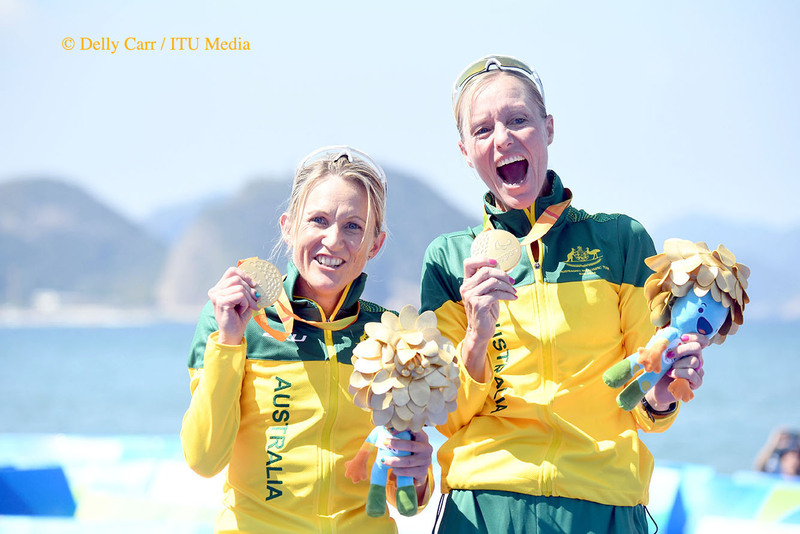 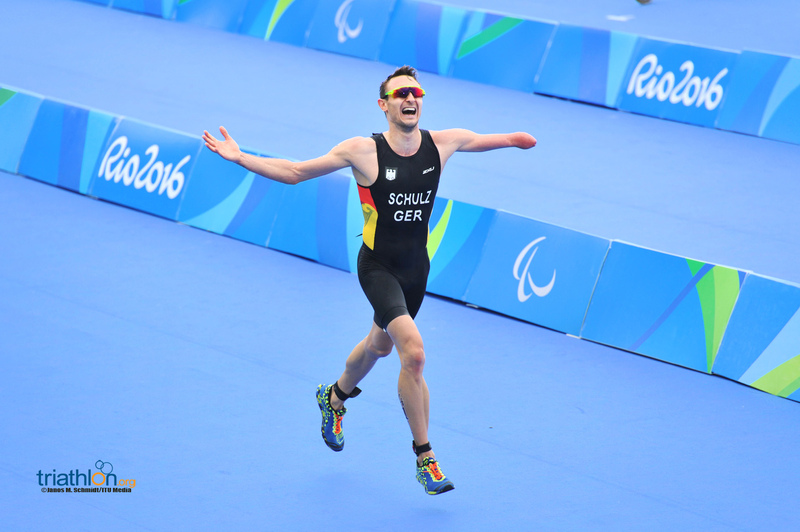 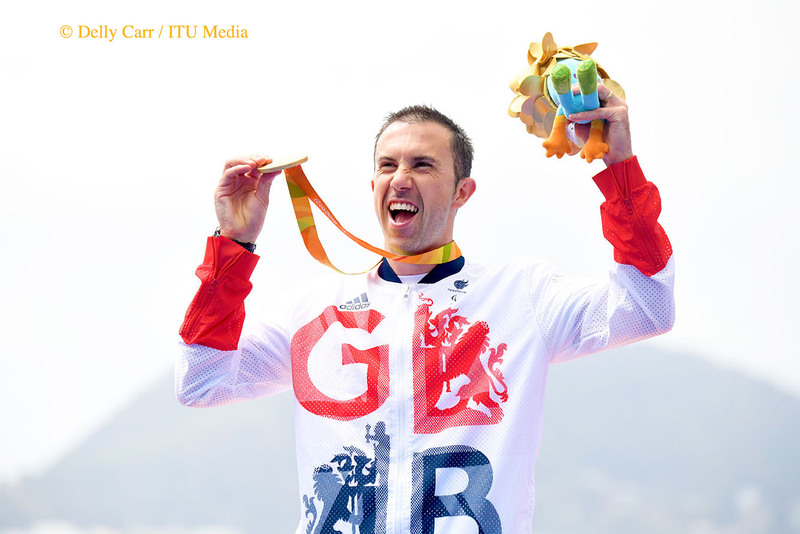 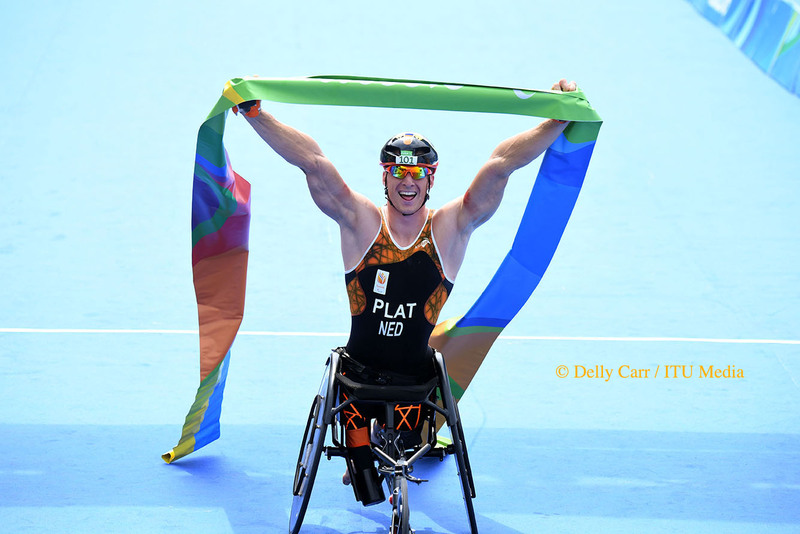 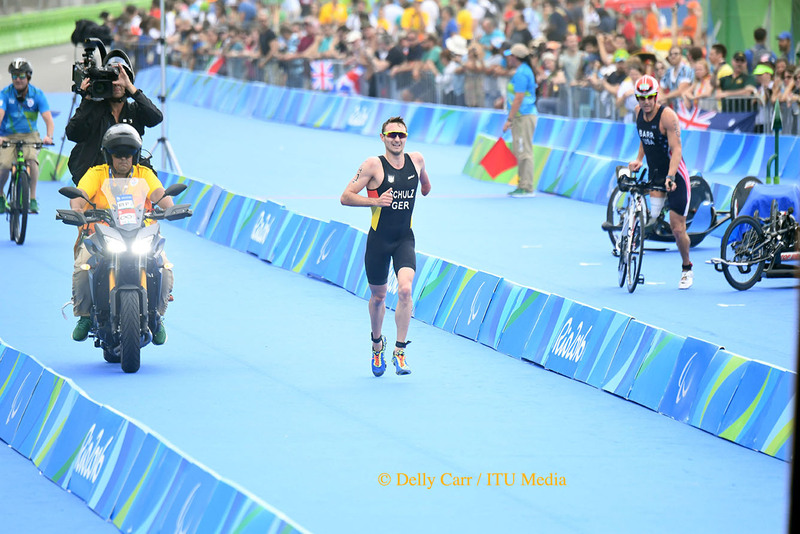 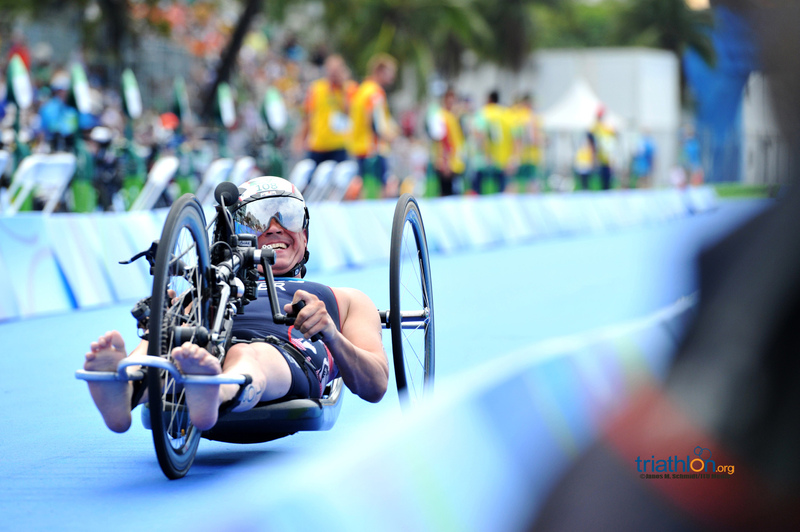 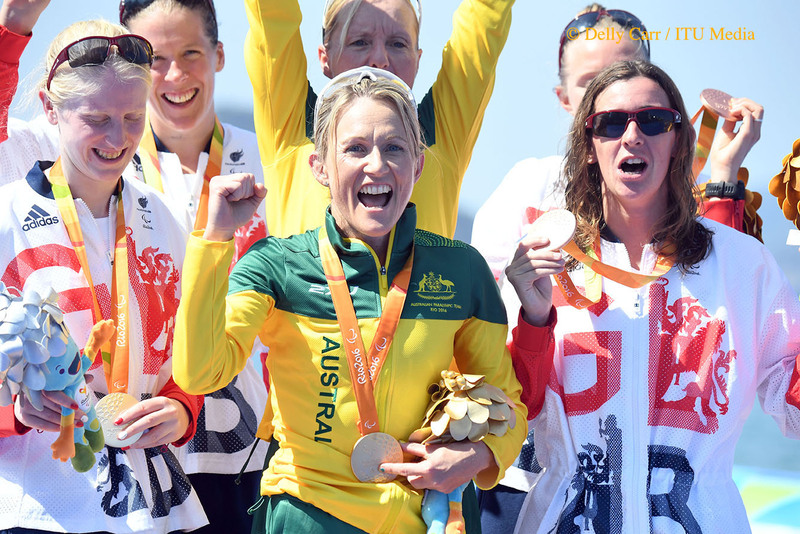 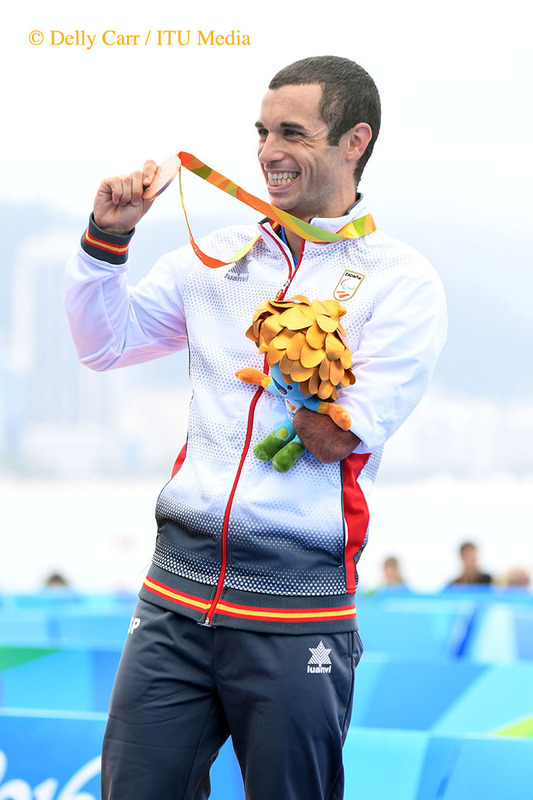 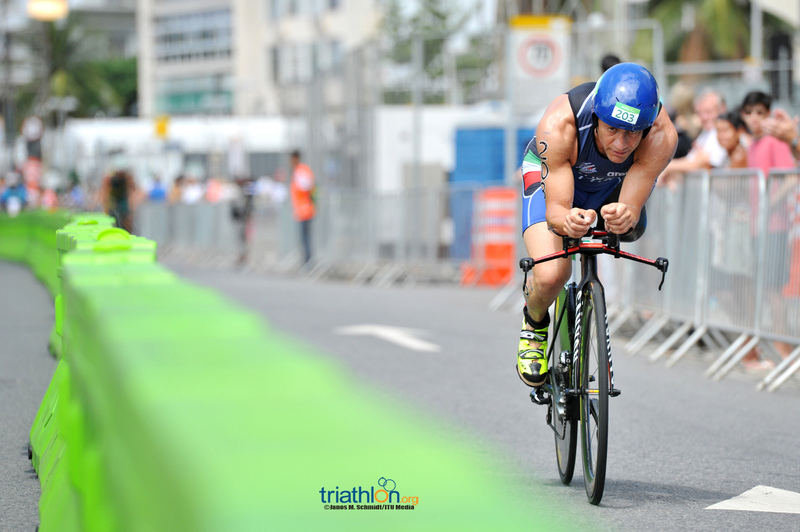 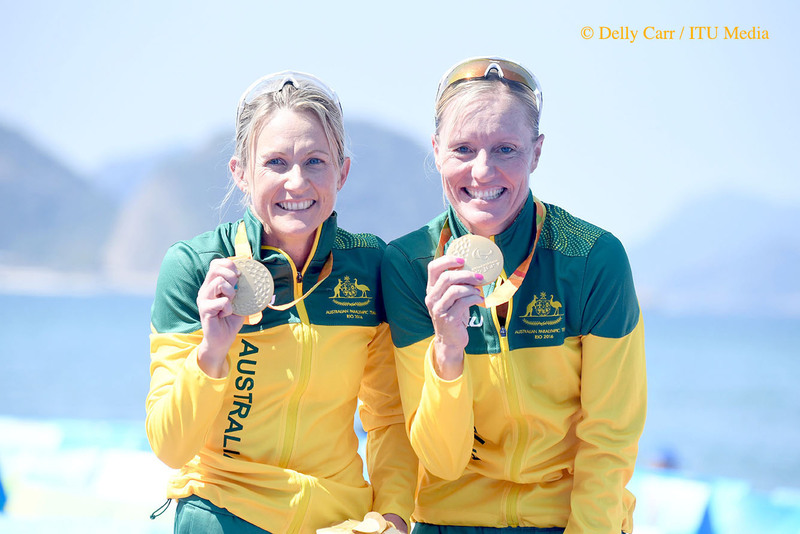 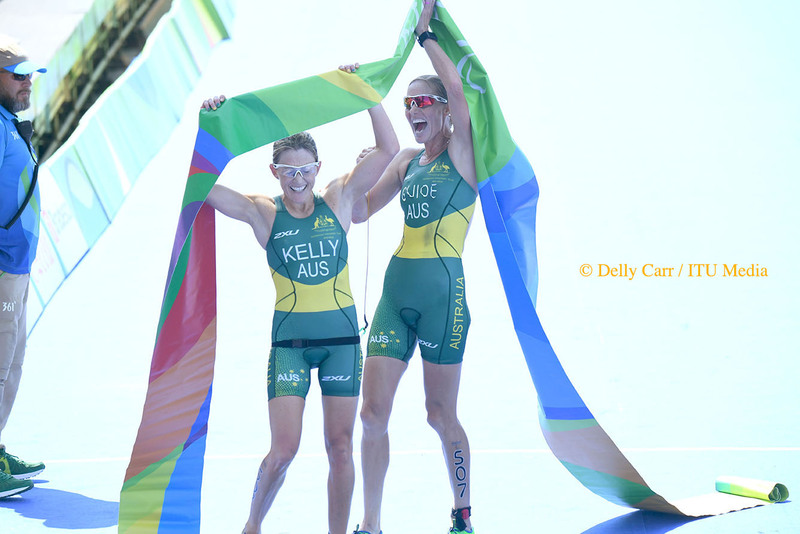 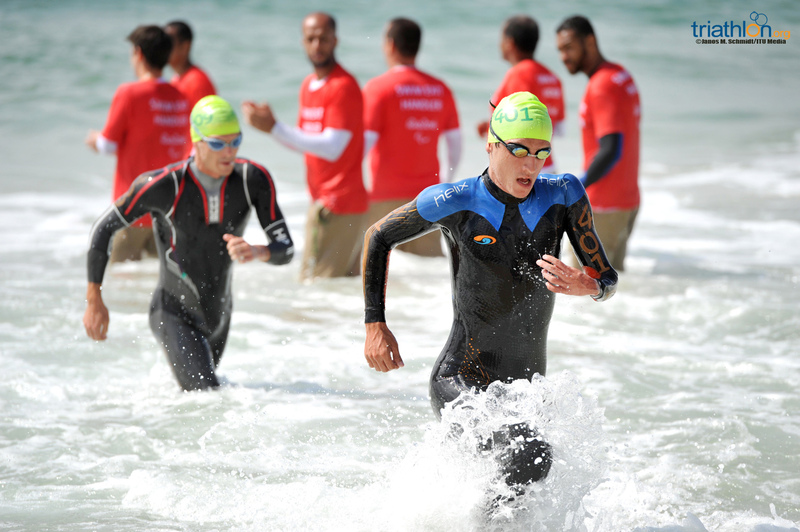 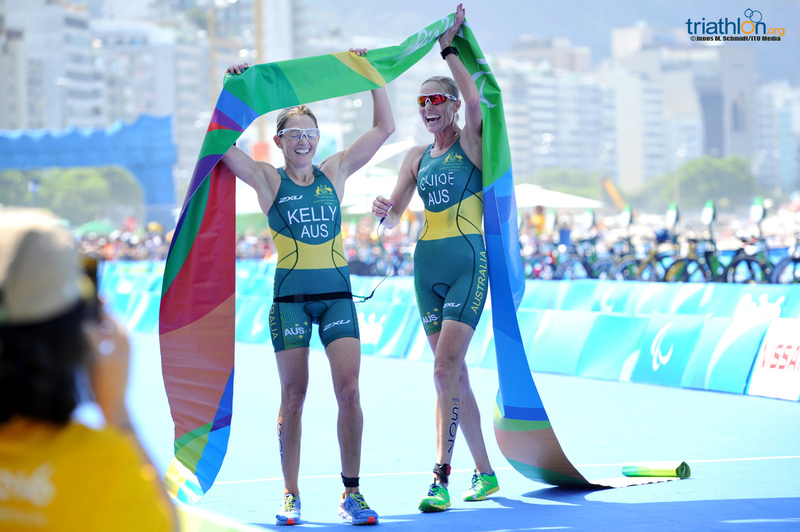 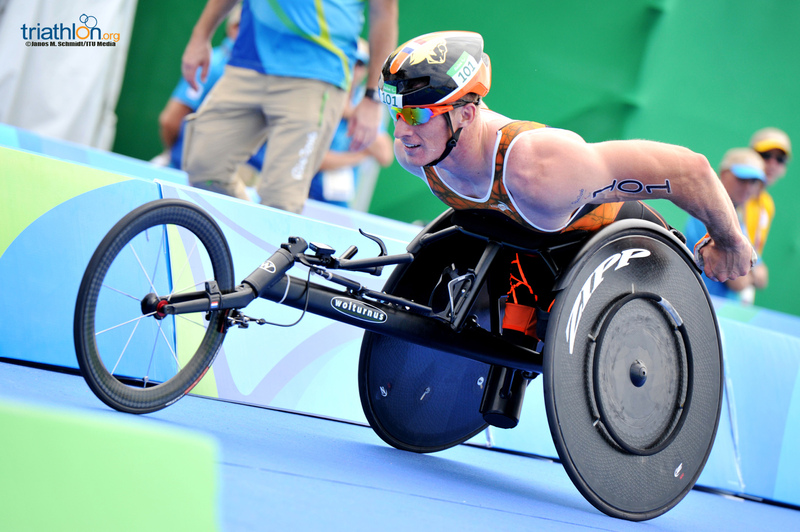 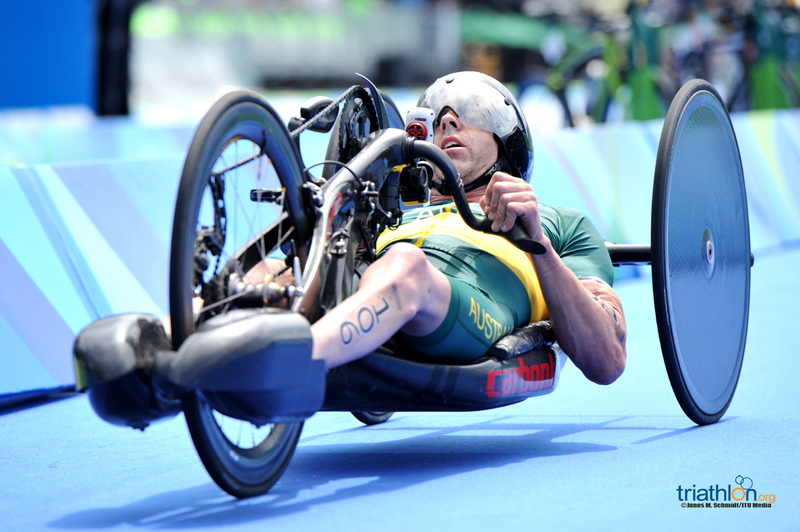 The Paratriathlon classification system was reformatted in 2014, reducing the number of sport classes from seven to five. 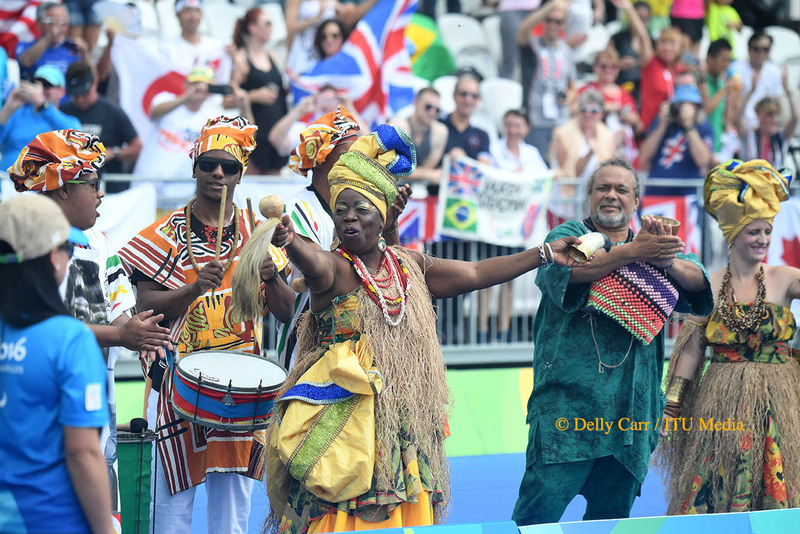 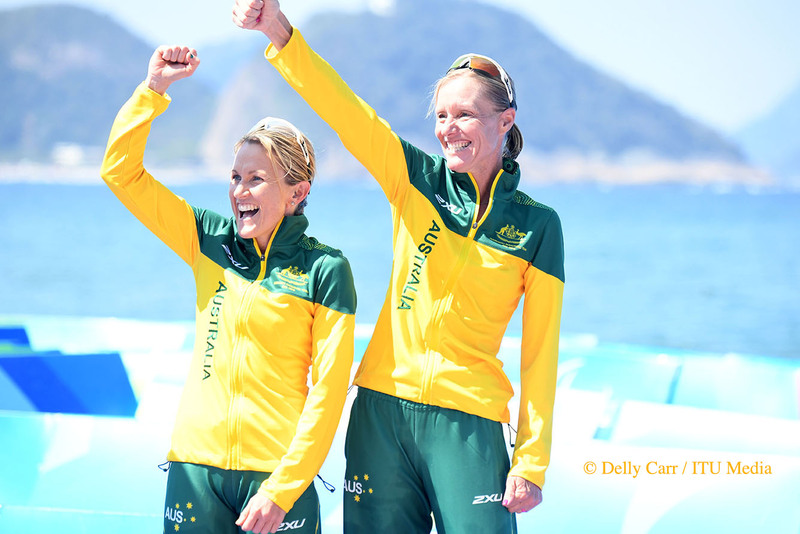 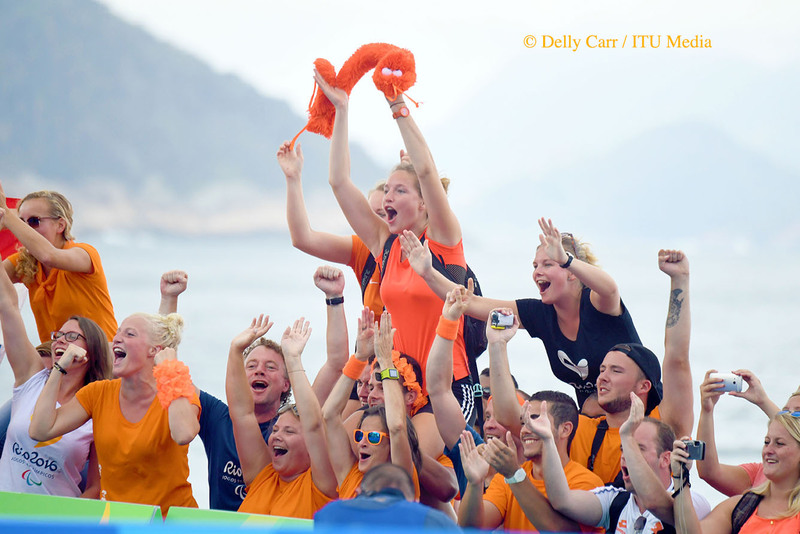 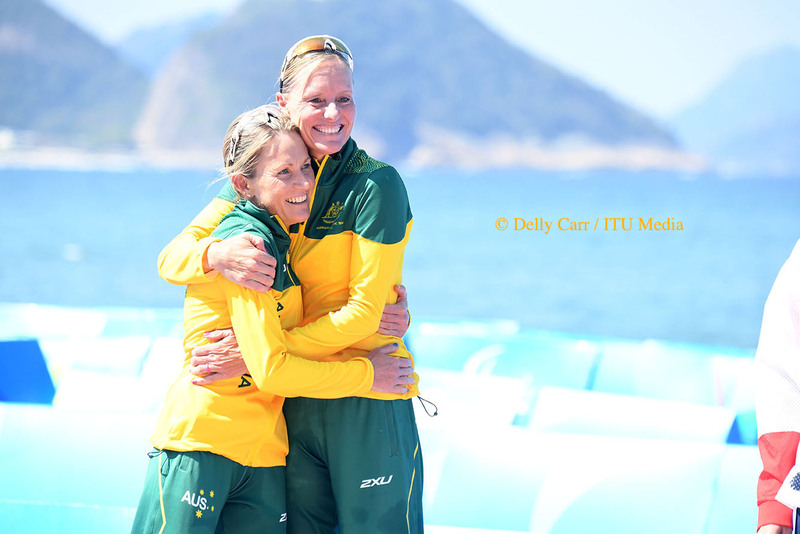 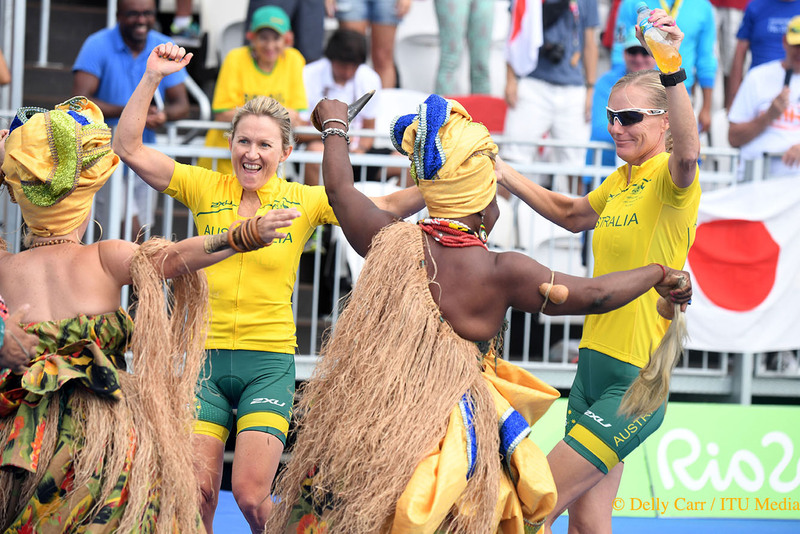 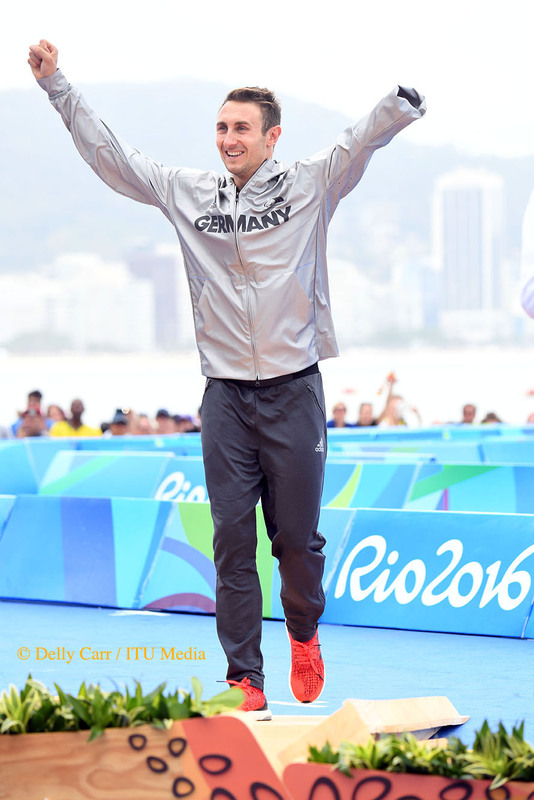 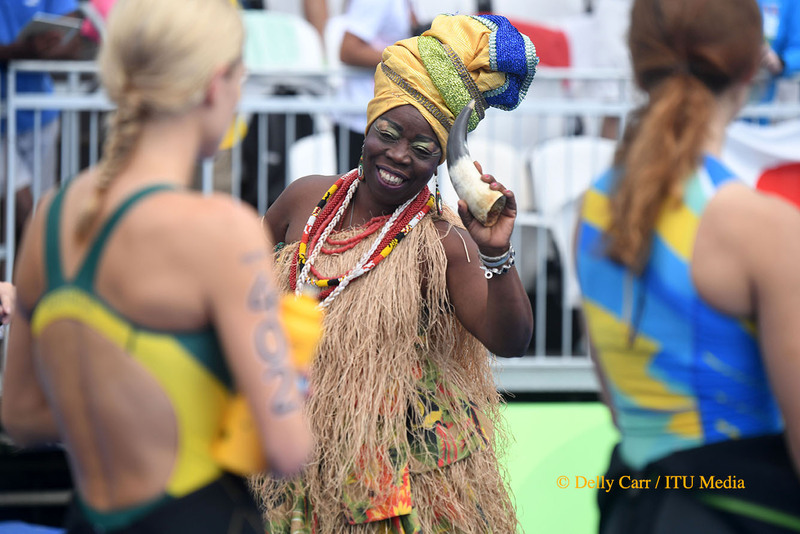 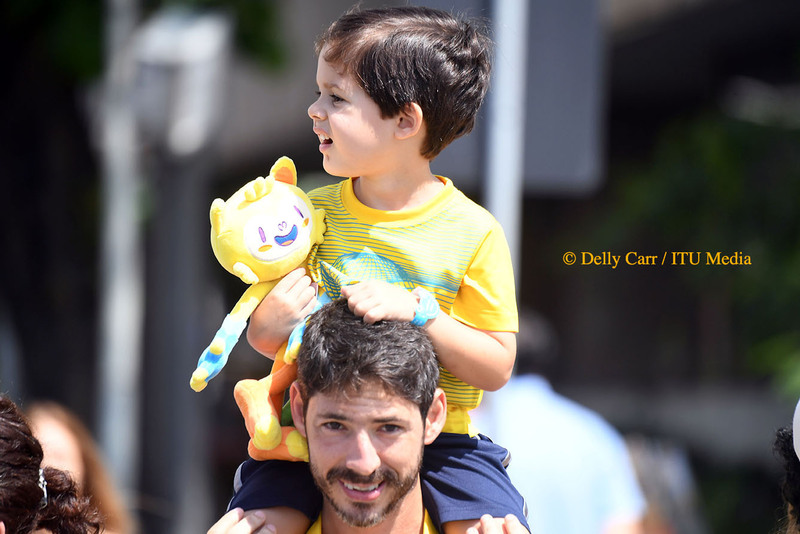 While it is only the men’s PT1, PT2 & PT4 sport classes, as well as the women’s PT2, PT4 & PT5 sport classes that will race in Rio, below find an explanation of each sport class. 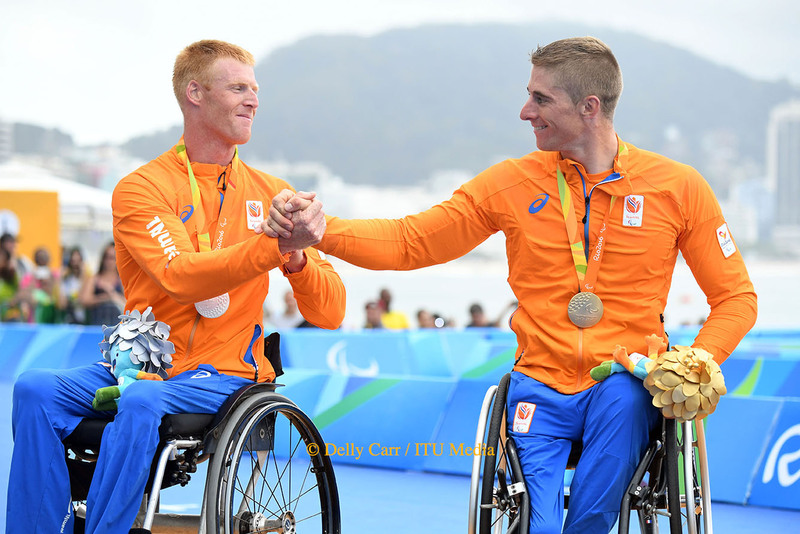 o	PT1 - Wheelchair users. 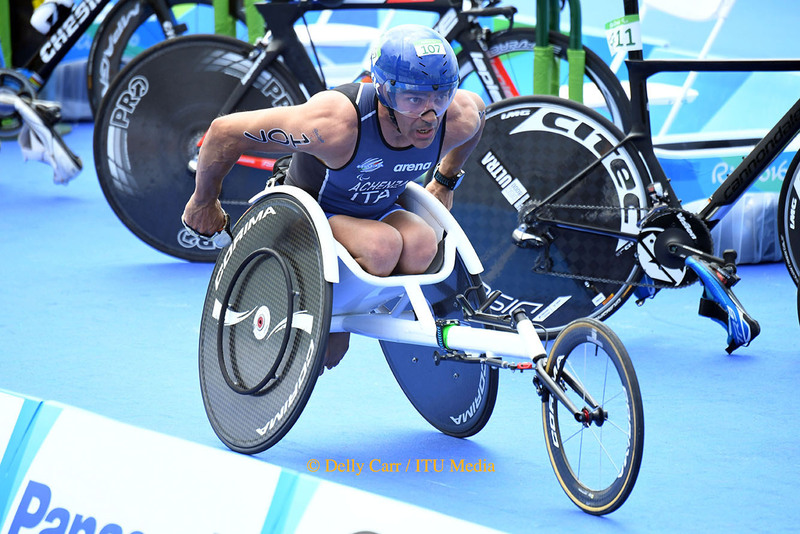 Includes athletes with comparable activity limitation and an impairment of, but not limited to: muscle power, limb deficiency, hypertonia, ataxia, athetosis that prevent the ability to safely ride a conventional bike and run. 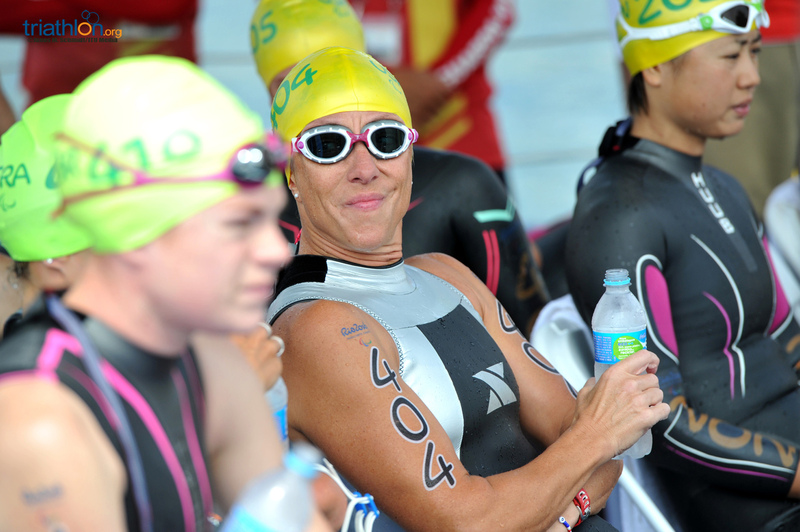 Through classification assessment, athletes must have a score of up to 640,0 points. 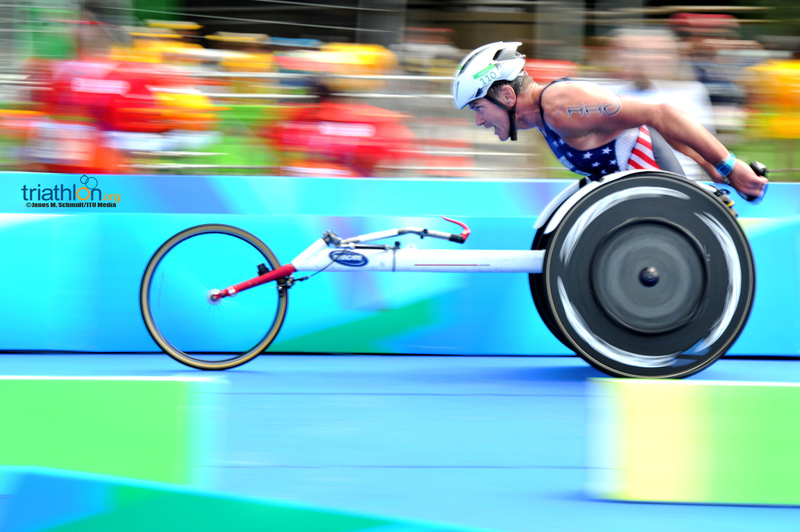 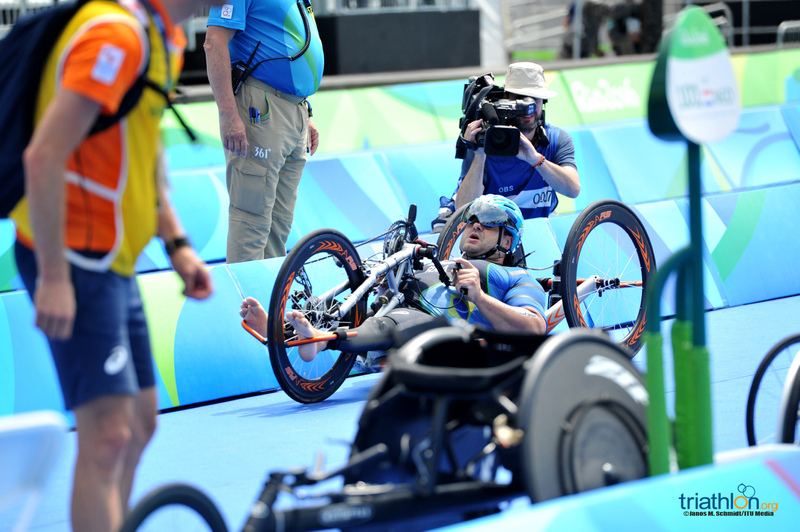 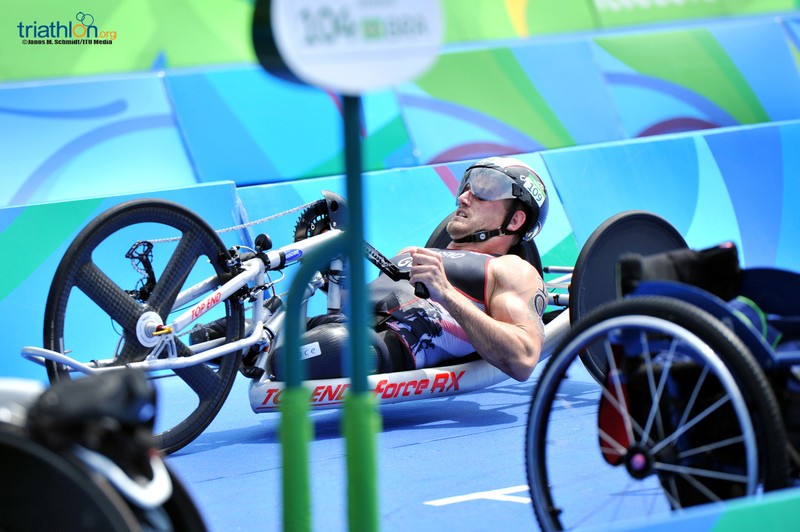 Athletes must use a recumbent handcycle on the bike course and a racing wheelchair on the run segment. 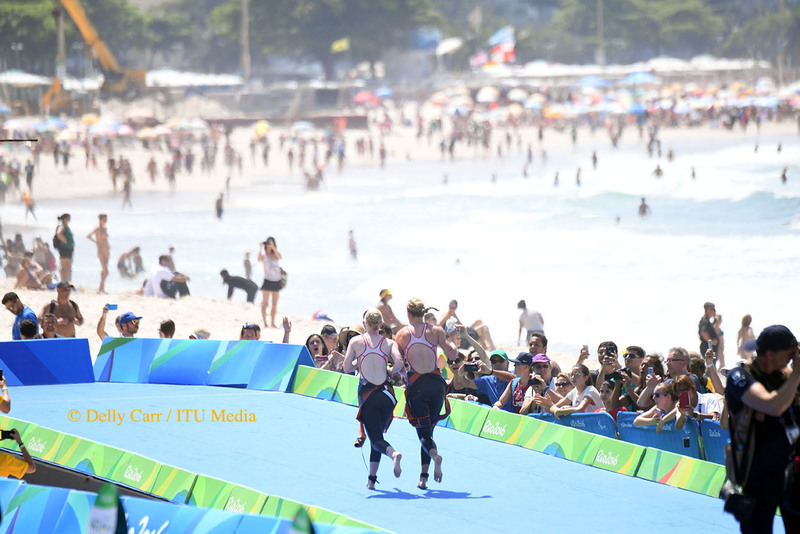 o	PT2 - Includes athletes with comparable activity limitation and an impairment of, but not limited to, limb deficiency, hypertonia, ataxia and or athetosis, impaired muscle power or range of movement that through classification assessment have a score of up to 454,9 points. 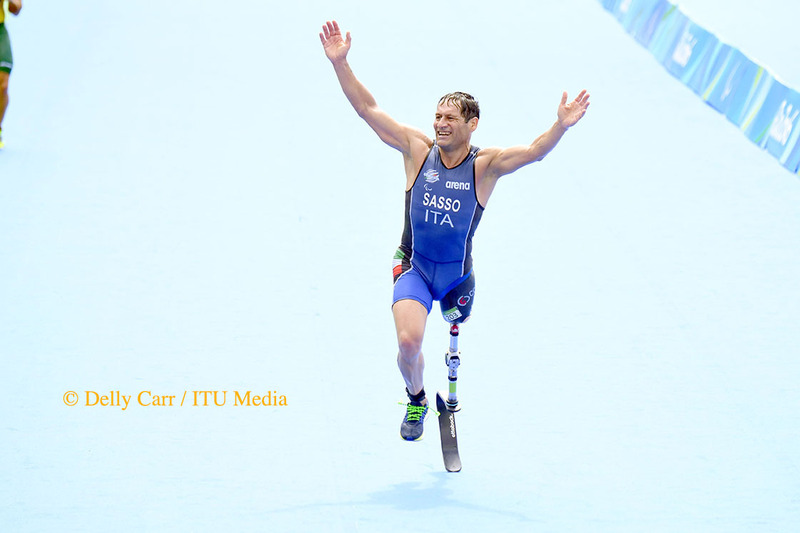 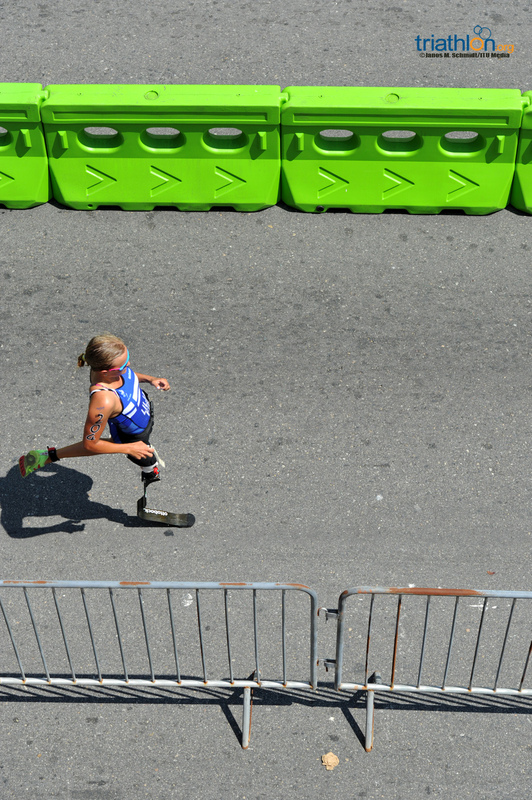 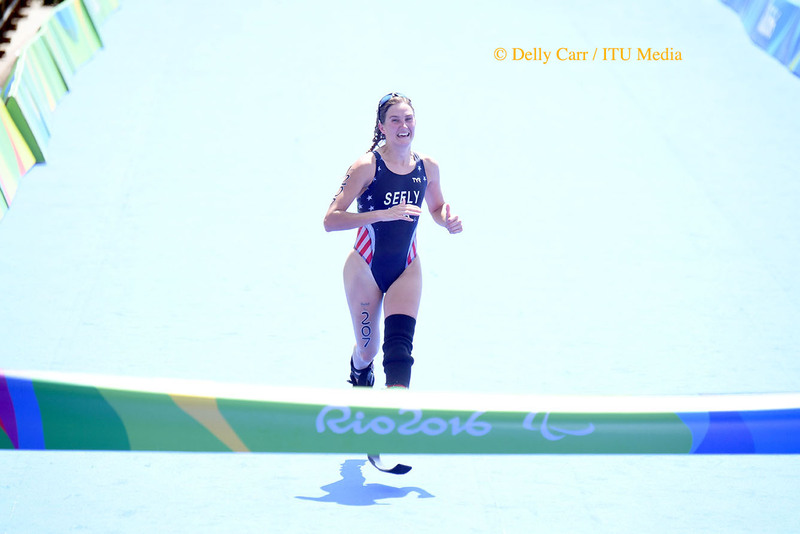 In both bike and run segments, amputee athletes may use approved prosthesis or other supportive devices. 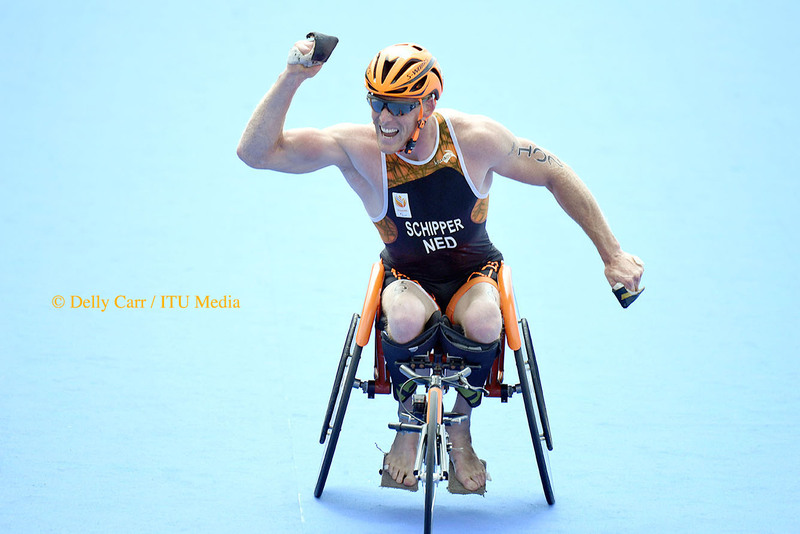 o	PT3 - Includes athletes with comparable activity limitation and an impairment of, but not limited to, limb deficiency, hypertonia, ataxia and or athetosis, impaired muscle power or range of movement that through classification assessment have a score from 455,0 to 494,9 points. 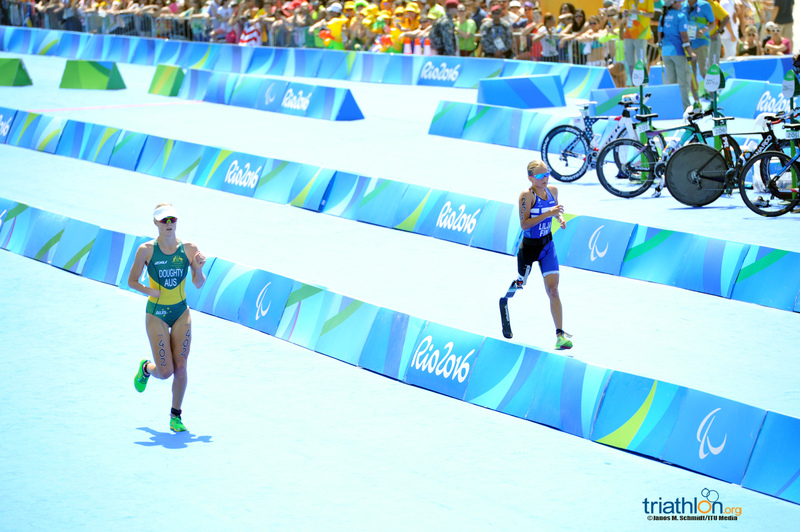 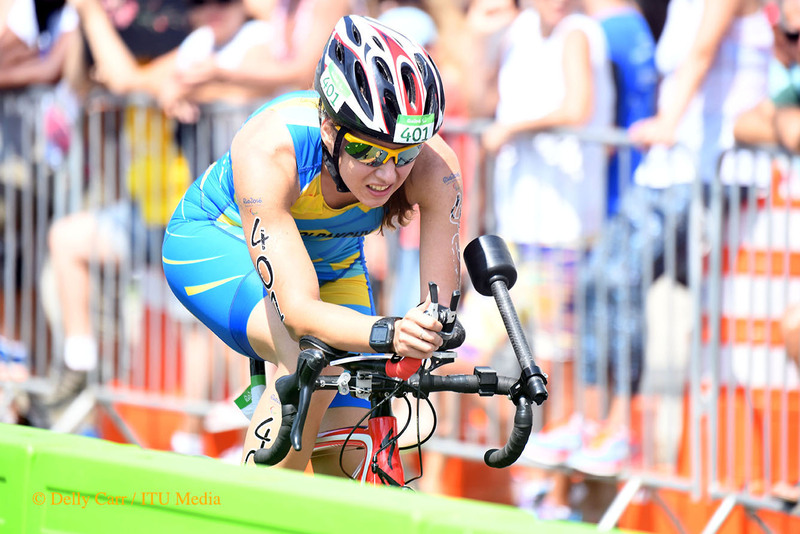 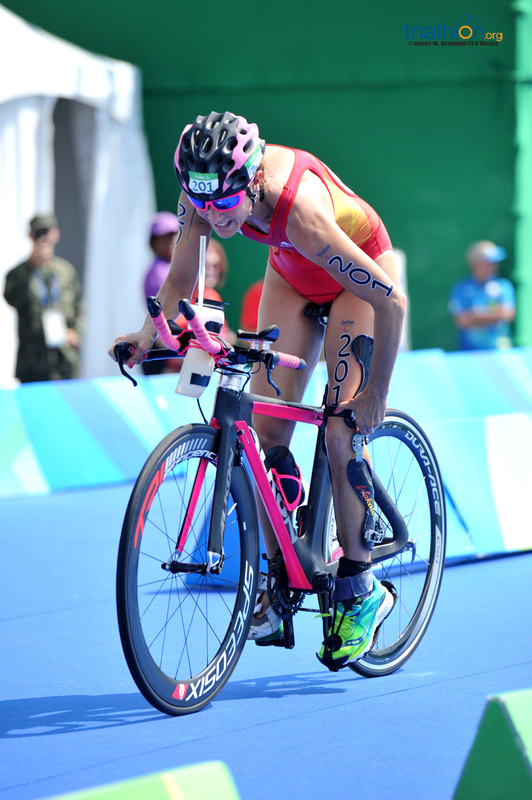 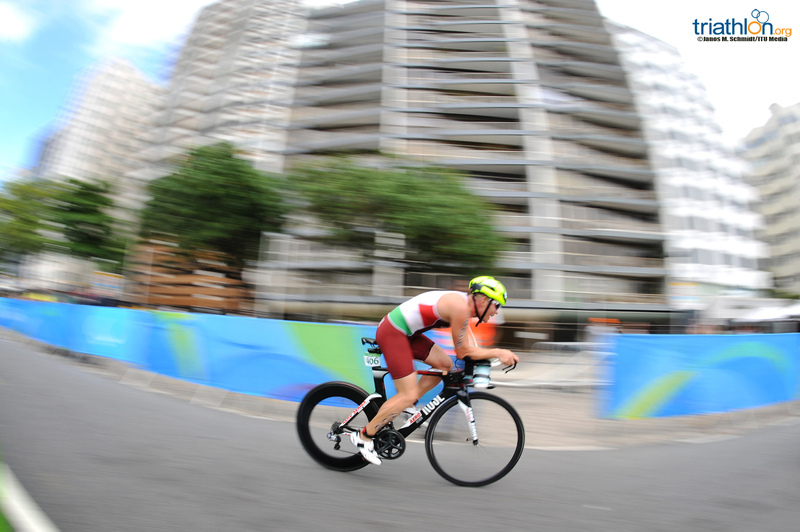 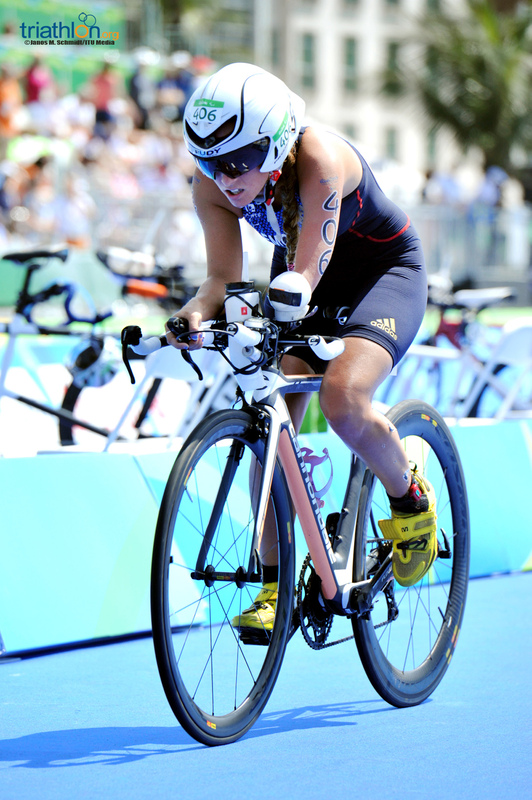 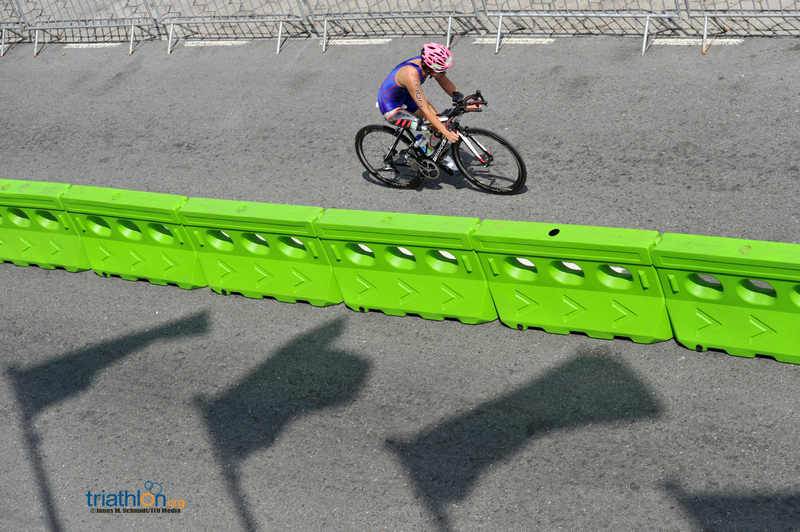 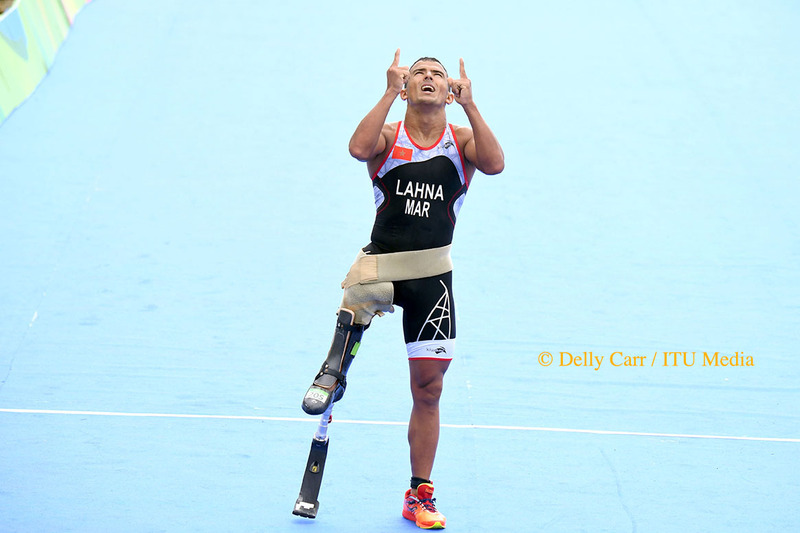 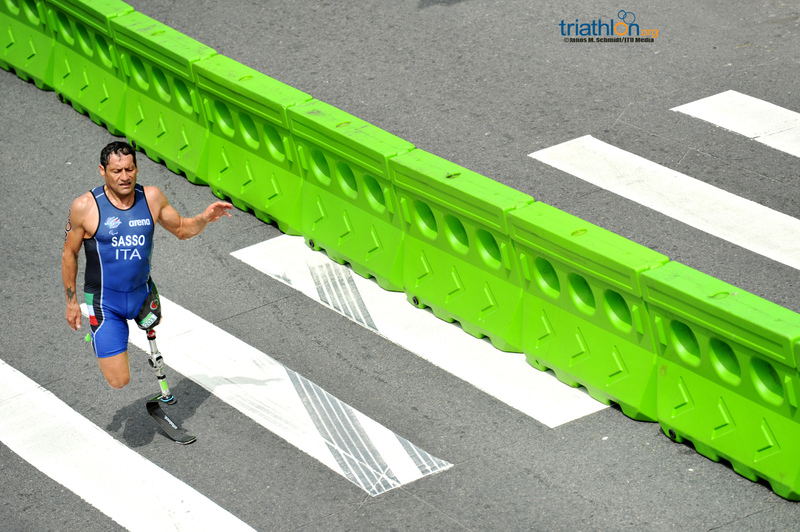 In both bike and run segments, the athlete may use approved prosthesis or other supportive devices. 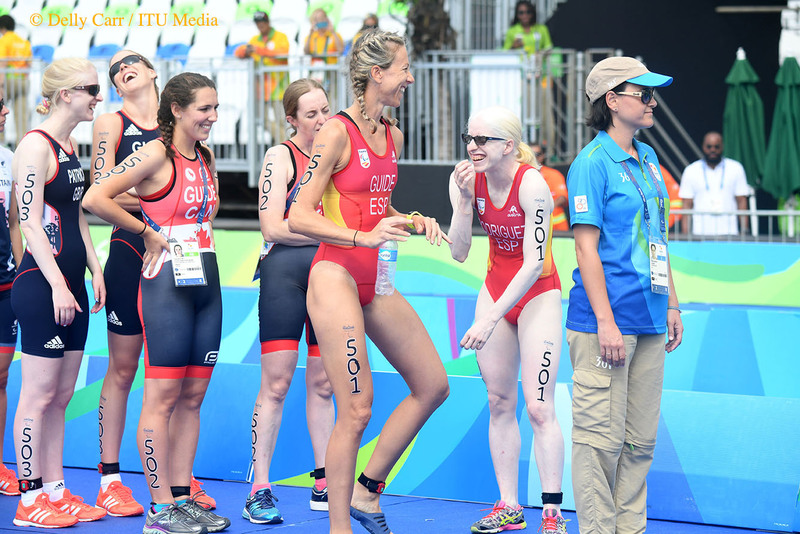 o	PT4 - Includes athletes with comparable activity limitation and an impairment of, but not limited to, limb deficiency, hypertonia, ataxia and or athetosis, impaired muscle power or range of movement that through classification assessment have a score from 495,0 to 557,0 points included. 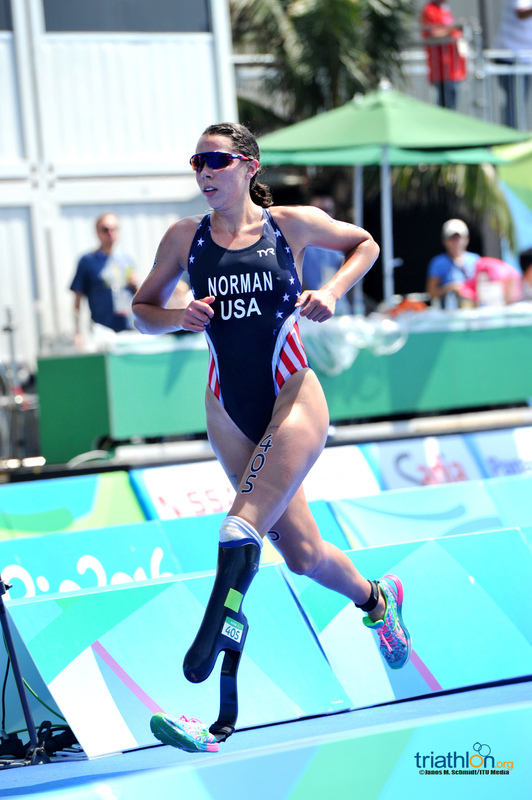 In both bike and run segments, the athlete may use approved prosthesis or other supportive devices. 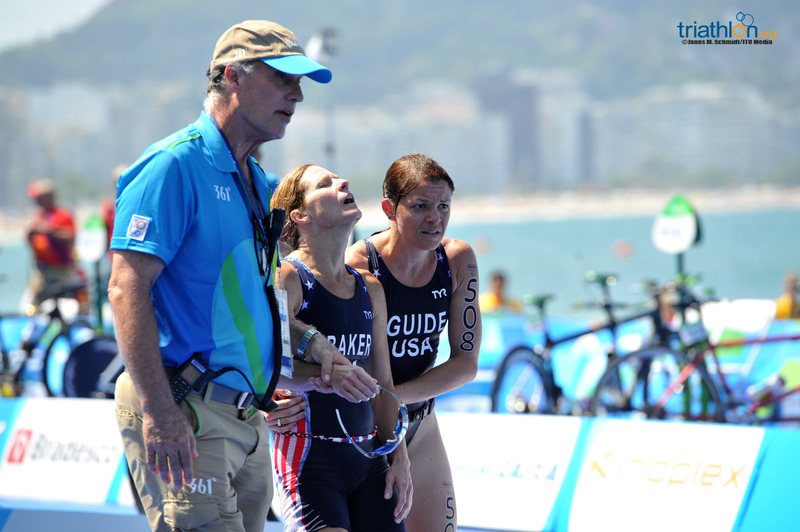 o	PT5 - Total or Partial visual Impairment (IBSA/IPC defined sub-classes B1, B2, and B3): Includes athletes who are totally blind, from no light perception in either eye, to some light perception but unable to recognize the shape of a hand at any distance or in any direction (B1) and partially sighted athletes with a visual acuity of less than 6/60 vision or visual field less than 20 degrees with best corrective vision (B2-B3). 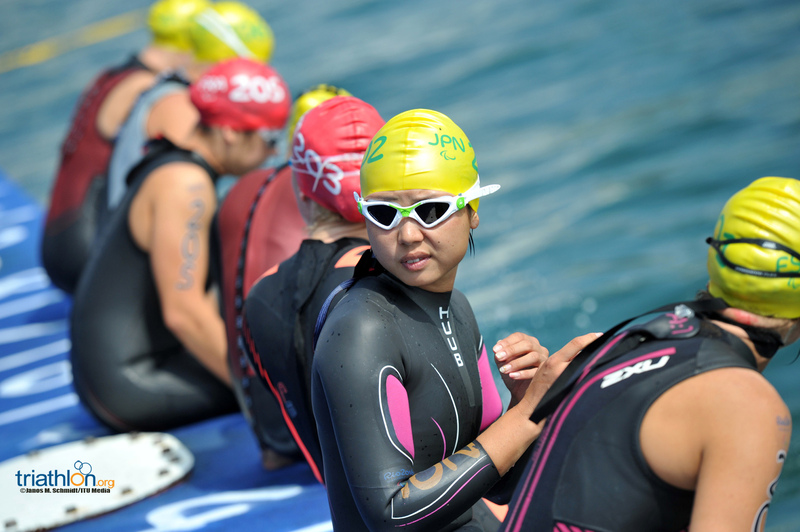 A guide from the same nationality and gender is mandatory throughout the race. 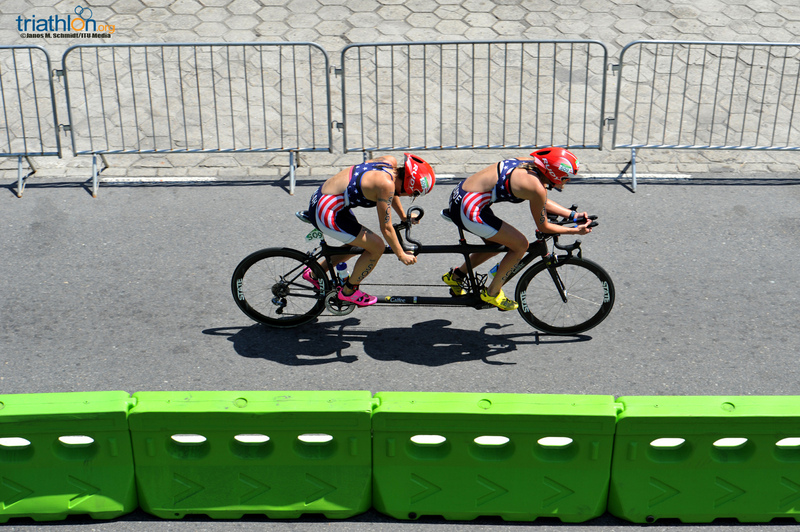 Must ride a tandem during the bike segment. 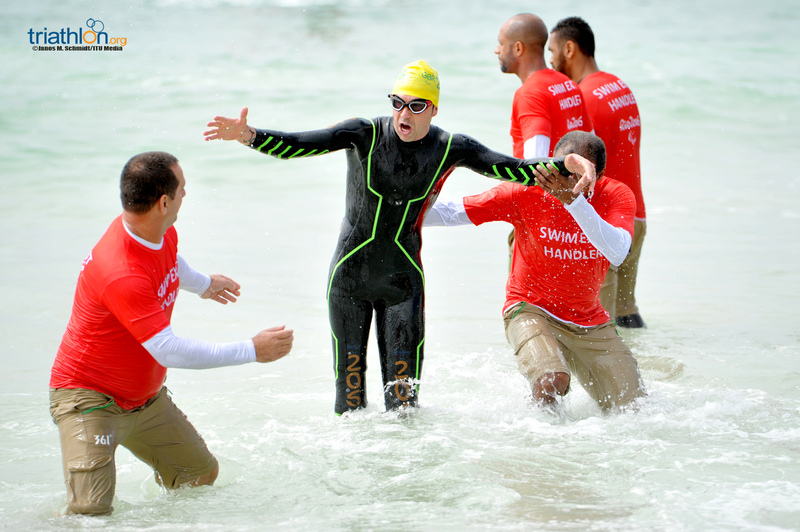 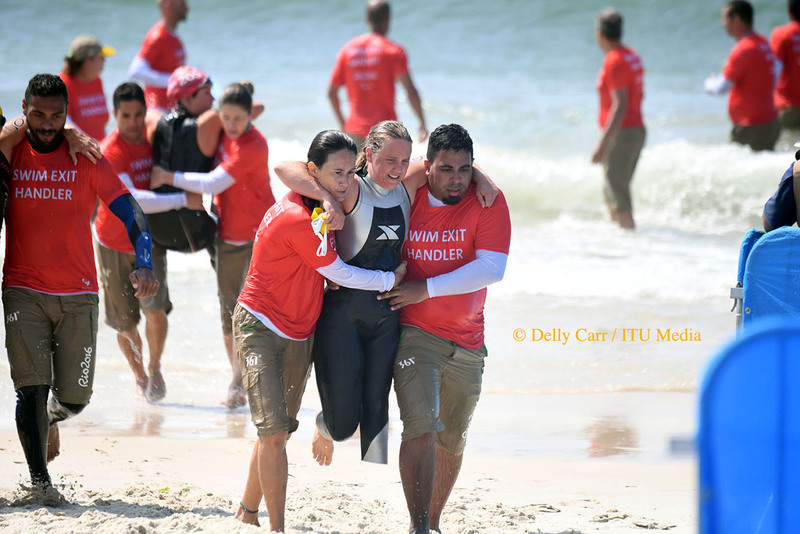 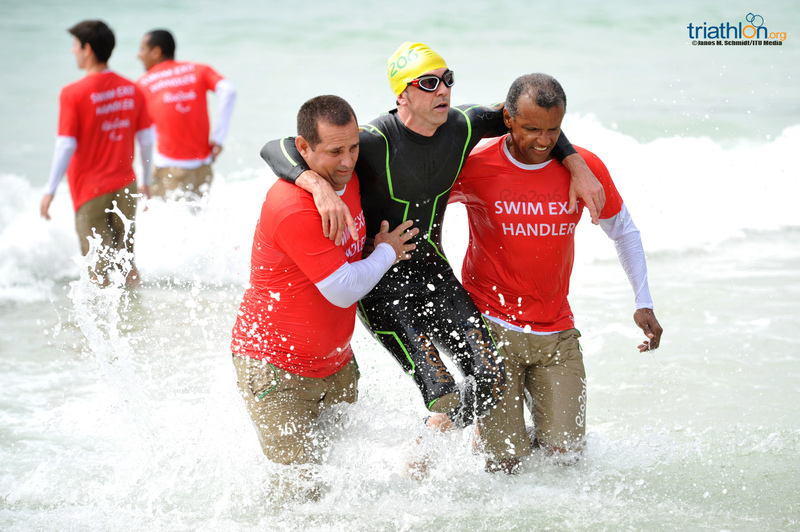 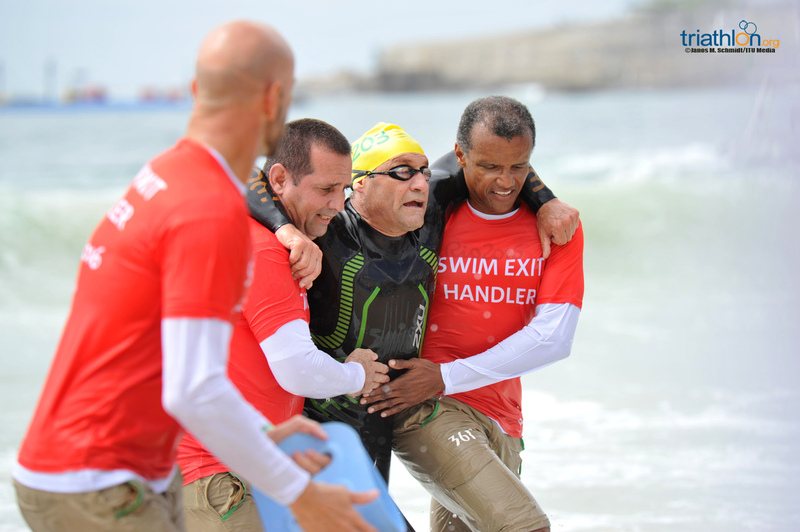 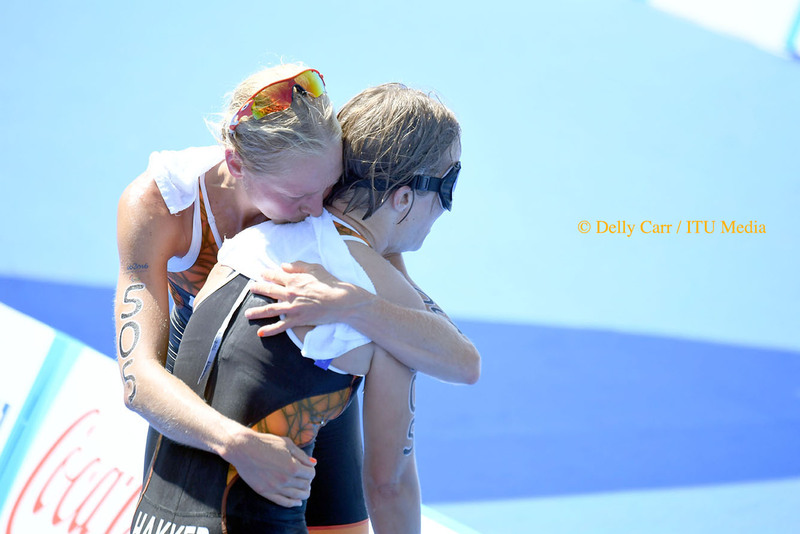 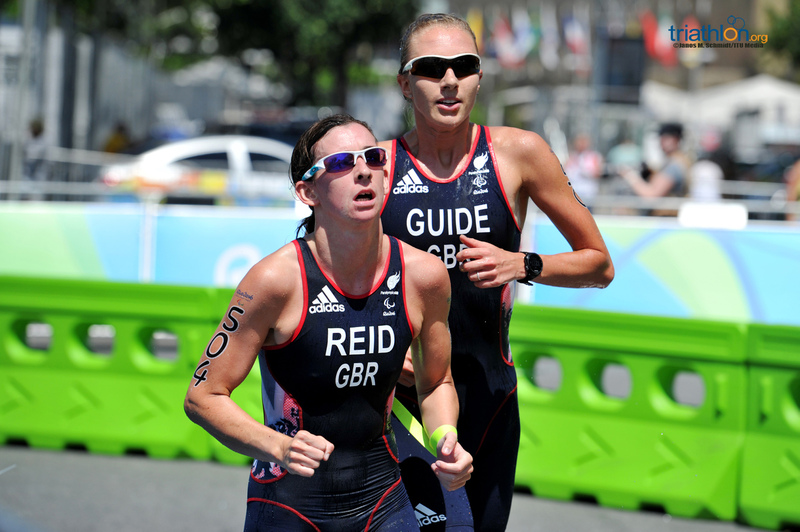 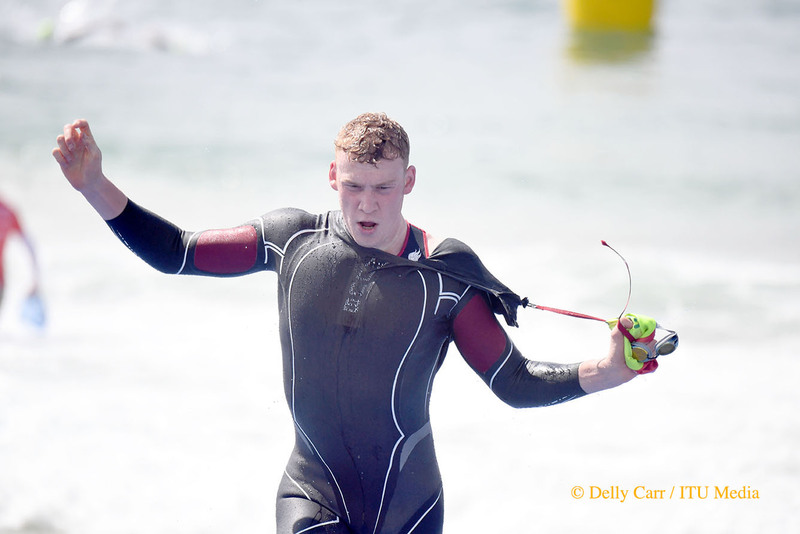 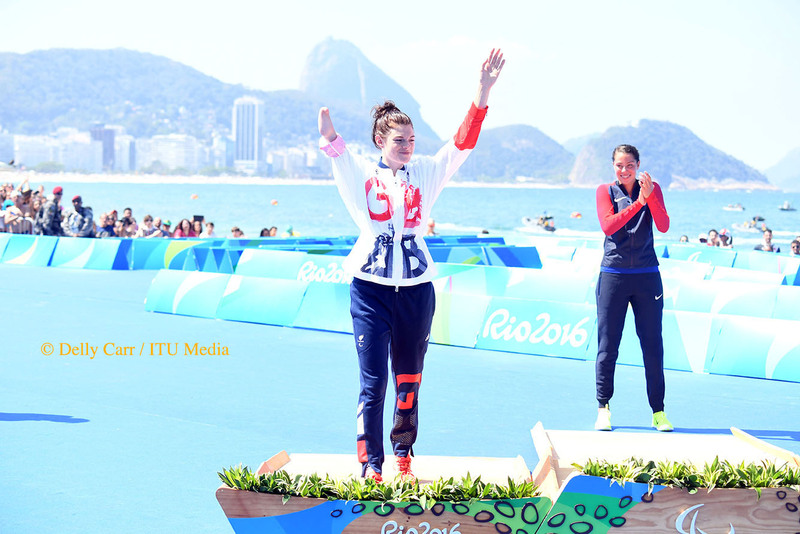 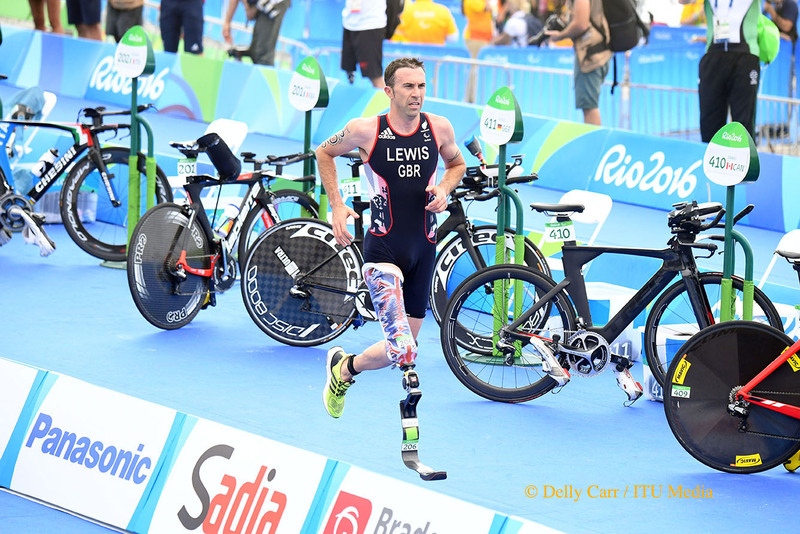 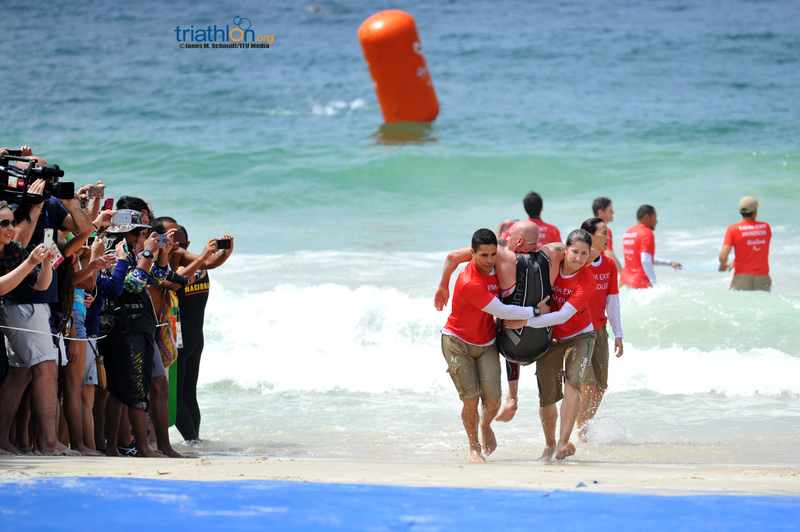 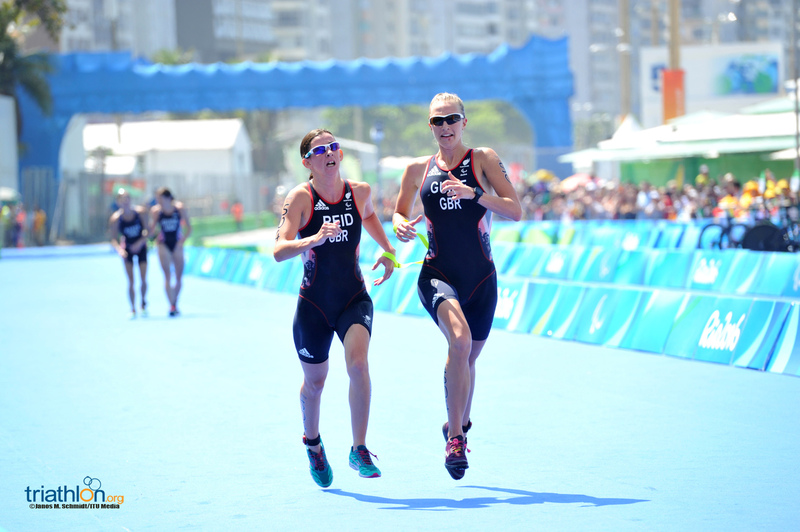 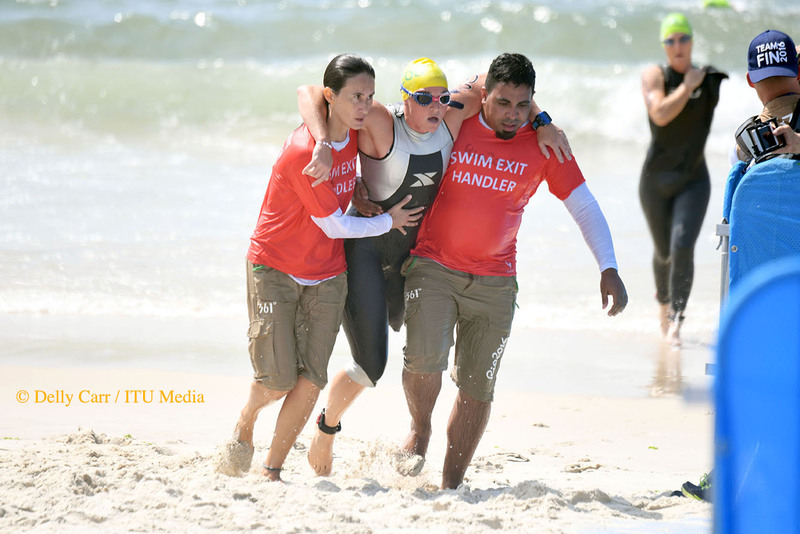 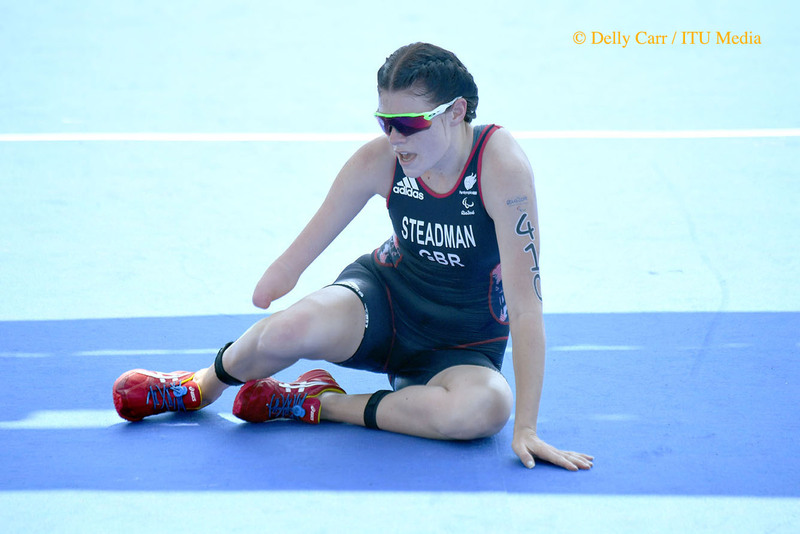 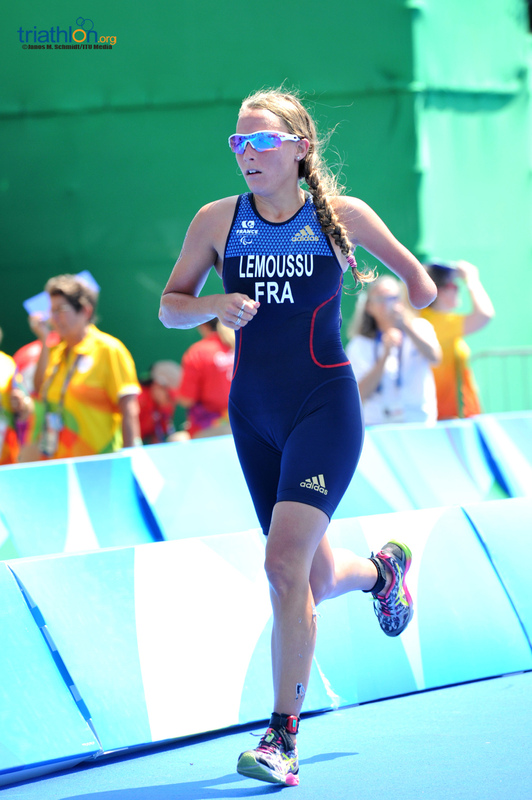 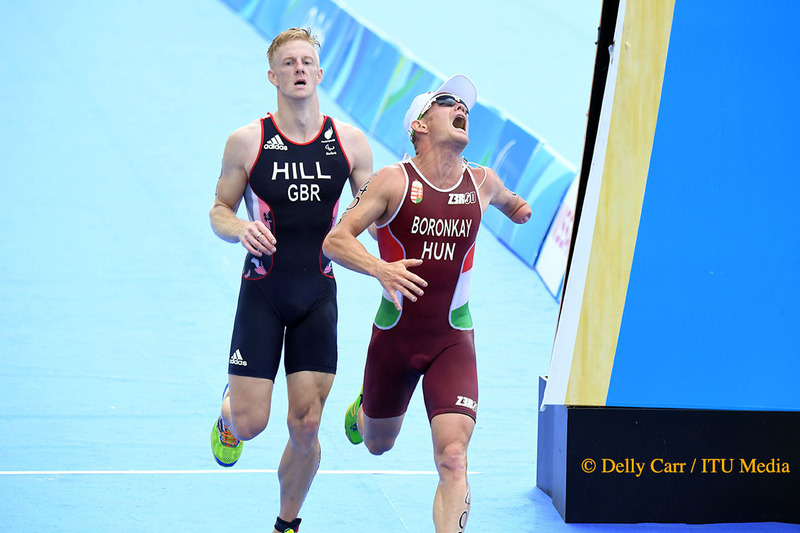 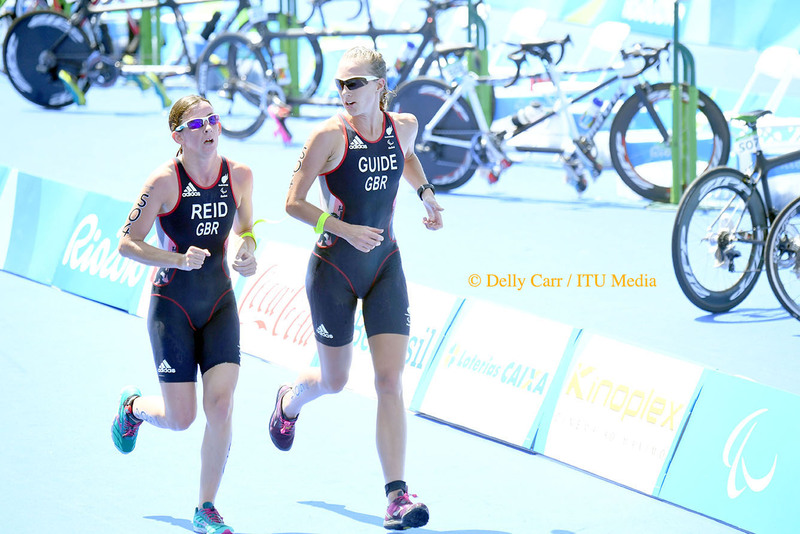 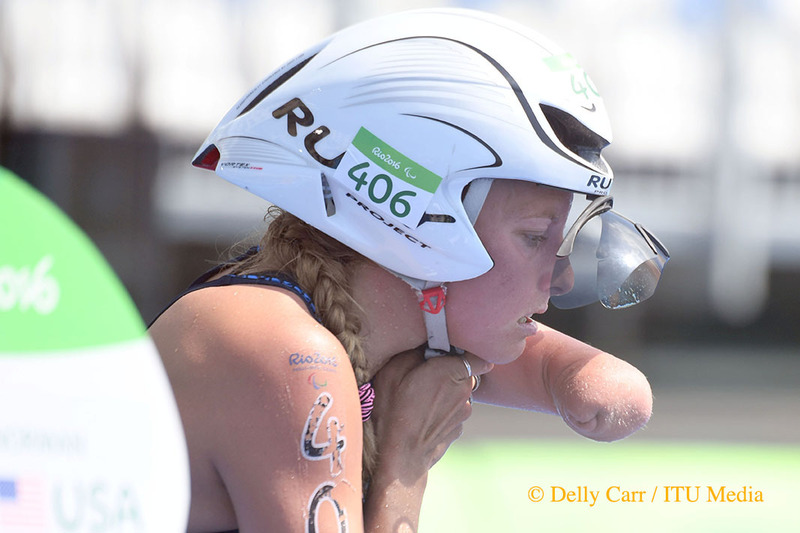 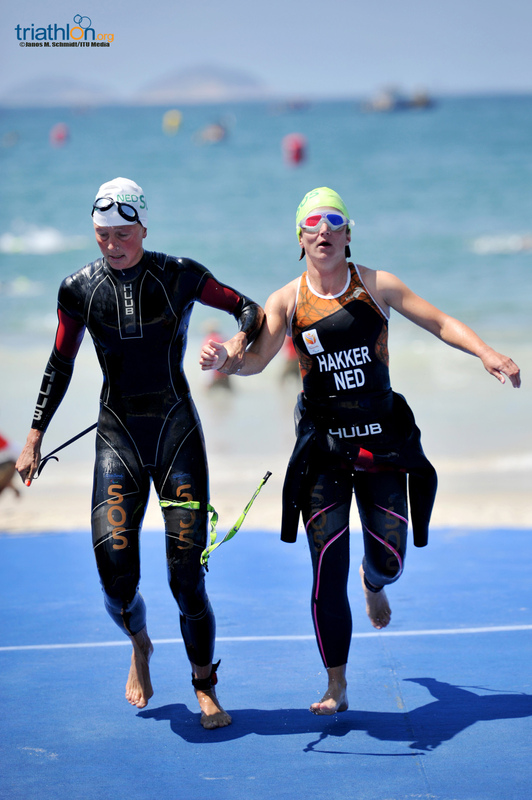 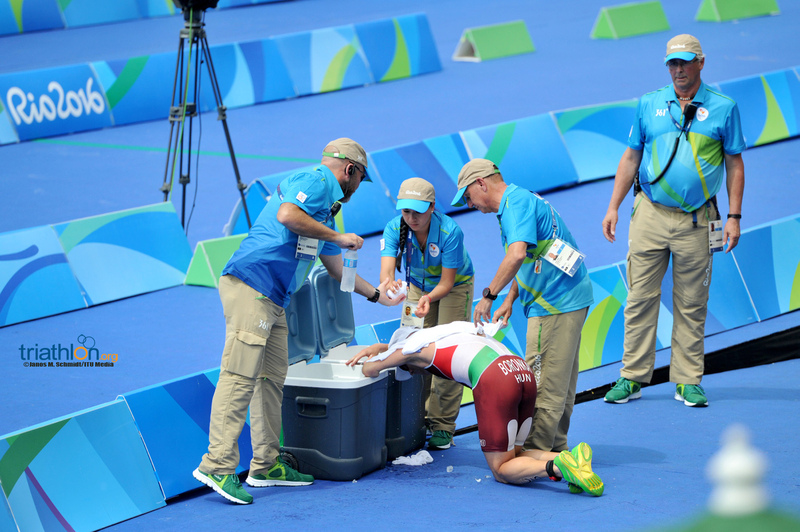 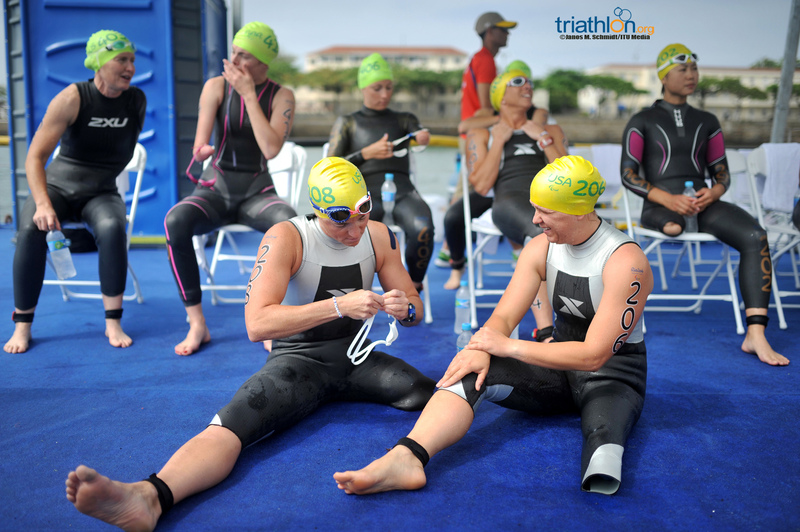 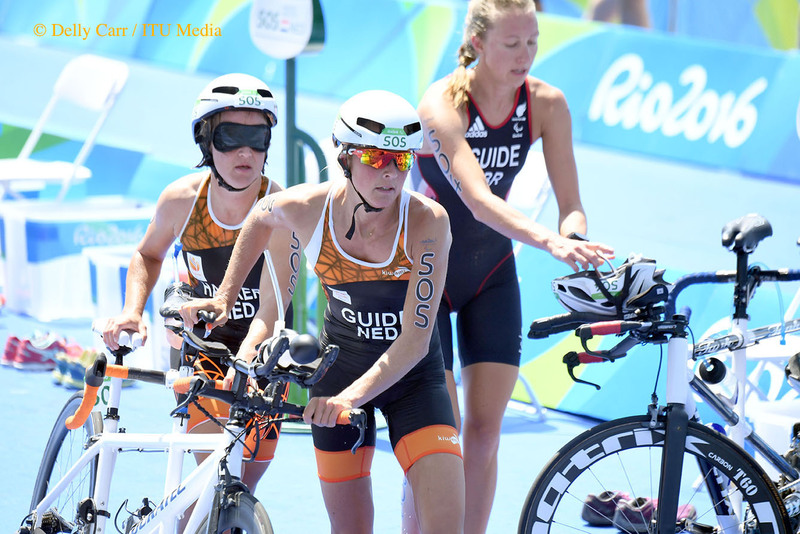 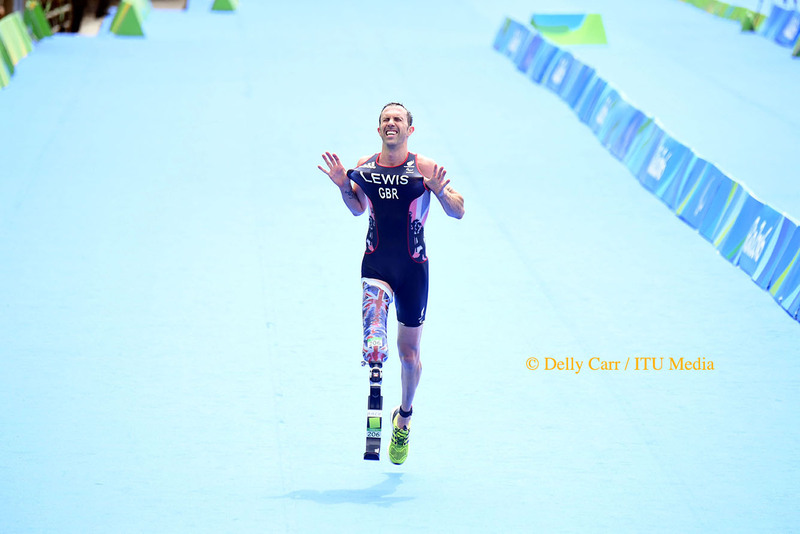 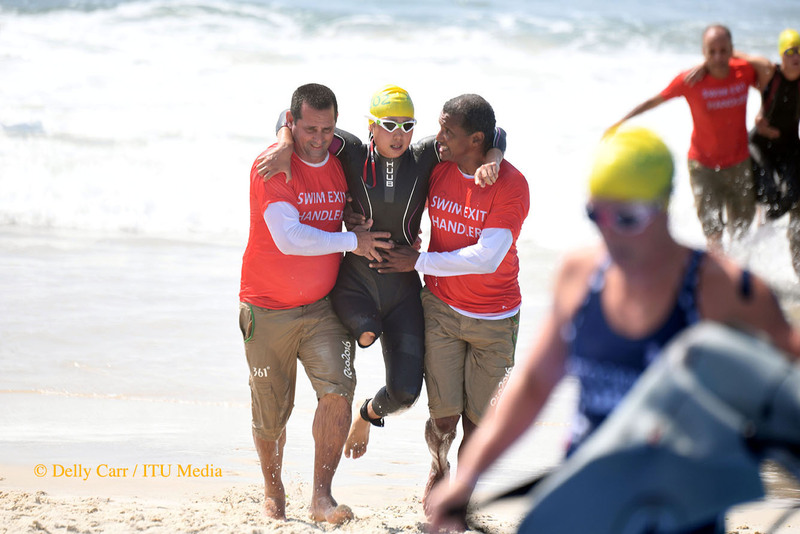 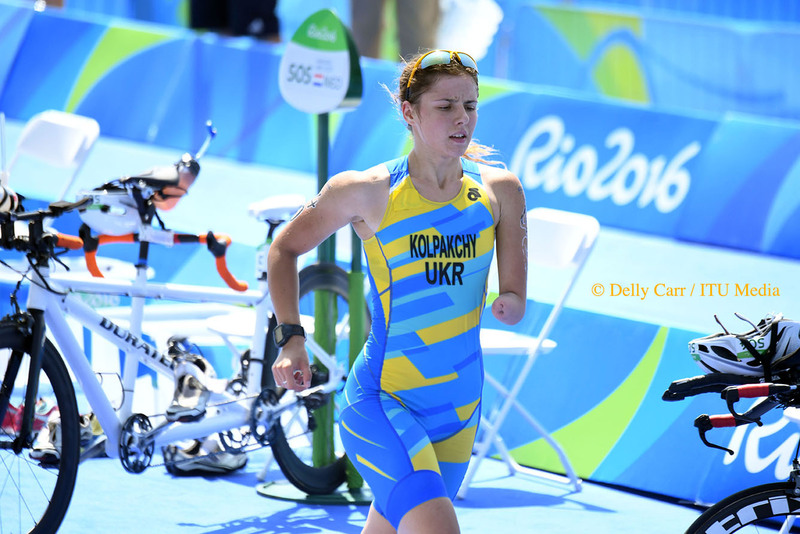 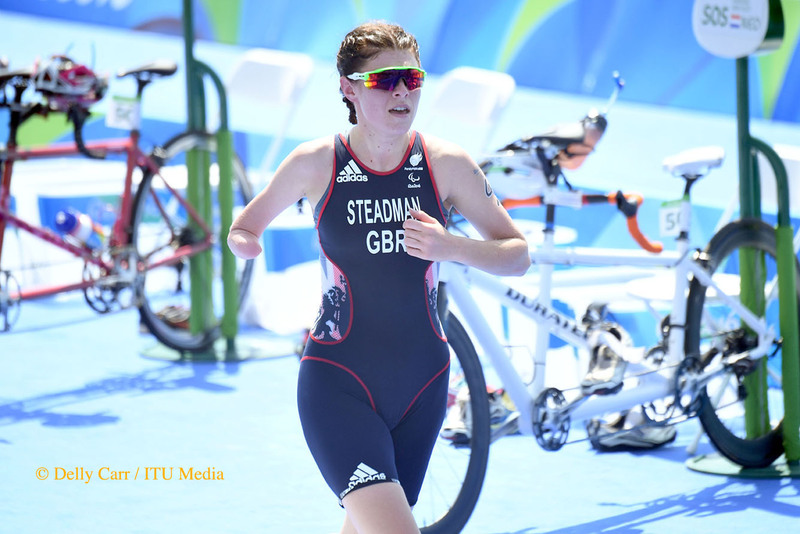 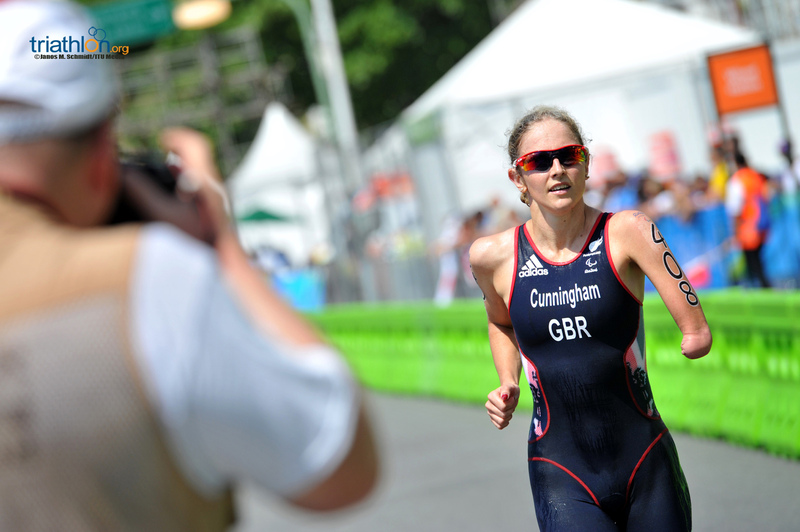 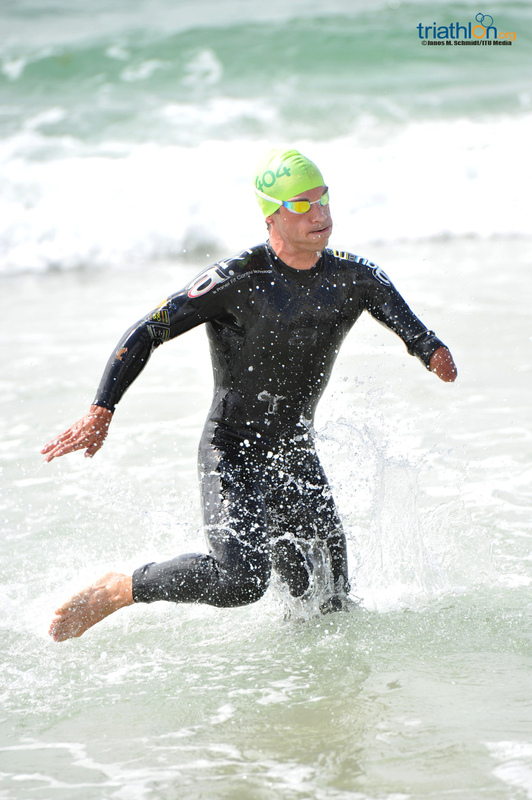 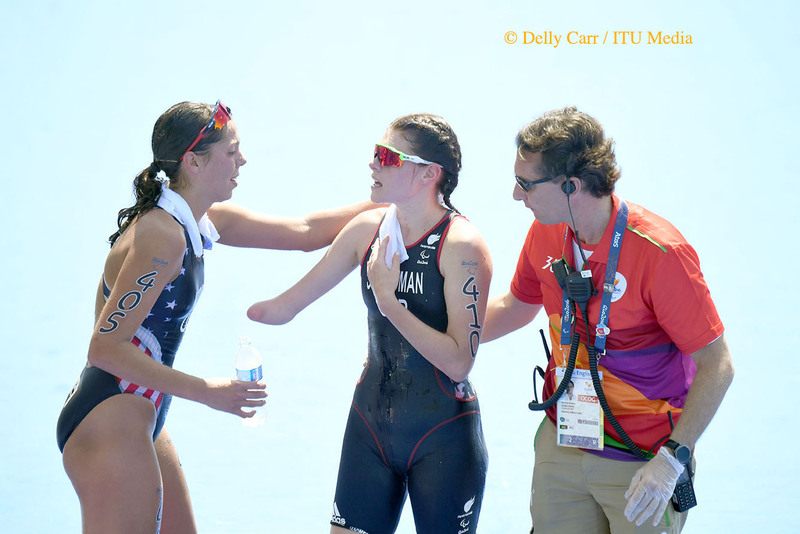 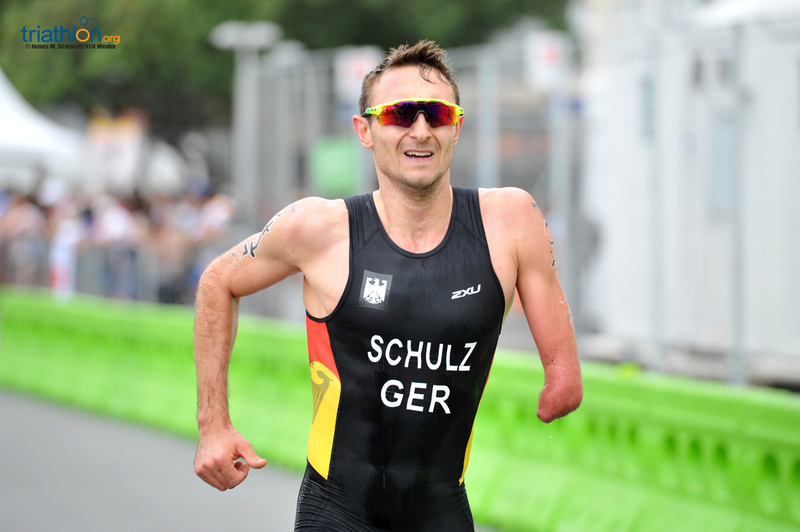 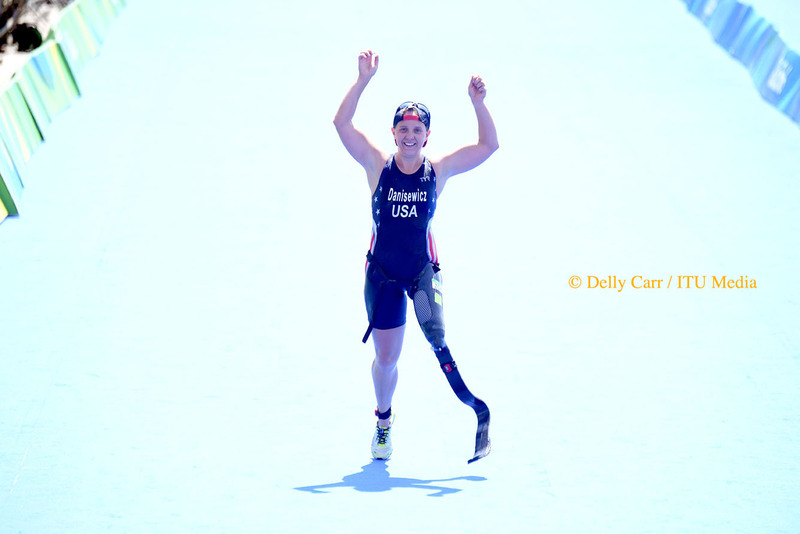 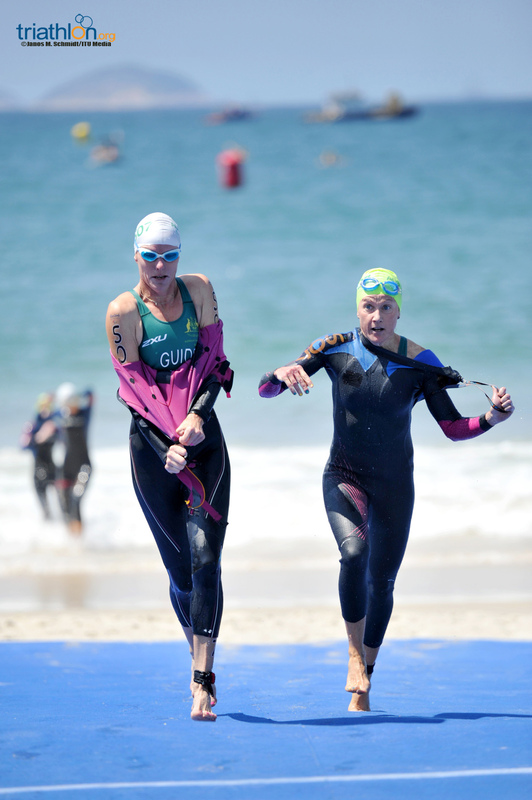 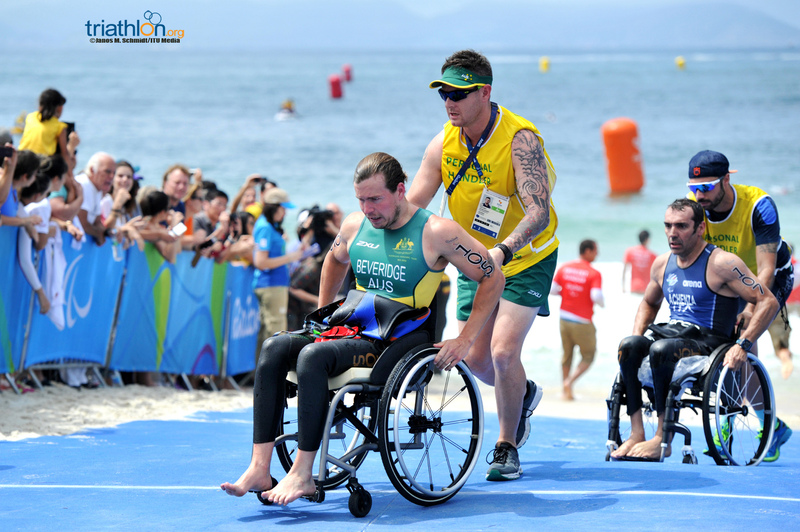 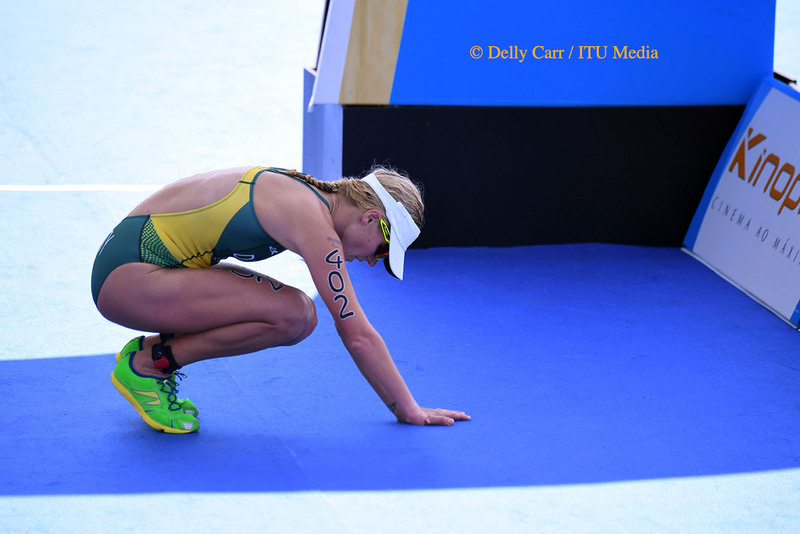 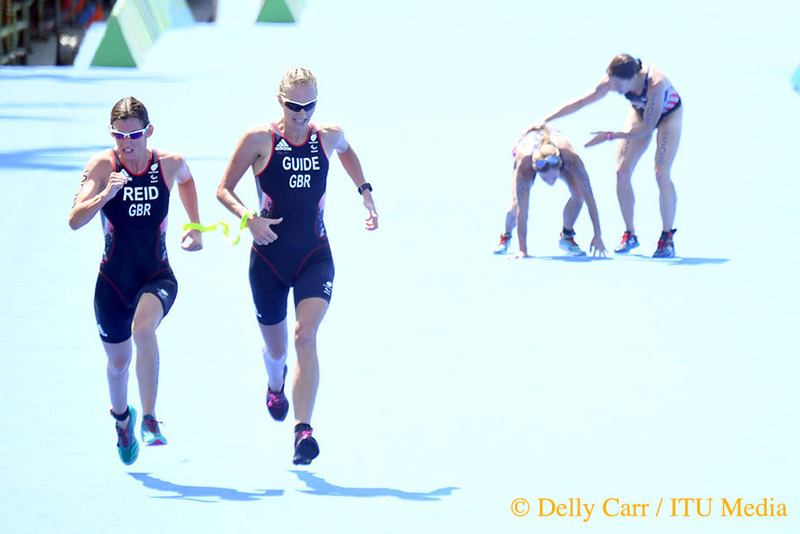 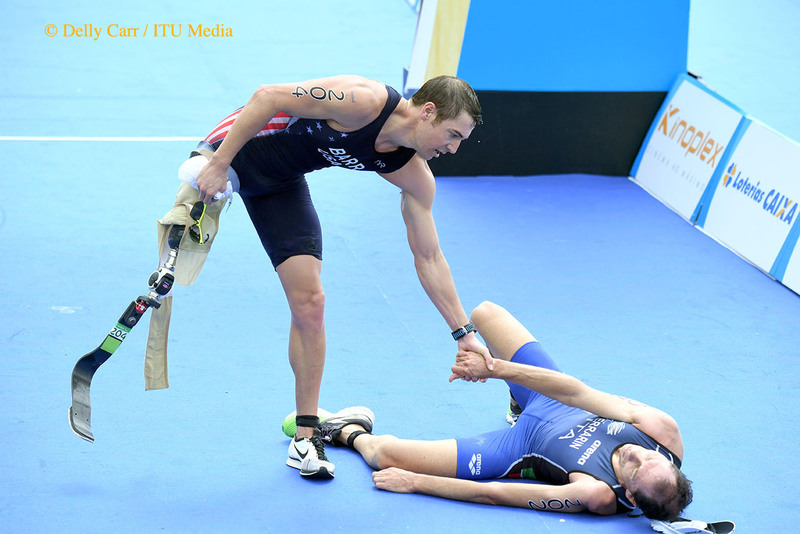 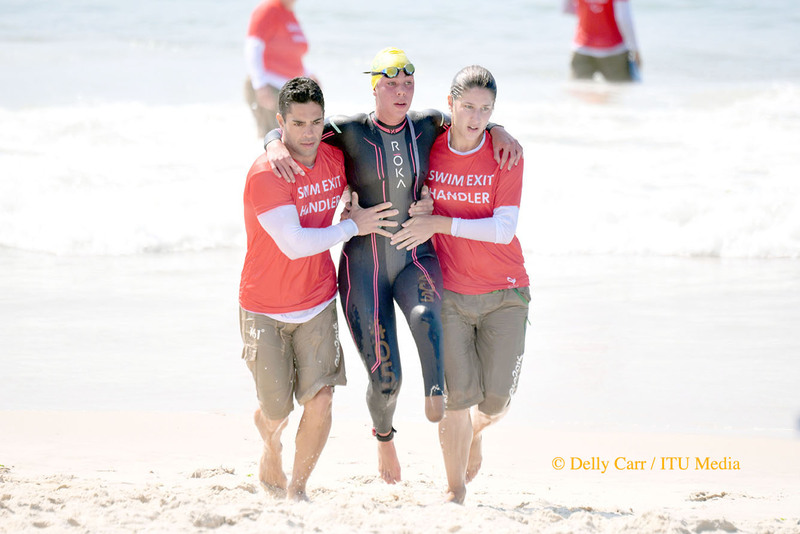 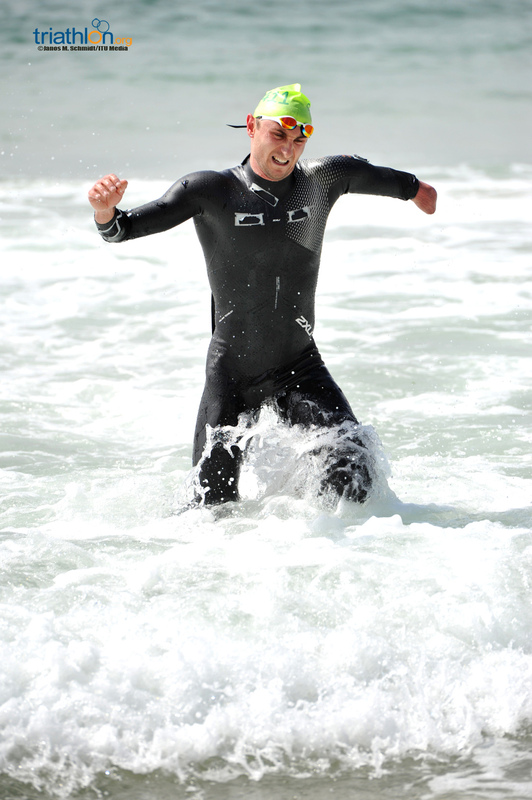 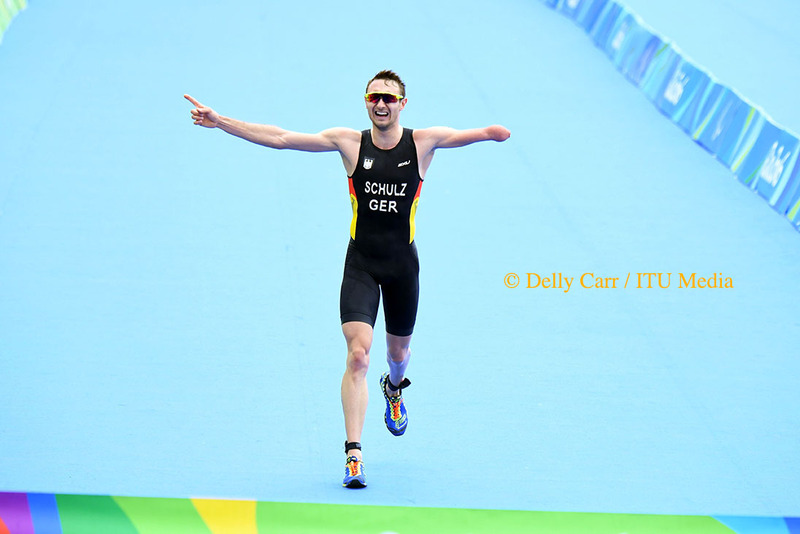 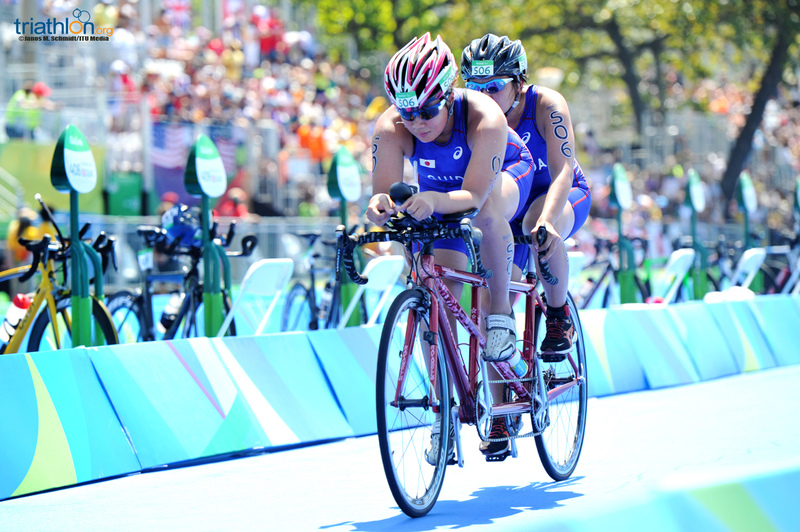 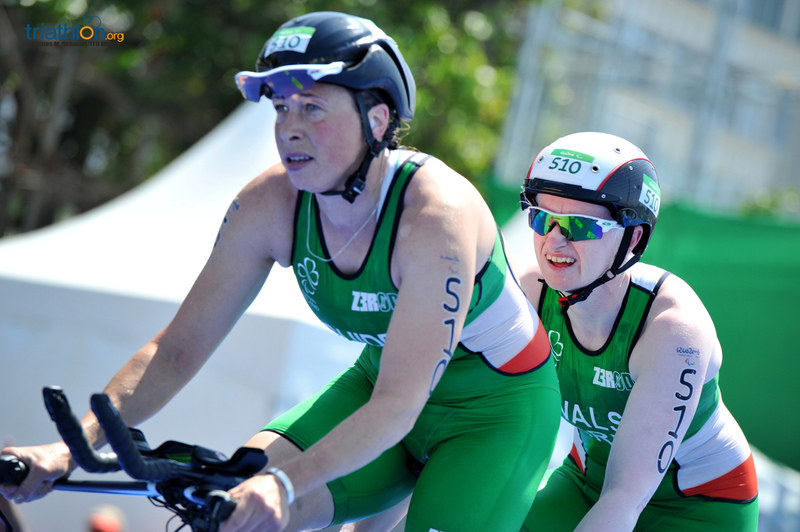 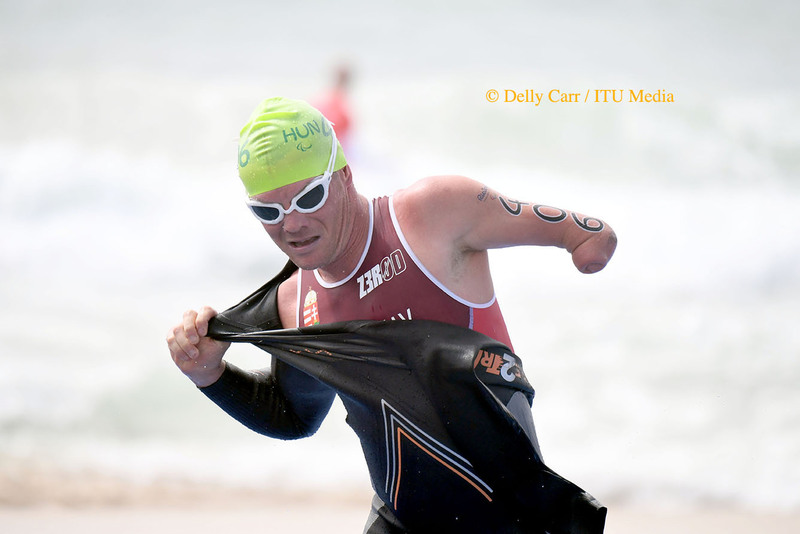 There are some particularities in paratriathlon, as athletes with varying levels of impairment need different support levels when exiting the water and before reaching the transition area. 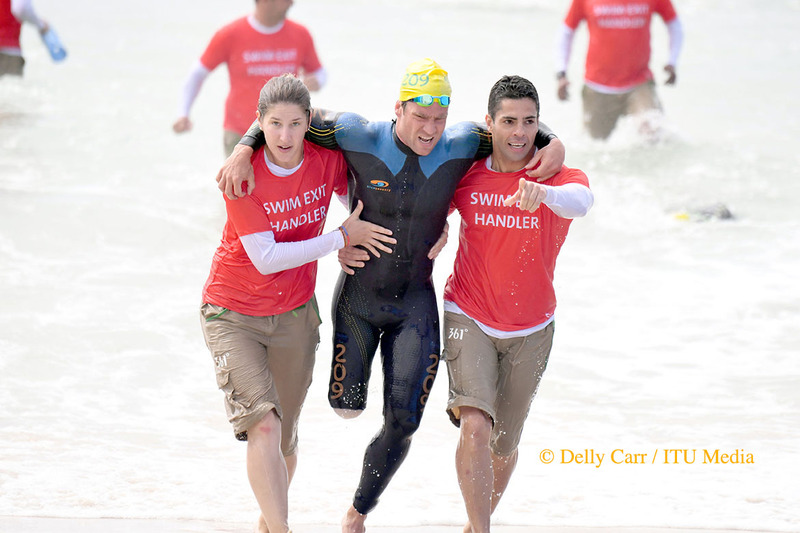 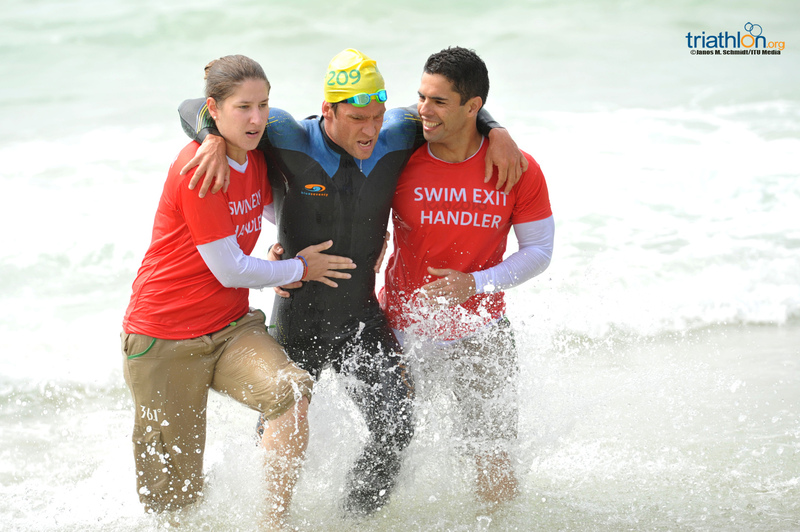 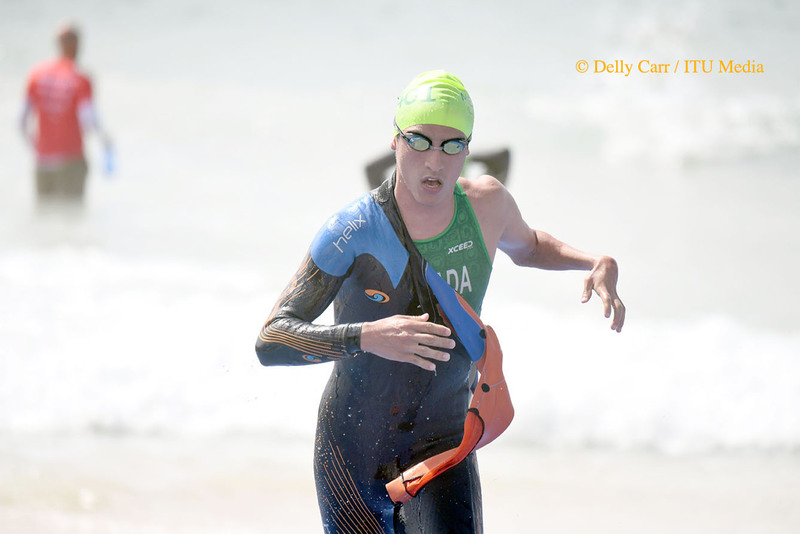 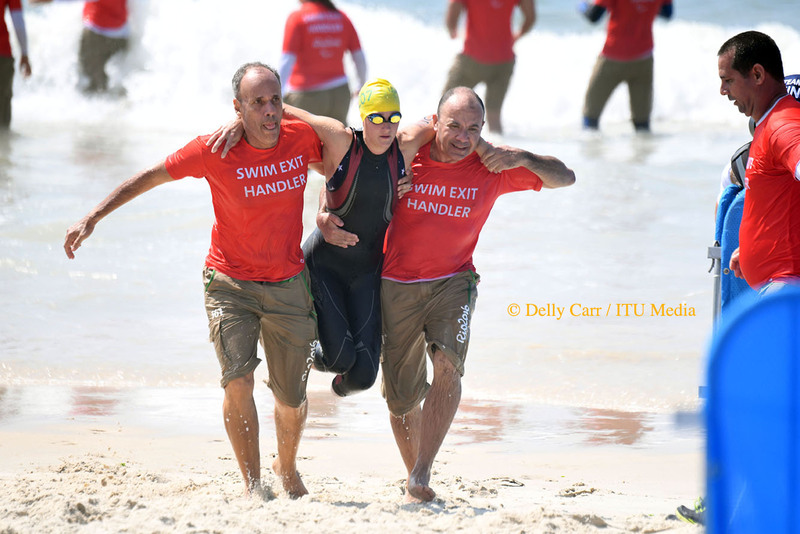 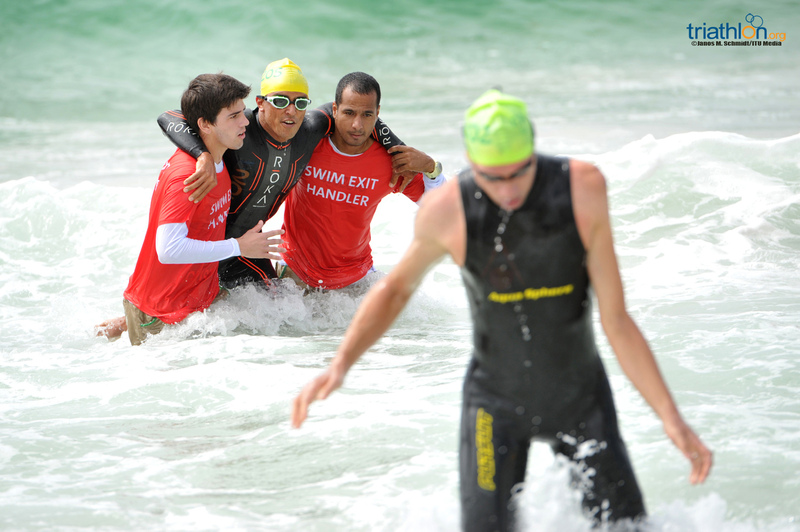 There are swim-exit handlers that assist the athletes upon swim exit depending on the swim cap colour, providing full lifting (red swim cap) or support assistance (yellow swim cap). 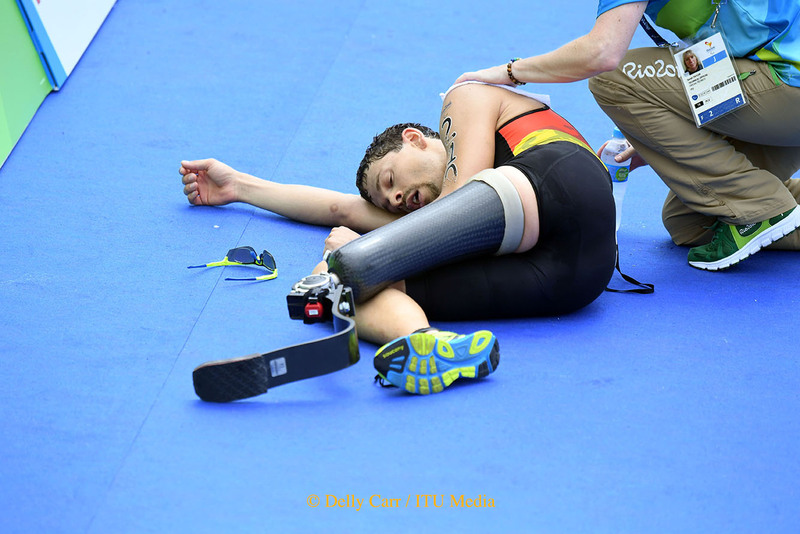 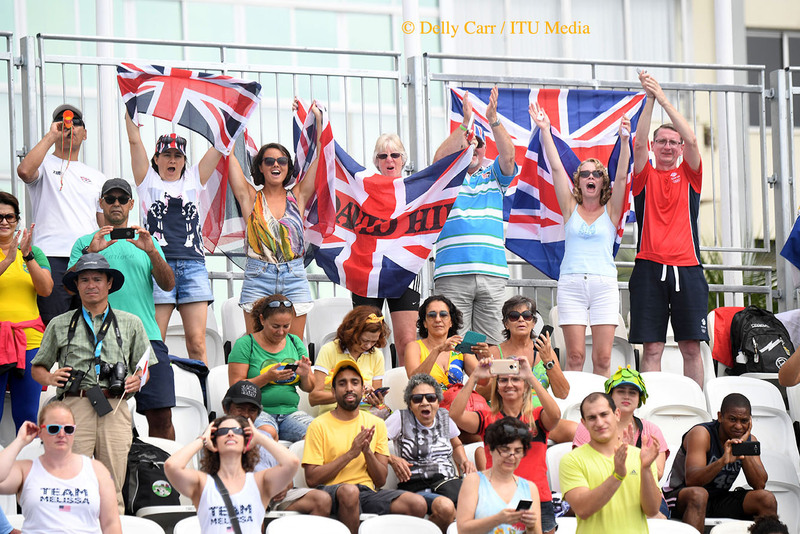 There is a designated pre-transition area for athletes to collect their assistive devices (PT2 to PT4) or access their daily wheelchairs and be stripped by their handlers if needed (PT1). 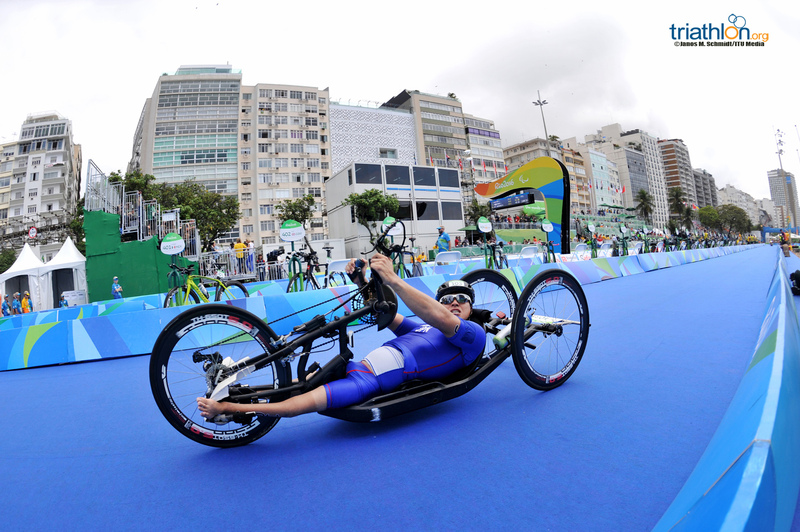 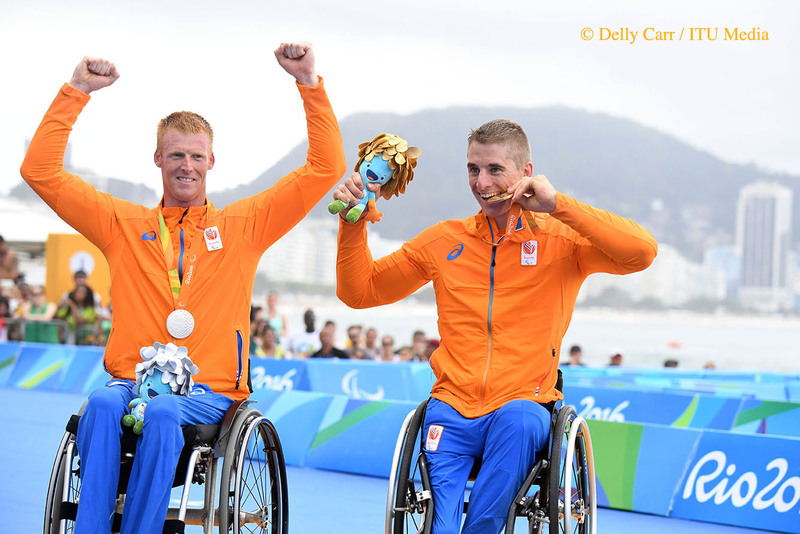 Athletes can use conventional bikes with approved adaptations (PT2 and PT4 classes), a tandem (PT5) or handcycle (PT1). 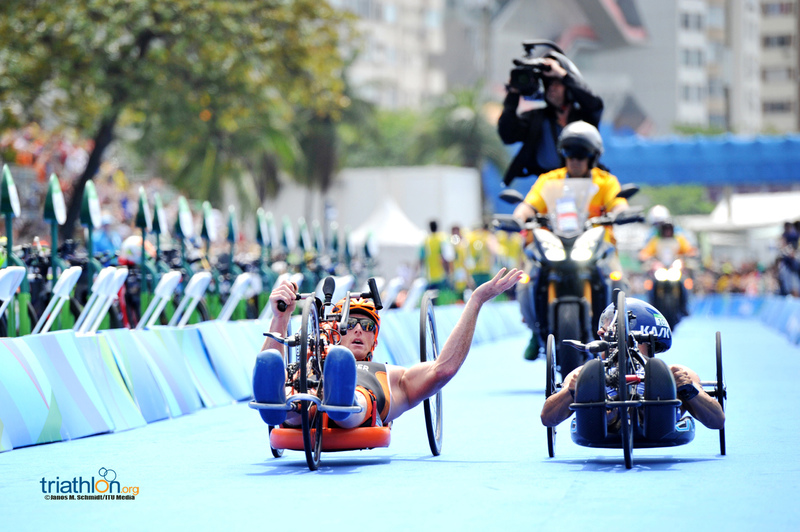 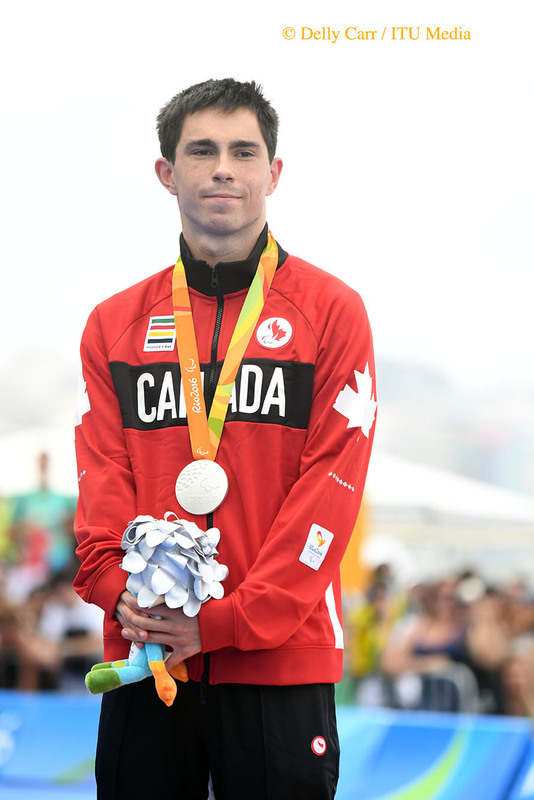 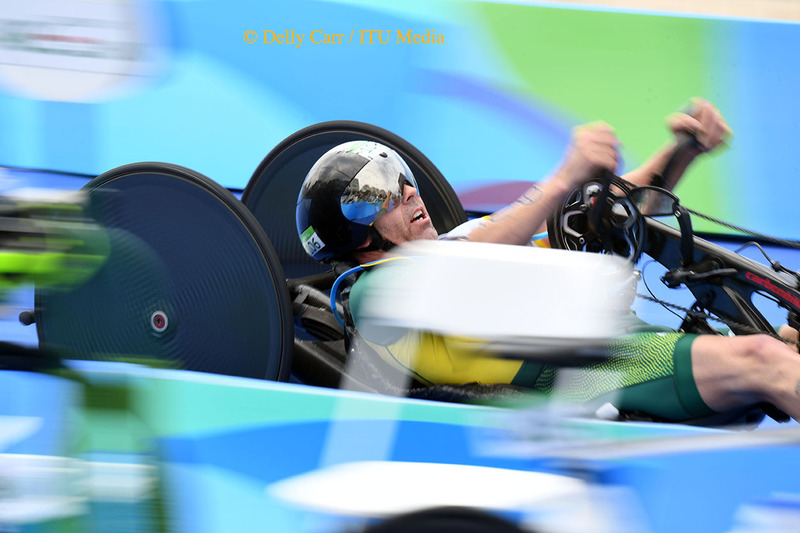 The final section is a 5 km run, which athletes can complete in racing wheelchairs (PT1), running with or without support of assistive devices (PT2 – PT4) or alongside with their guides (PT5). 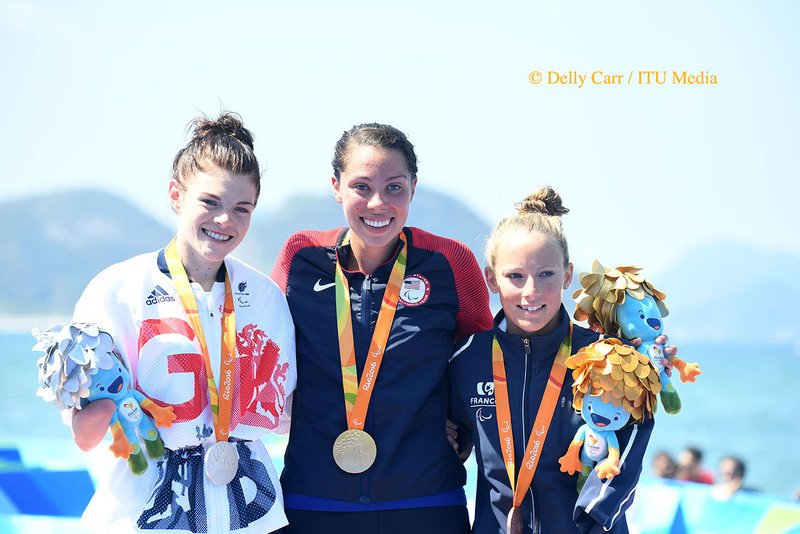 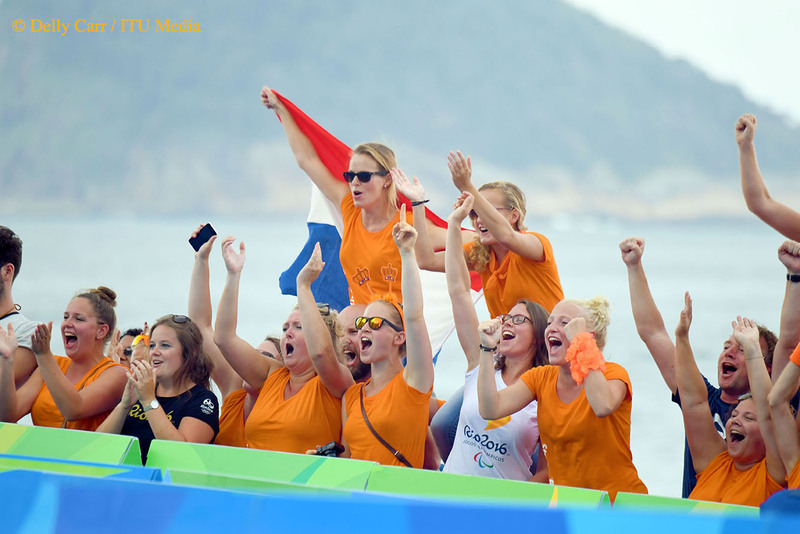 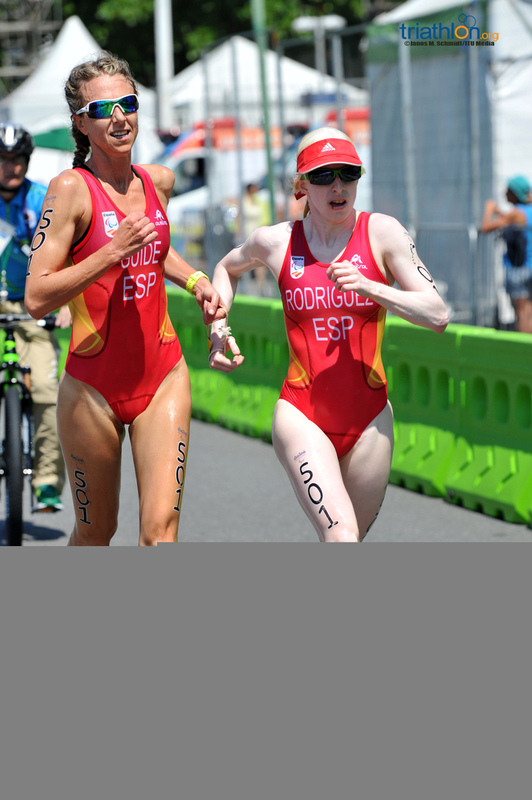 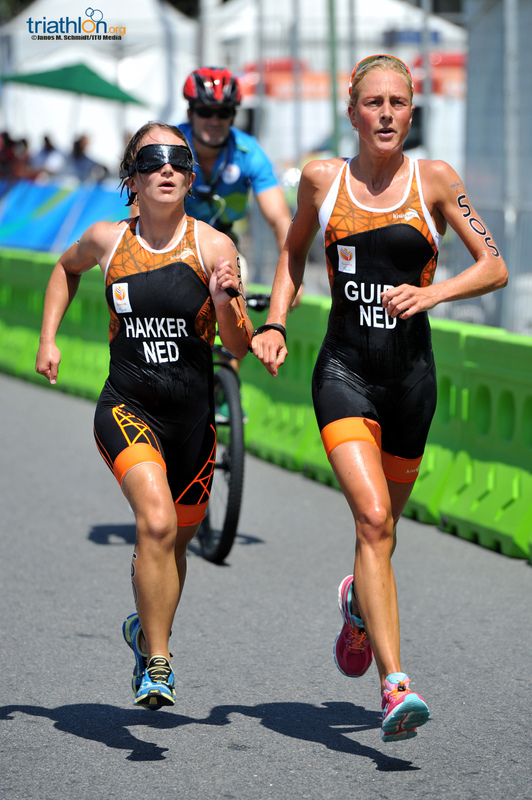 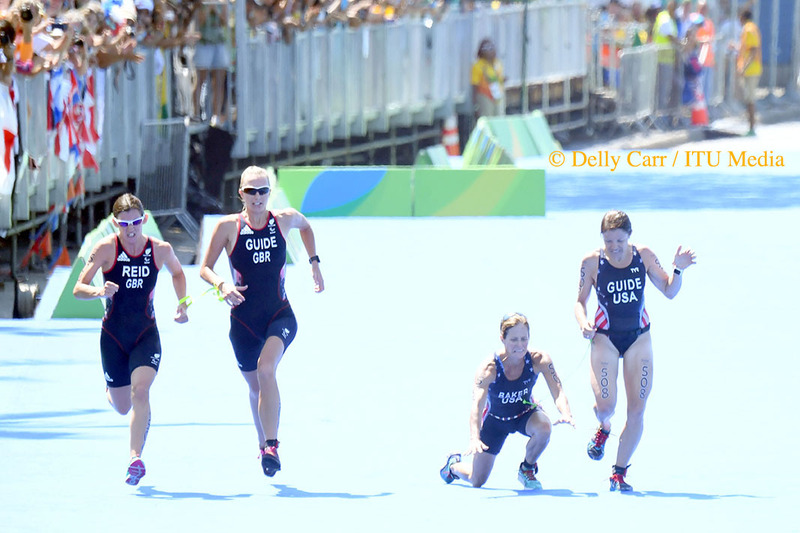 In the PT5 sport class, totally blind female athletes (B1) have an advantage through a staggered start system. 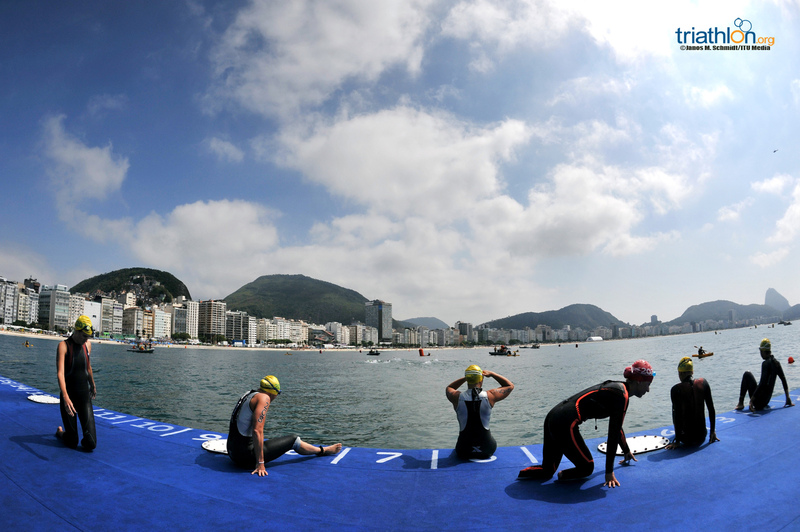 B1 athletes start with 3’48’’ ahead of the rest of the field in PT5. 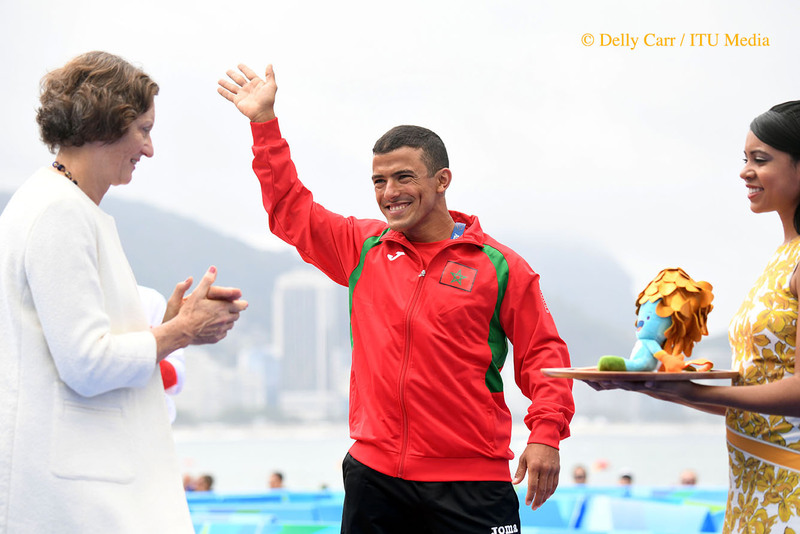 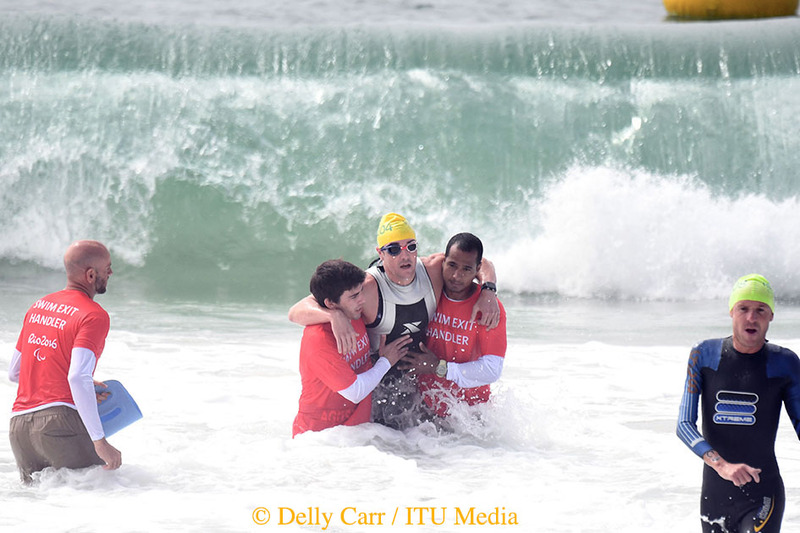 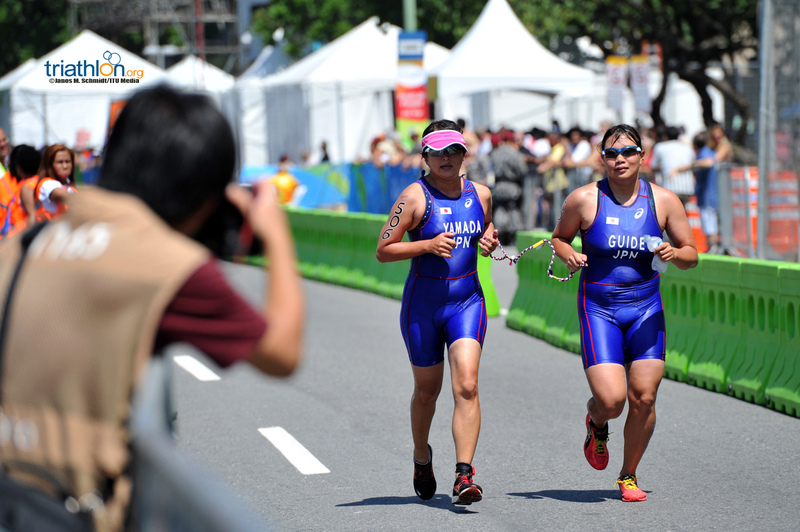 Visually impaired athletes compete with their guides, who must be with them throughout the entire race and be from the same nation and gender.